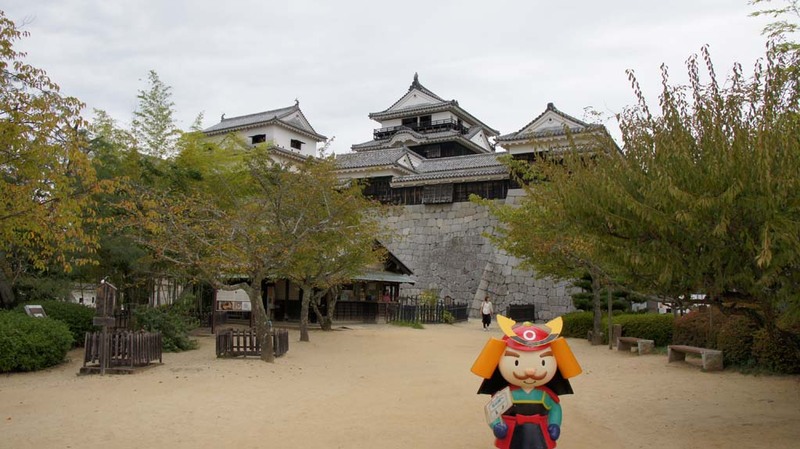 The need for castles arouse after the central government's authority had weakened in the 15th century and Japan had fallen into the chaotic era of warring states (sengoku jidai). 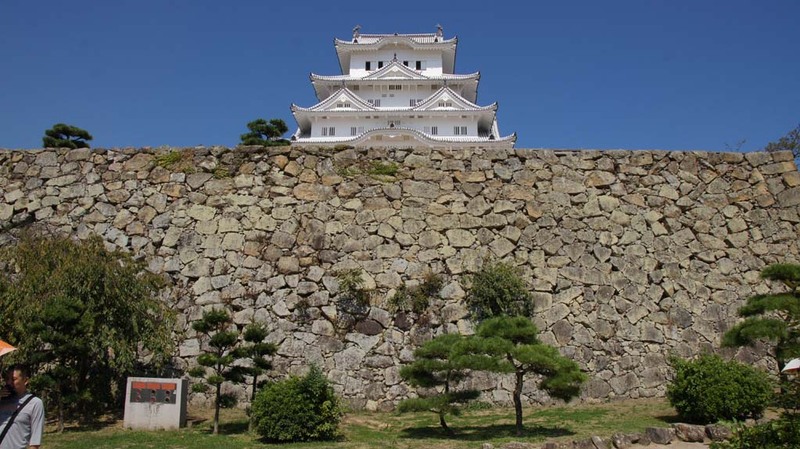 During that era, Japan consisted of dozens of small independent states which were fighting each other and, for defence purposes, were building small castles on top of mountains. 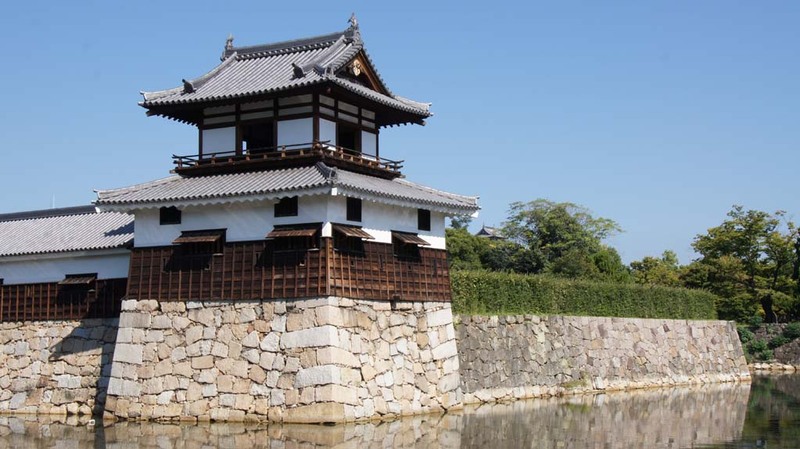 The feudal lords of Japanese history, called daimyo, built these castles first and foremost for their own defence. 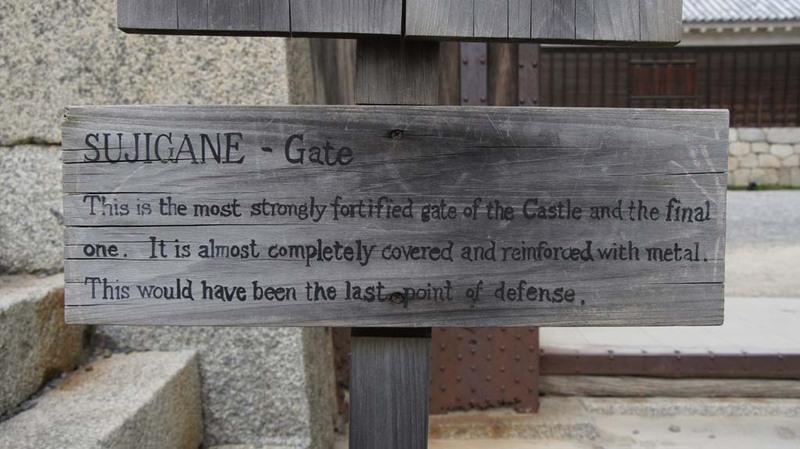 If they were being attacked, they could retreat to their castles, and the donjon, or tower, of the castle would contain plenty of food and weaponry. Also, the daimyo built castles to show their own wealth - the bigger the castle, the wealthier and more powerful the daimyo. 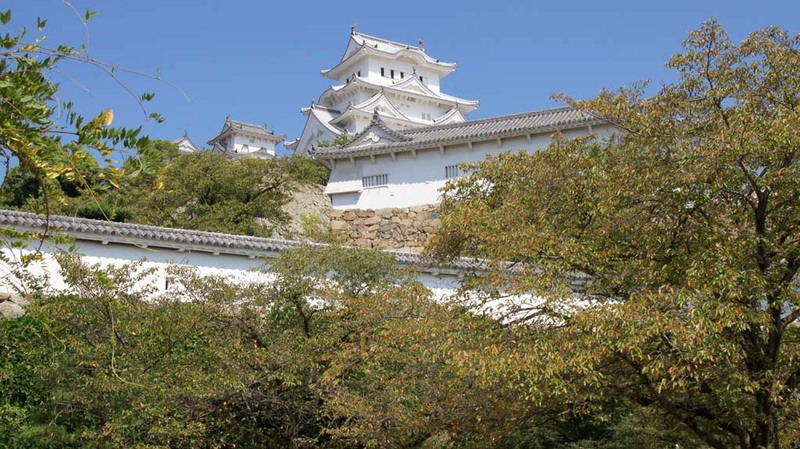 When Oda Nobunaga re-established a central authority over Japan about a century later, and his successor Toyotomi Hideyoshi completed the reunification of Japan, many larger castles were built across the country. 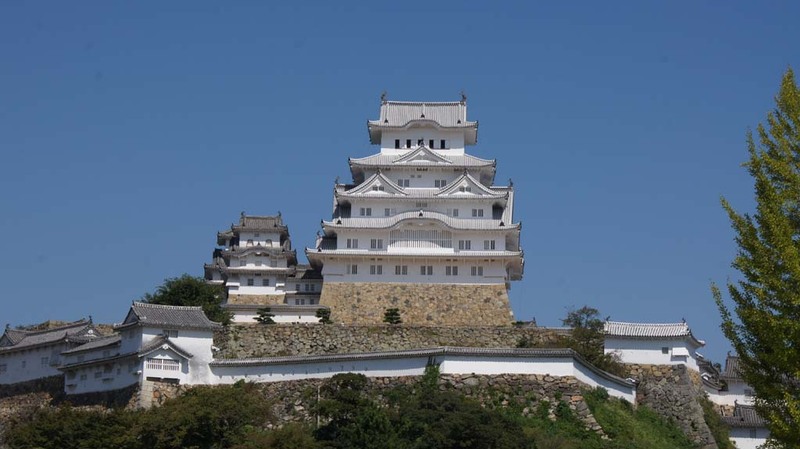 Unlike the earlier castles, they were built in the plains or on small hills in the plains, where they served as a region's administrative and military headquarters, and became the centres of "castle towns". 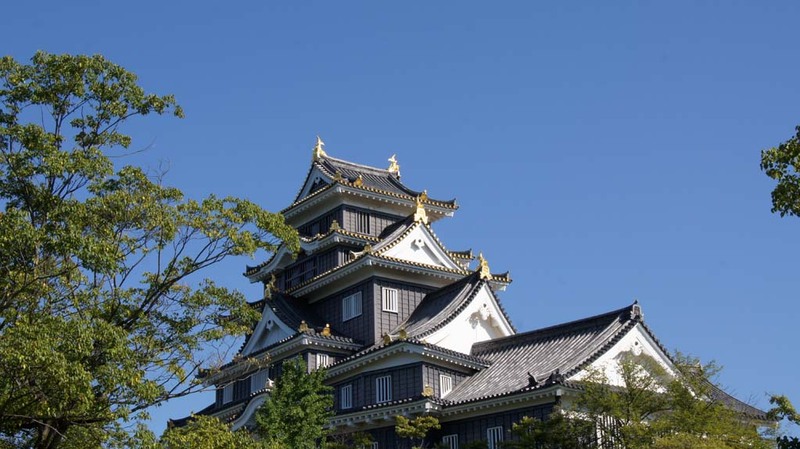 With the Meiji Restoration of 1868, castles were no longer a necessity, and as such, the Meiji government passed the Castle Abolishment Law in 1873 to demolish all castles. 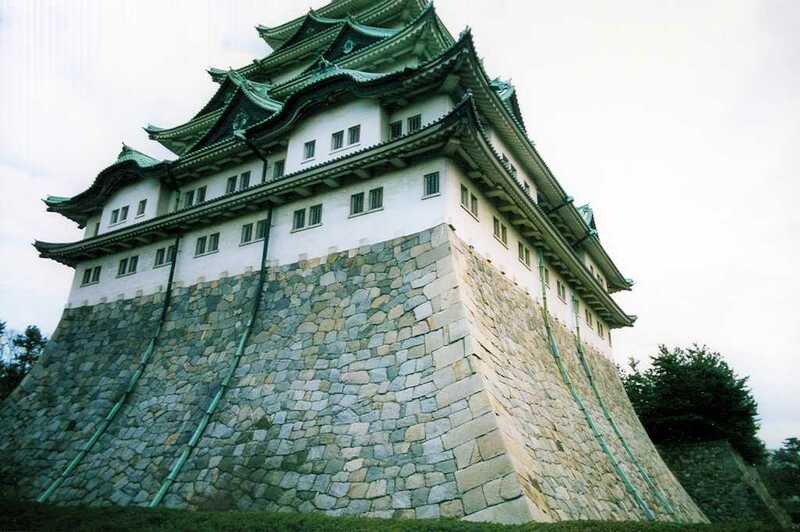 To the Meiji rulers, castles were a reminder of the days of feudalism, which had ended with their seizure of power. 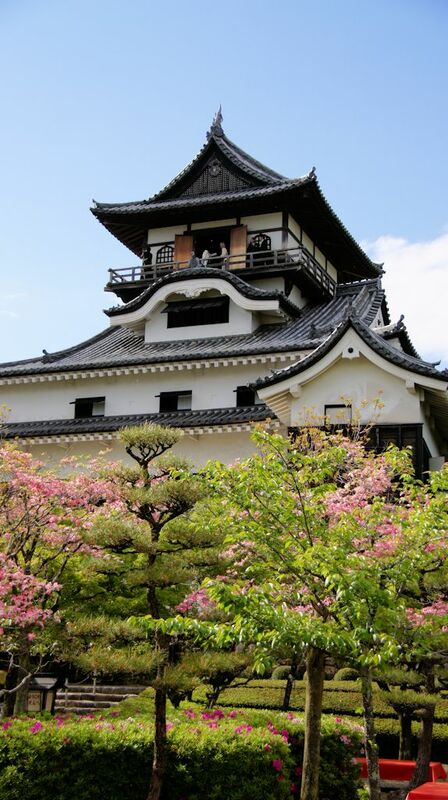 Of the 170 Edo period castles, 2/3 were destroyed by 1875. 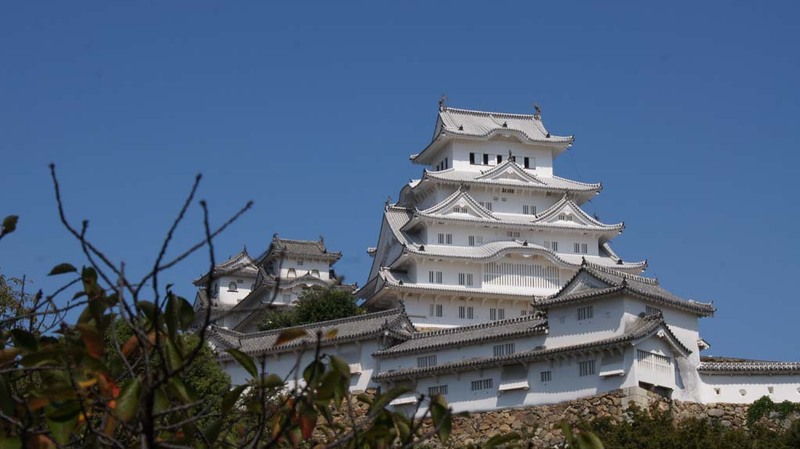 In recent years, other castles have been lost to fire, earthquakes and World War II, and today only 12 original donjon castles remain. 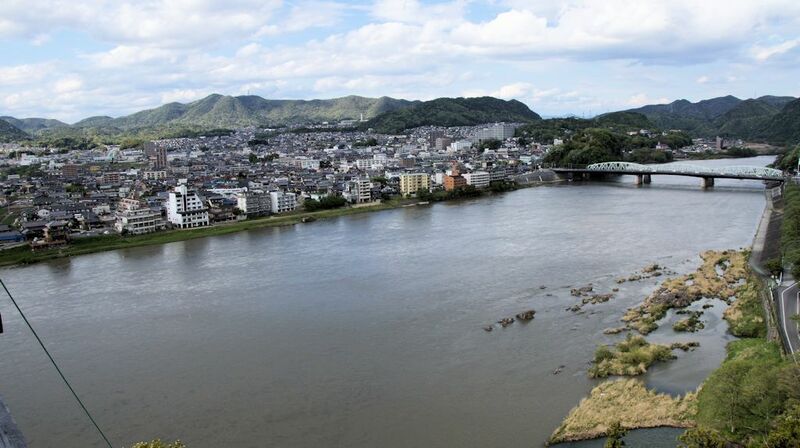 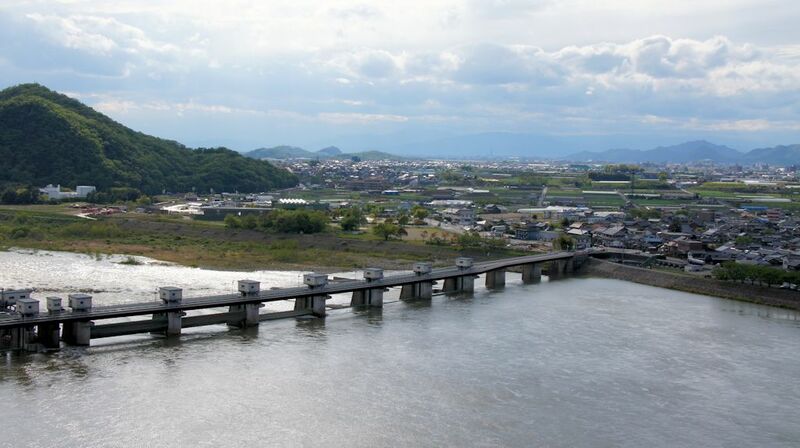 These include Matsumaro, Inuyama, Hikone, Himeji, Maruoka, Matsue, Marugame, Uwajima, Bitchu-Matsuyama, Hirosaki and Matsuyama. 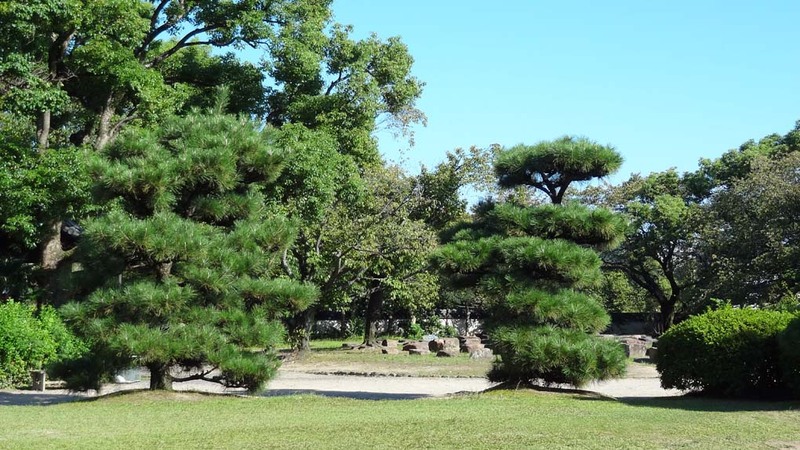 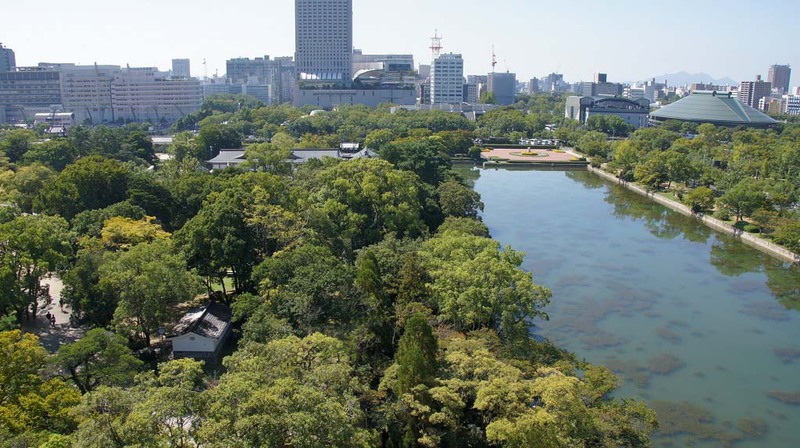 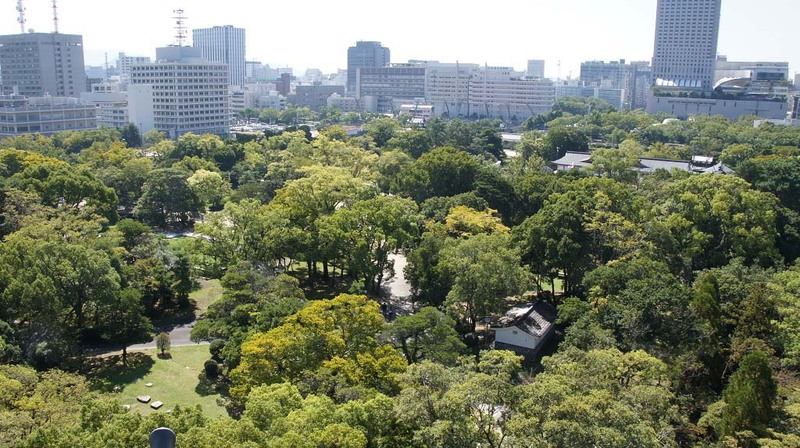 Even these 12 have lost much of their original grounds and outer buildings, but all are now protected by Japanese laws. 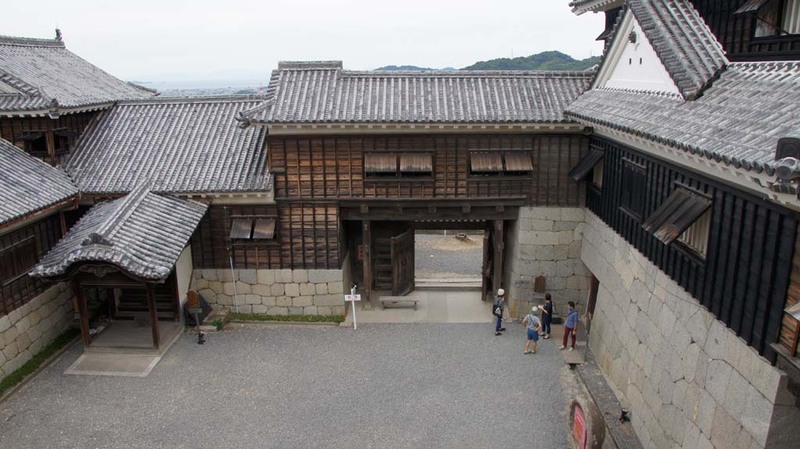 The typical, large castle consisted of three rings of defence, with the so called honmaru ("main circle") in the centre followed by the ninomaru ("second circle") and sannomaru ("third circle"). 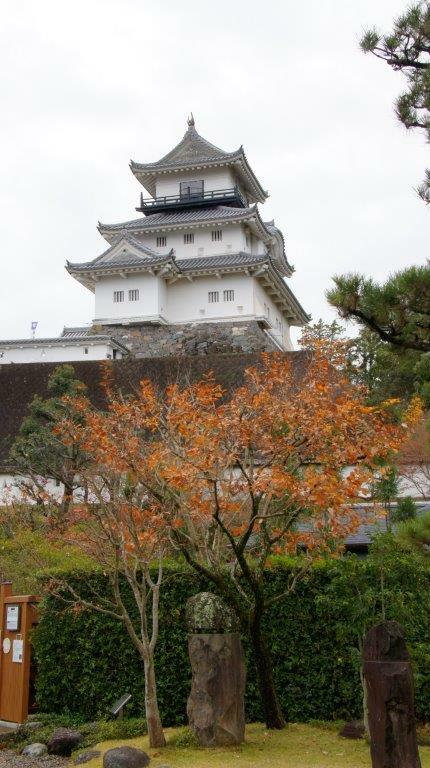 The castle tower stood in the honmaru, while the lords usually lived at a more comfortable residence in the ninomaru. 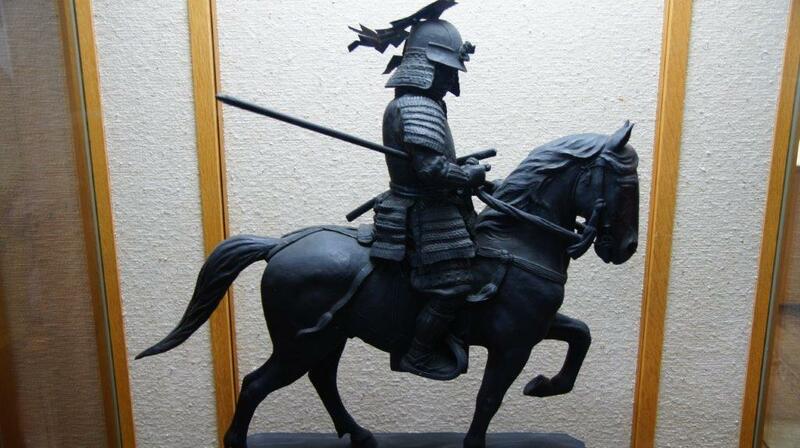 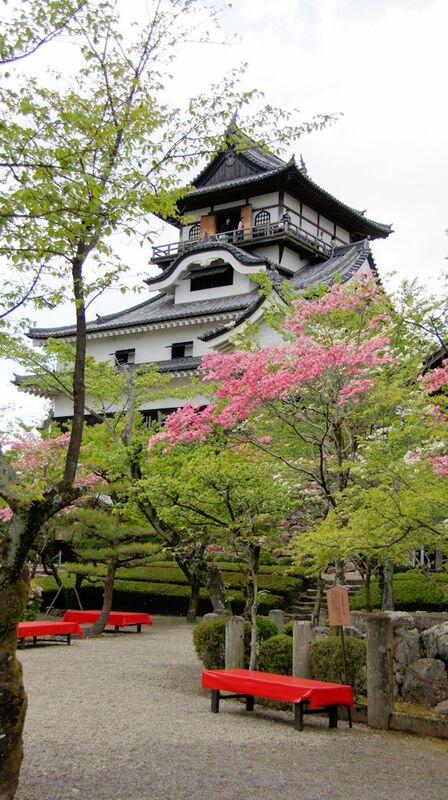 The samurai resided in in the town around the castle, the higher their rank, the closer they lived to the castle. 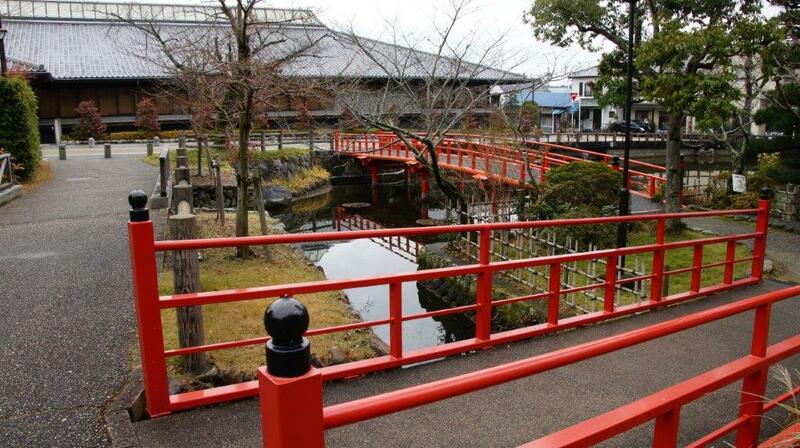 Merchants and artisans lived in special areas, while temple and entertainment districts were usually located just outside the city. 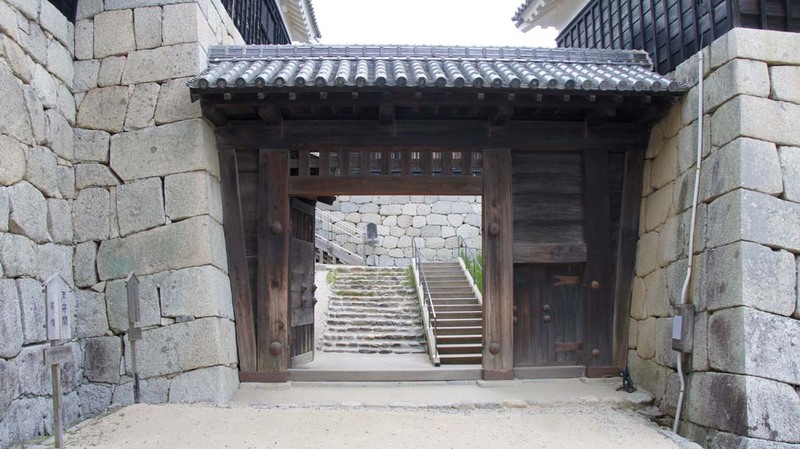 Like the castle itself, the size of the home of the samurai showed his rank and these were the only houses in the jokamachi allowed to have walls and gates. 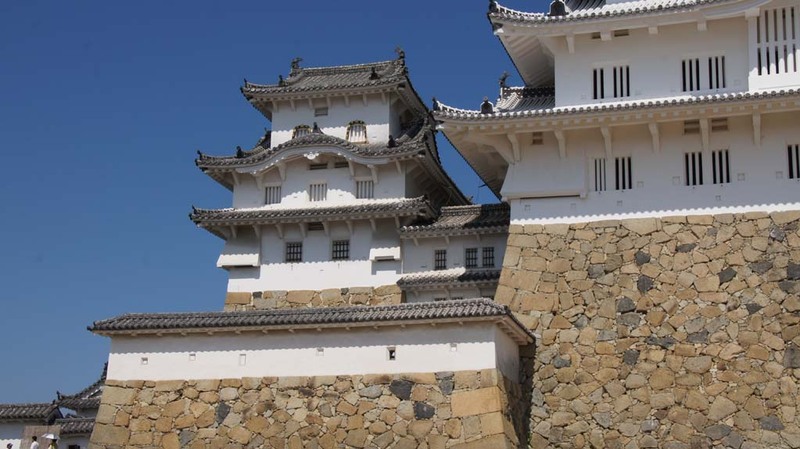 Castle towns, or jokamachi, were also an important feature of castles. 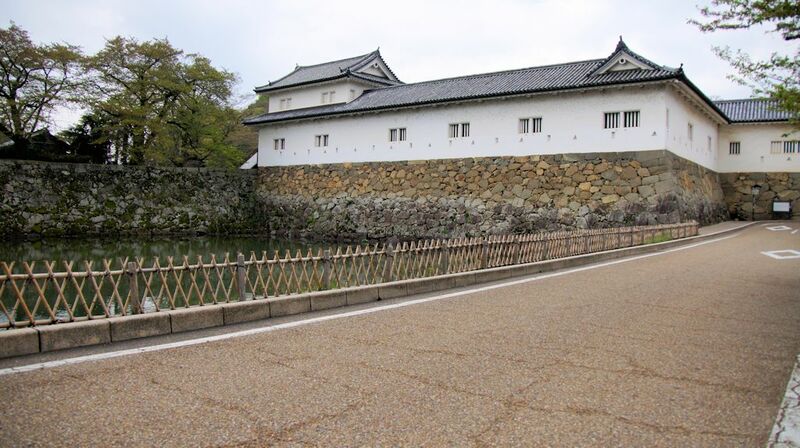 The jokamachi that grew up around Japanese castles were an extension of the defences of the castles, with many winding, confusing streets and dead ends. 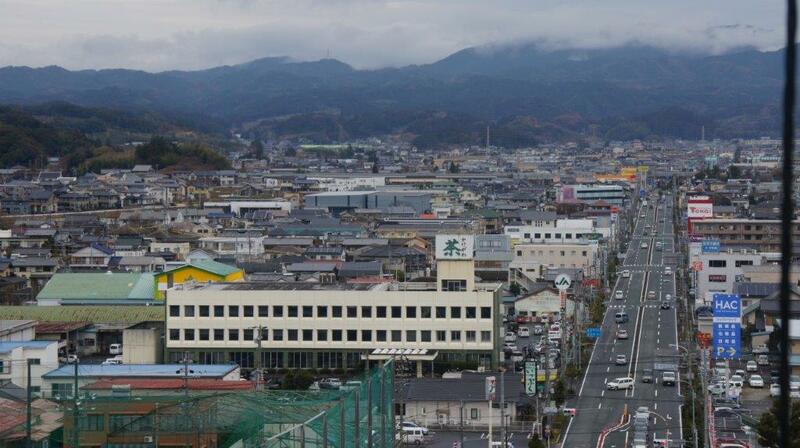 Into these towns moved peasants, artisans and businessmen, and some of the jokamachi became Japan's largest cities of today. 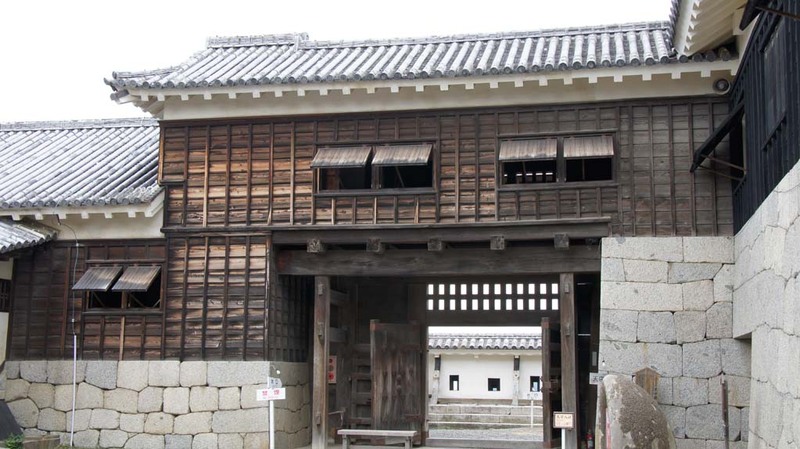 The Otemon, or main gate, of the jokamachi was very strong and the road leading from there to the castle was heavily fortified and lined with houses of the most loyal retainers. 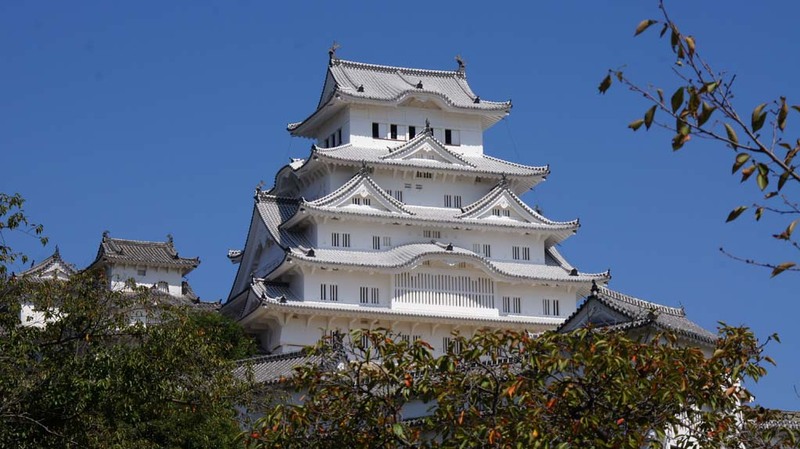 Himeji Castle was constructed in the mid-14th century, and a three-layer castle tower was built by Toyotomi Hideyoshi in the 16th century. 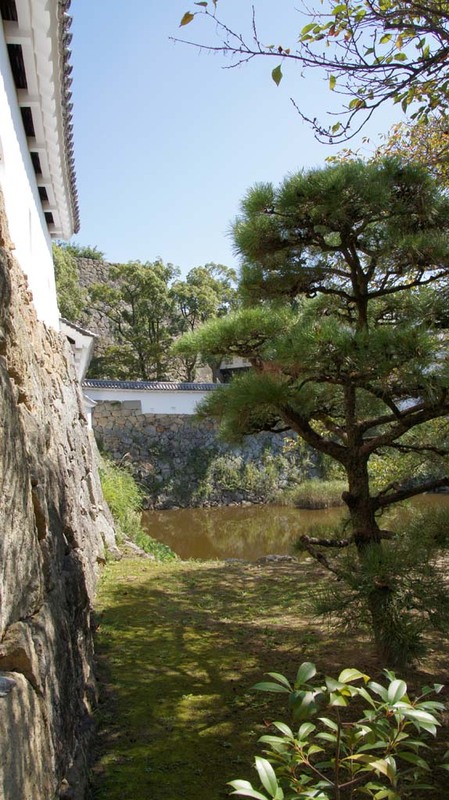 Ikeda Terumasa, a feudal Lord of the castle remodelled it in the 17th century. 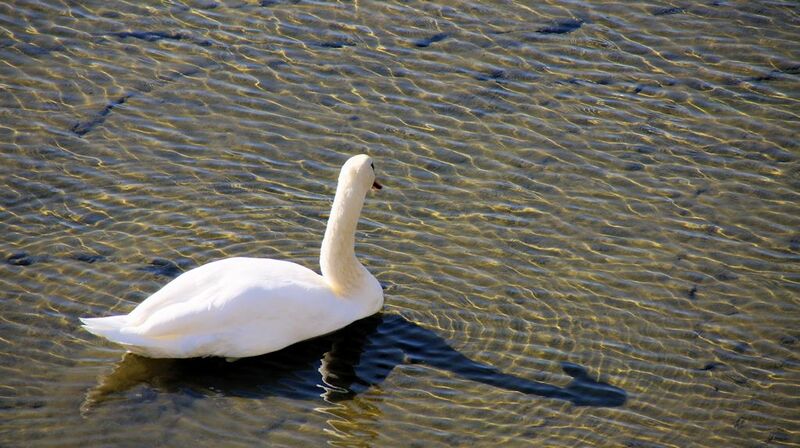 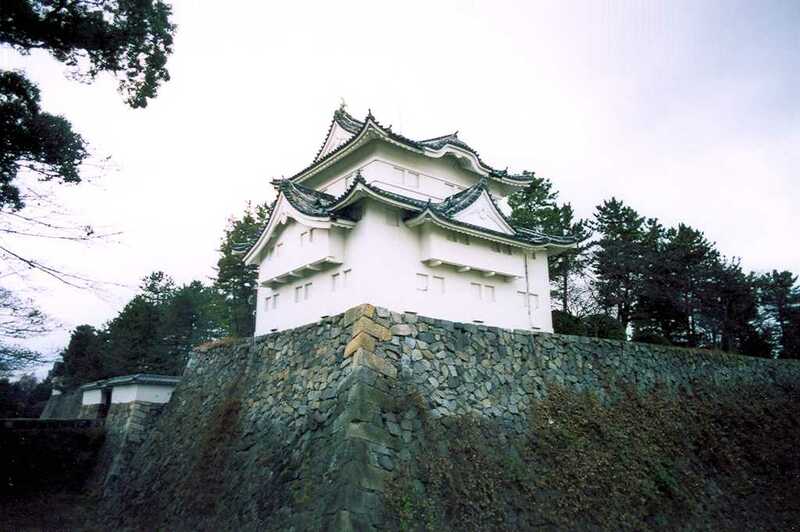 Its figure was likened to a white heron spreading wings, and thus also called White Heron Castle. 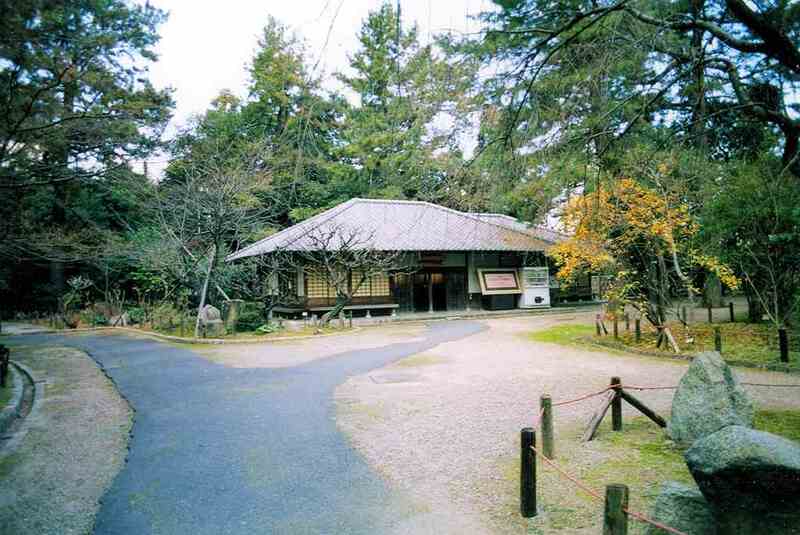 It was designated as a national treasure in 1931, and the World Cultural Heritage in 1993. 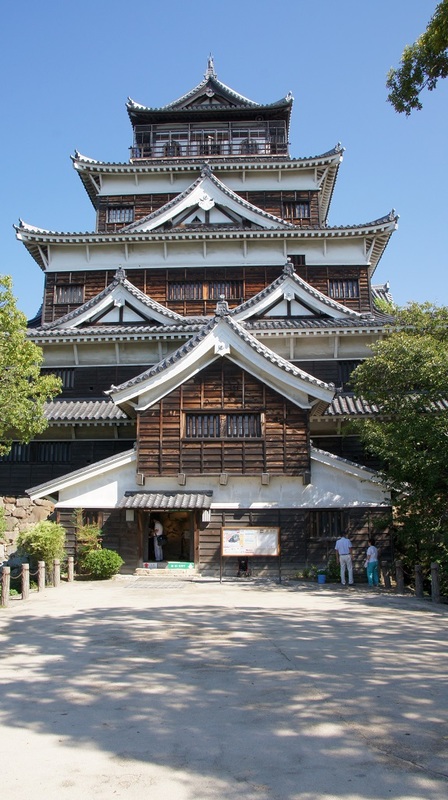 The Tenshukaku (castle tower) is the main structure and has five stories in appearance but six stories inside and a first basement. 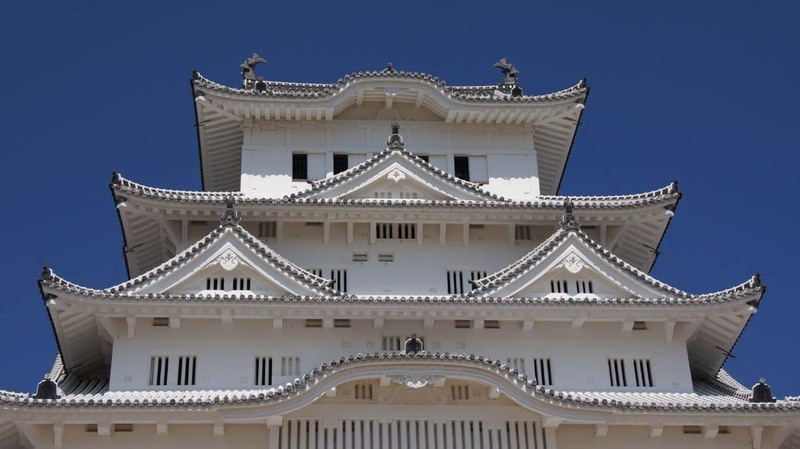 All the structures are covered with a white plaster unique to Japan. 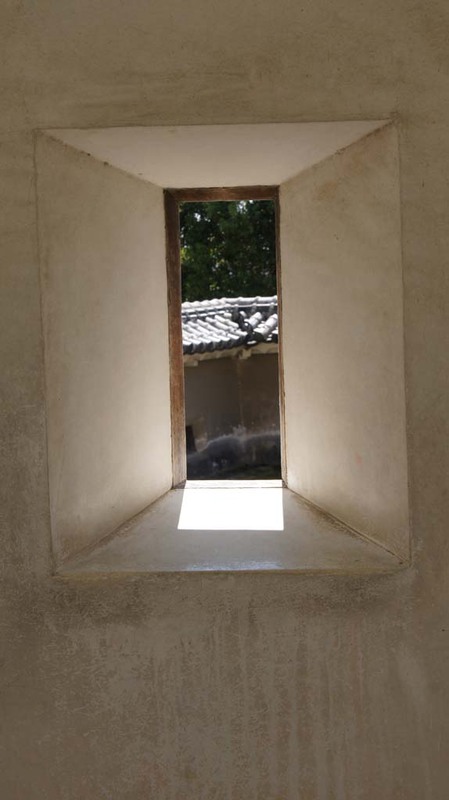 The plaster is made from slaked lime, shell ash, hemp fiber, and seaweed. 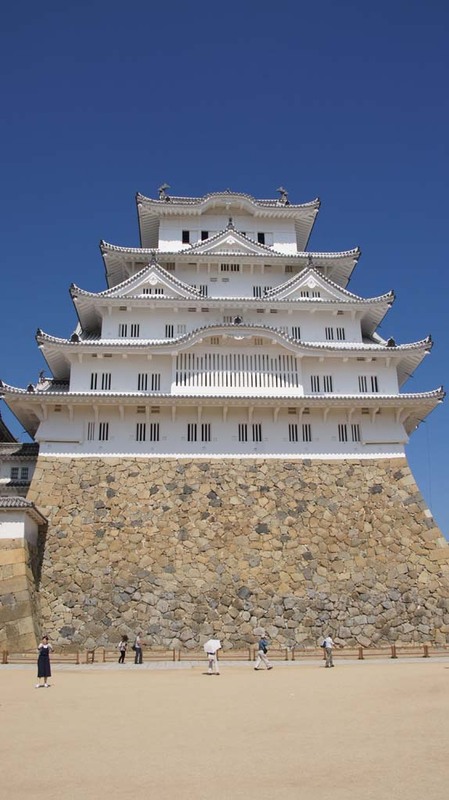 A 3cm thick layer protects the walls from fire, winds, rain, and snow. 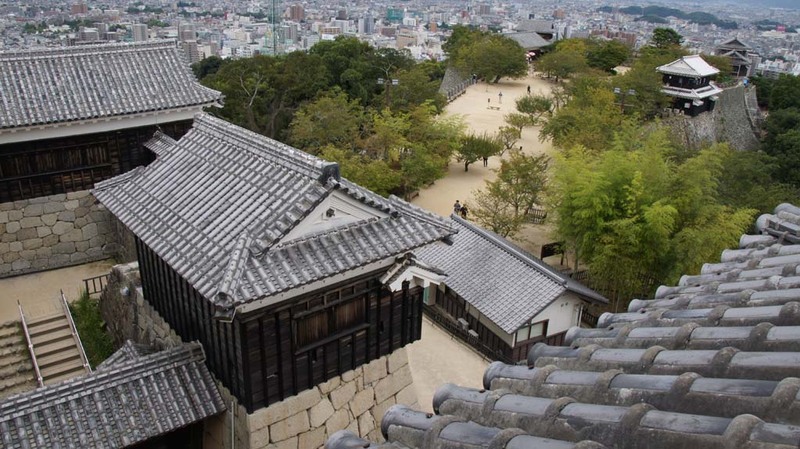 The roofs are covered with kawara tiles and white plaster was applied to the joints. 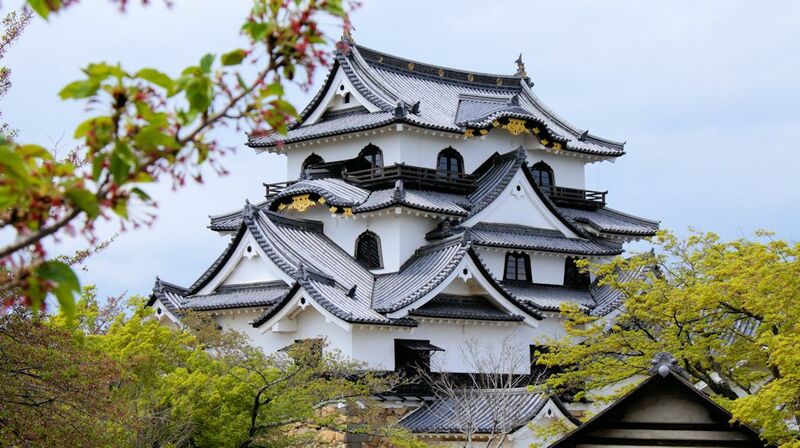 Its magnificent structure and elegant appearance, as well as complex and tactical defense devices make the castle the most prominent castle in Japan. 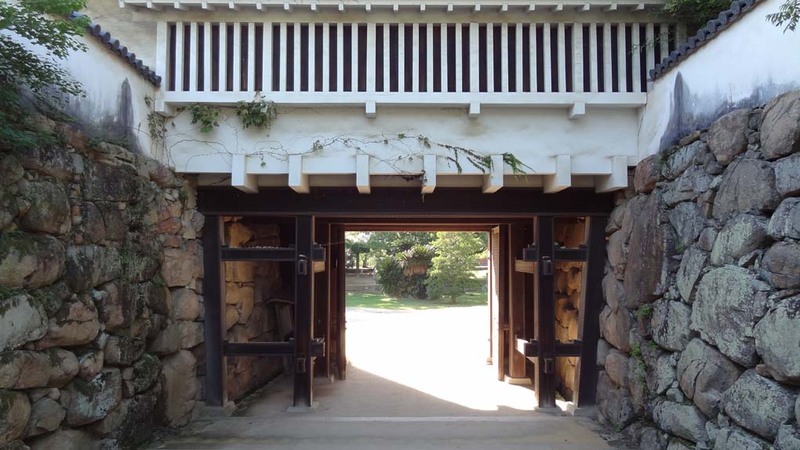 The labyrinth-like approach from the Hishi Gate to the main keep leads along walled paths and through multiple gates and baileys with the purpose to slow down and expose attacking forces. 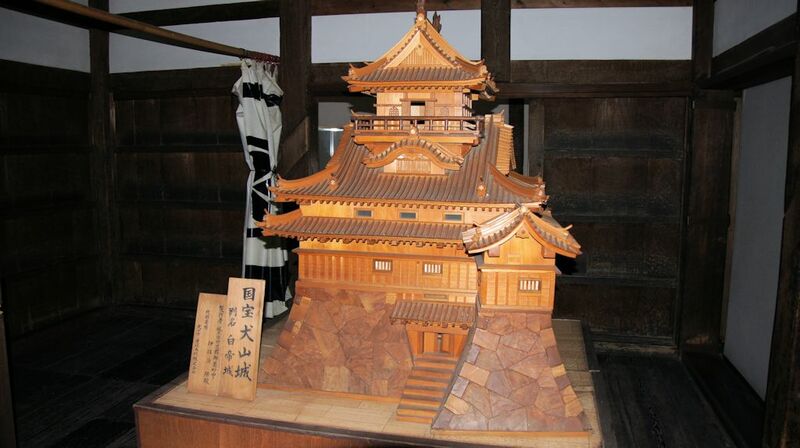 At the heart of the complex stands the main keep, a six story wooden structure. 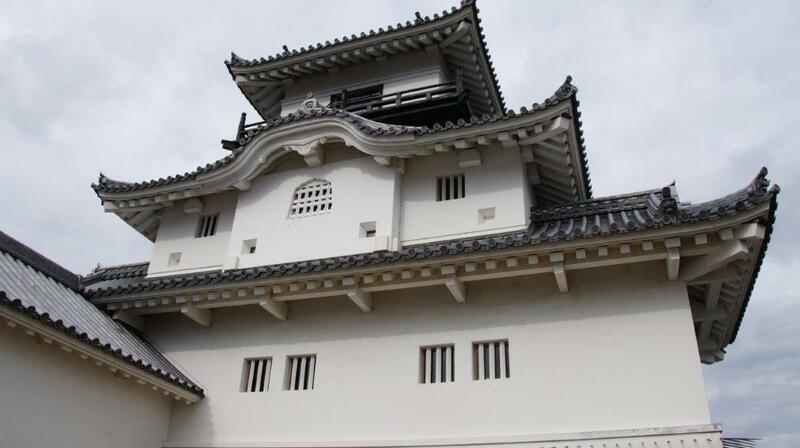 It is one of only a handful castle keeps in Japan that feature wing buildings, adding complexity to its appearance. 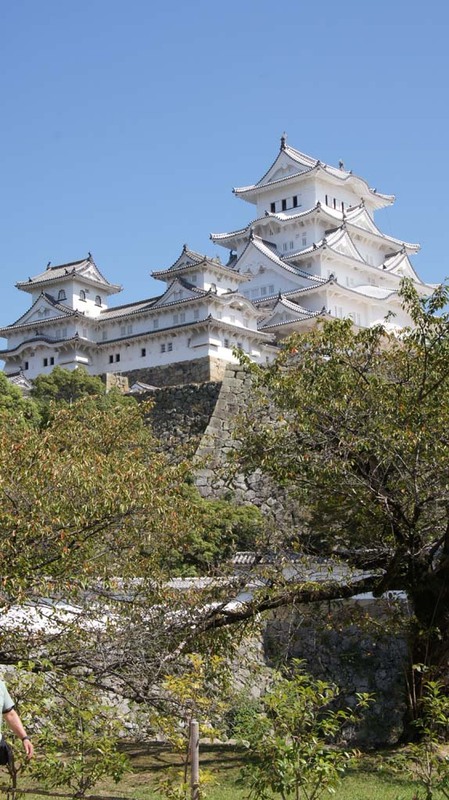 Himeji Castle lies at a strategic point along the western approach to the former capital city of Kyoto. 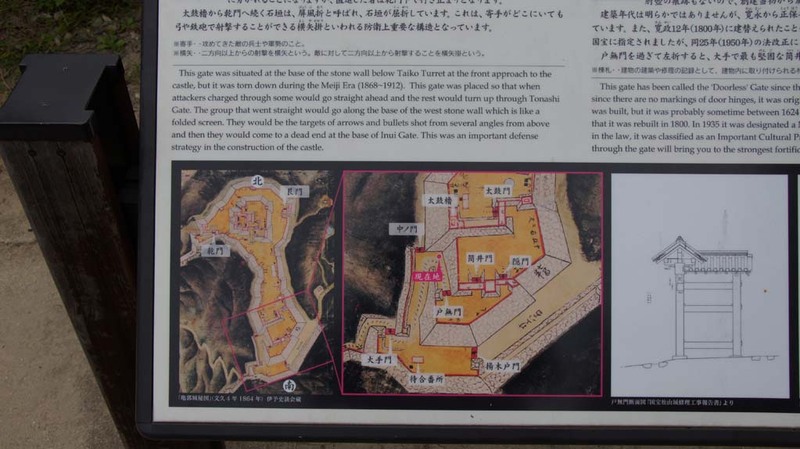 The first fortifications built on the site were completed in the 1400s, and were gradually enlarged over the centuries by the various clans who ruled over the region. 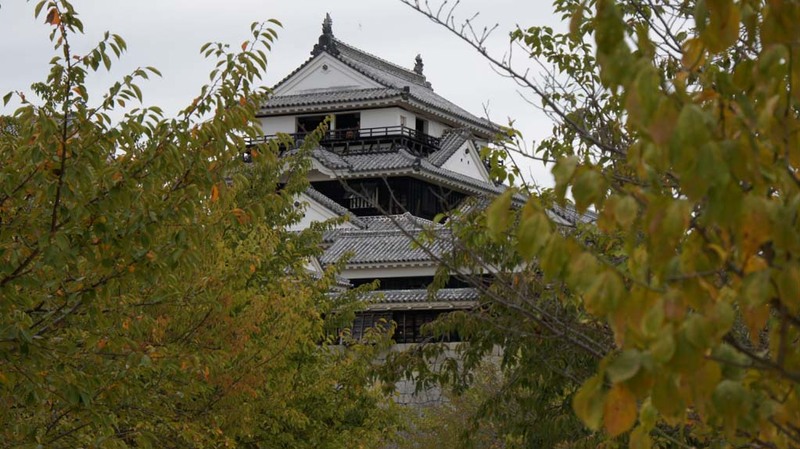 The castle complex as it survives today is over 400 years old and was completed in 1609. 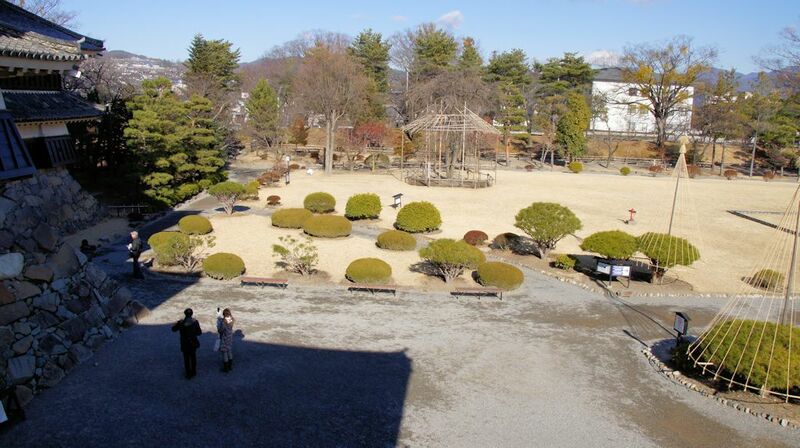 It comprises over eighty buildings spread across multiple baileys, which are connected by a series of gates and winding paths. 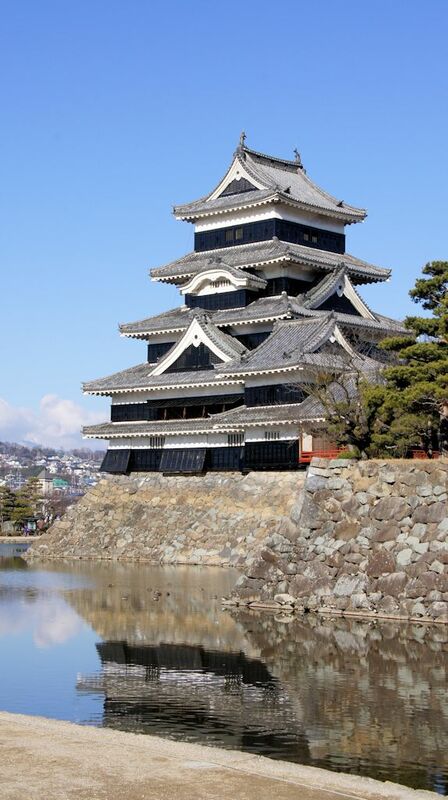 Matsumoto Castle is one of Japan's premier historic castles. 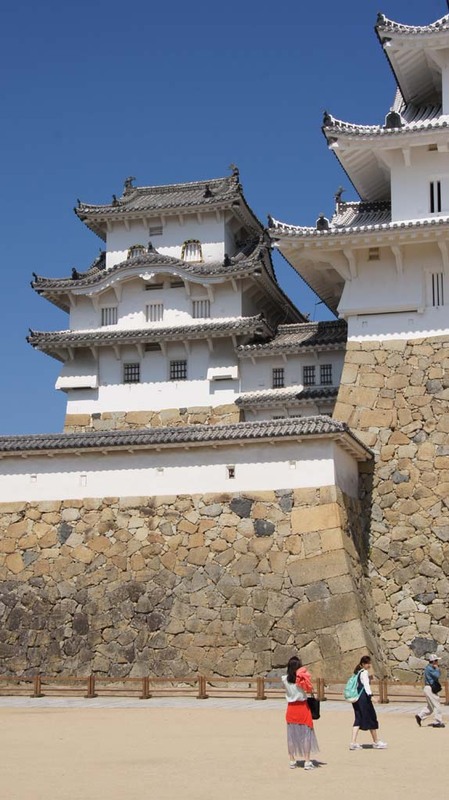 The keep completed in the late sixteenth century, maintains its original wooden interiors and external stonework. It is listed as a National Treasure of Japan. 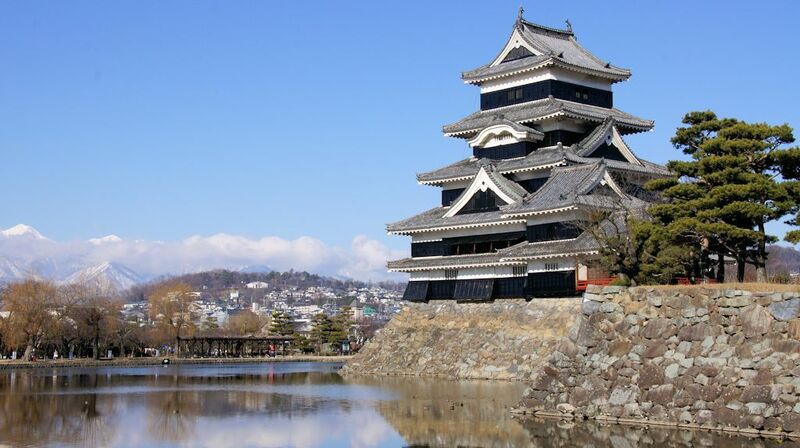 Matsumoto Castle is a flatland castle because it is not built on a hilltop or amid rivers, but on a plain. 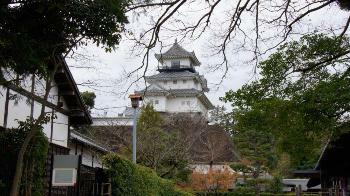 The castle's origins go back to the Sengoku period. 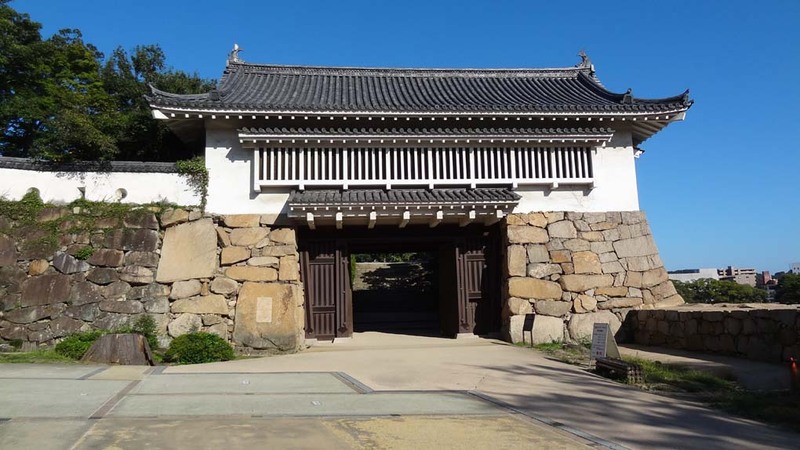 At that time Shimadachi Sadanaga of the Ogasawara clan built a fort on this site in 1504, which originally was called Fukashi Castle. 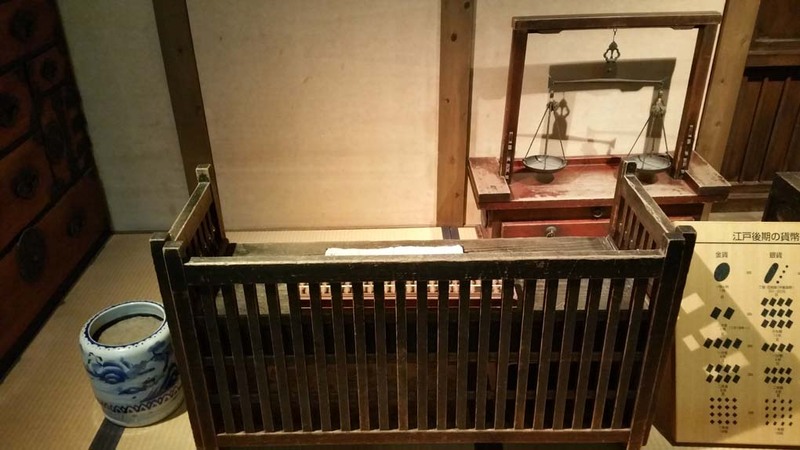 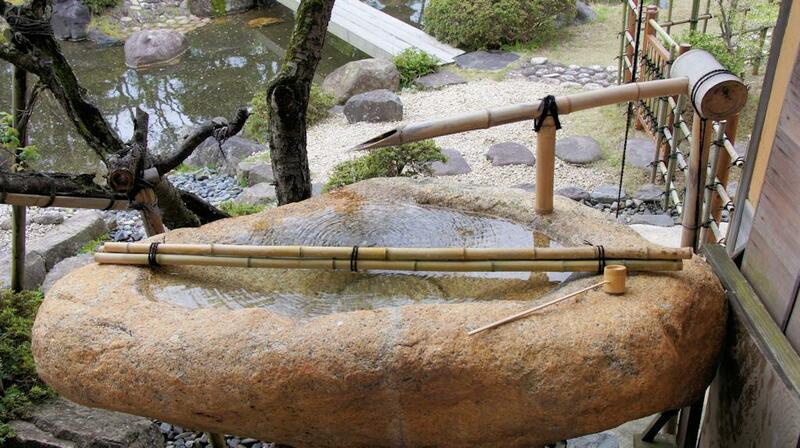 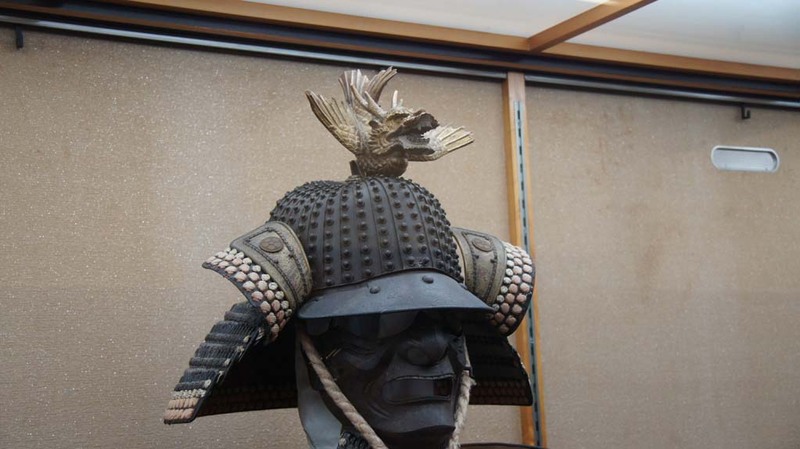 In 1550 it came under the rule of the Takeda clan and then Tokugawa Ieyasu. 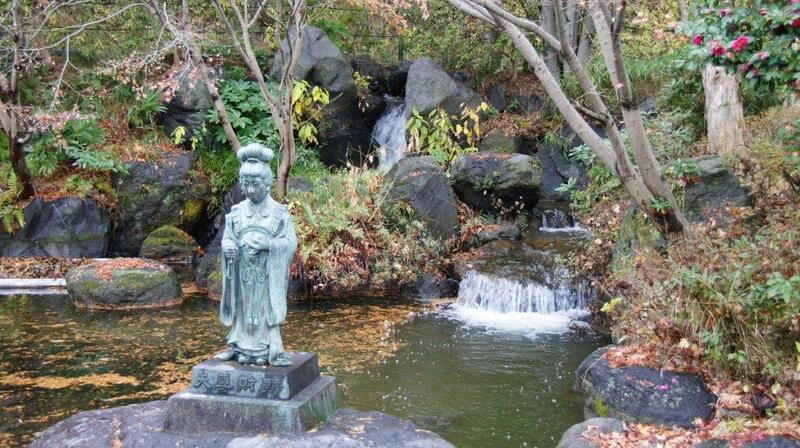 When Toyotomi Hideyoshi transferred Ieyasu to the Kantō region, he placed Ishikawa Norimasa in charge of Matsumoto. 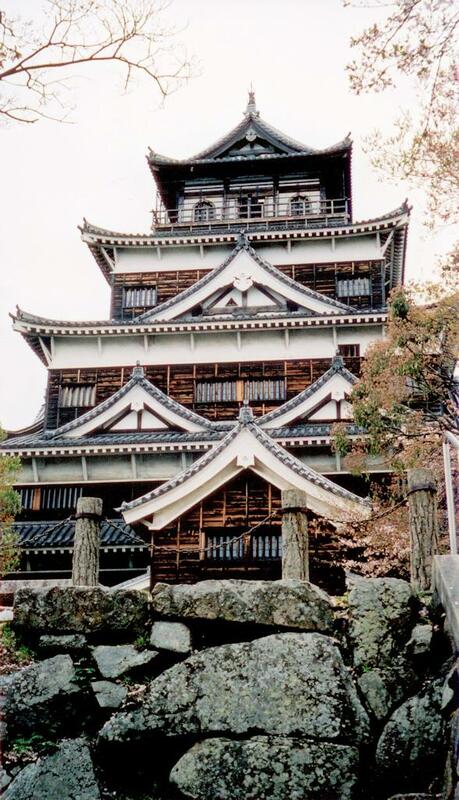 Norimasa and his son Yasunaga built the tower and other parts of the castle, including the three towers: the keep and the small tower in the northwest, both begun in 1590, and the Watari Tower; the residence; the drum gate; the black gate, the Tsukimi Yagura, the moat, the innermost bailey, the second bailey, the third bailey, and the sub-floors in the castle, much as they are today. 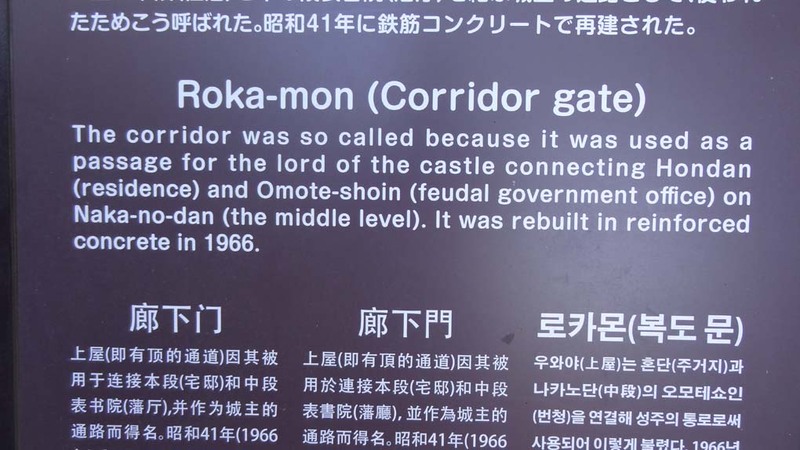 They also were instrumental in laying out the castle town and its infrastructure. 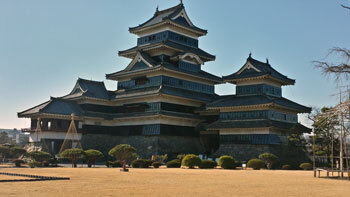 It is believed much of the castle was completed by 1593–94. 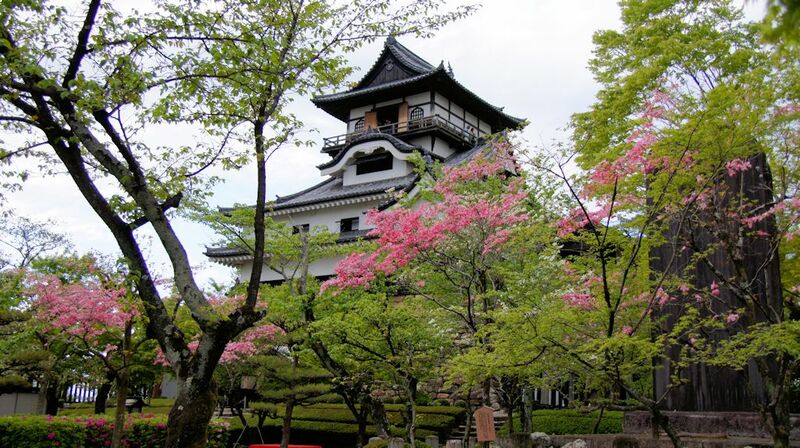 For the next 280 years until the abolition of the feudal system in the Meiji Restoration, the castle was ruled by the 23 lords of Matsumoto representing six different daimyo families. 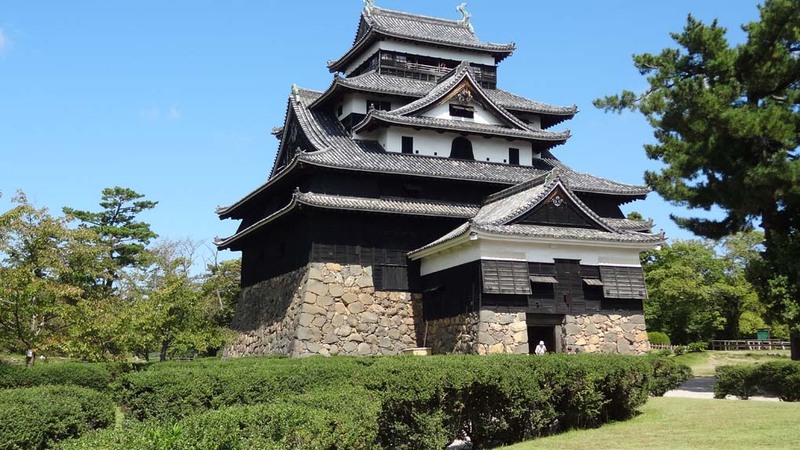 In this period the stronghold was also known as Crow Castle because its black walls and roofs looked like spreading wings. 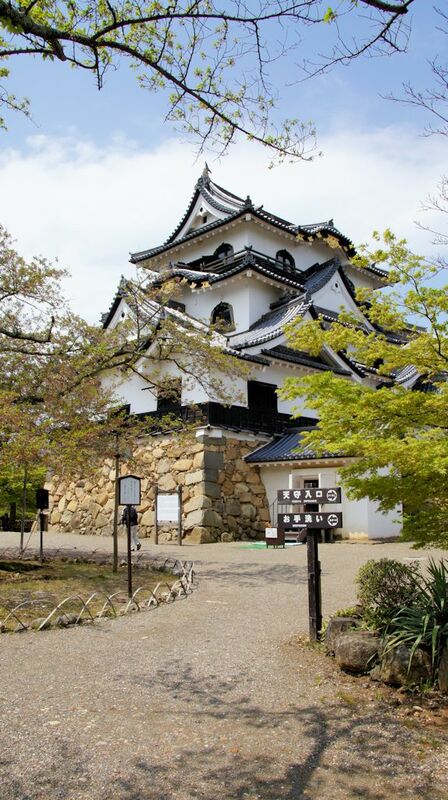 Hikone Castle traces its origin to 1603 when Ii Naokatsu, son of the former daimyo Ii Naomasa, ordered its construction. 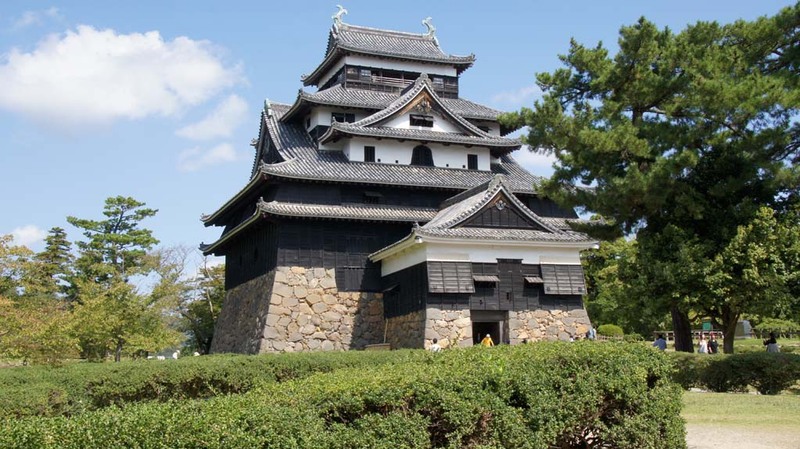 The keep was originally built in 1575, as part of Ōtsu Castle, and was moved to Hikone by the Ii clan. 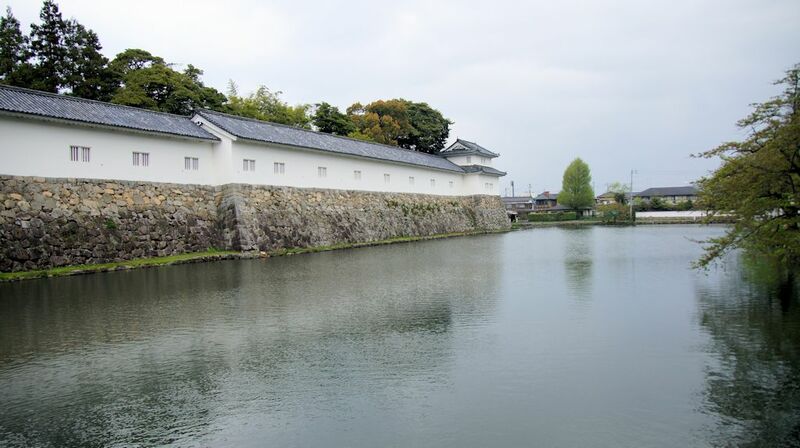 Hikone Castle was completed in 1622. 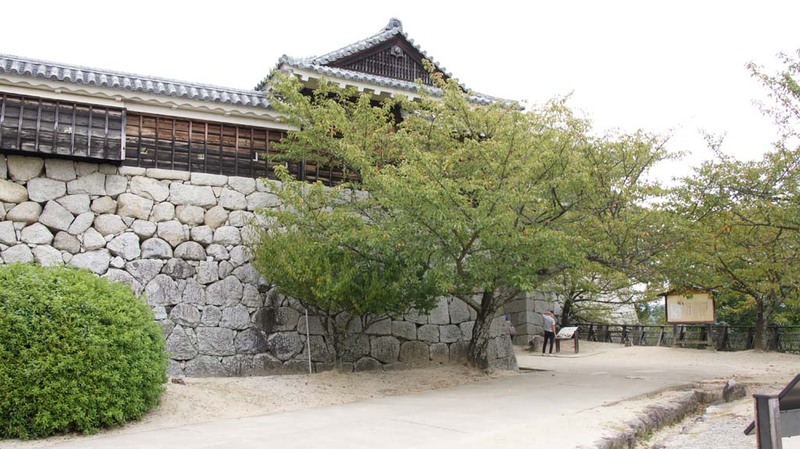 Naokatsu's lands had been taken from him in the interval by the Tokugawa shogunate, and when his brother Naotake assumed control of the area around Ōmi Province, he was able to complete the castle by collecting stones from the former Sawayama Castle. 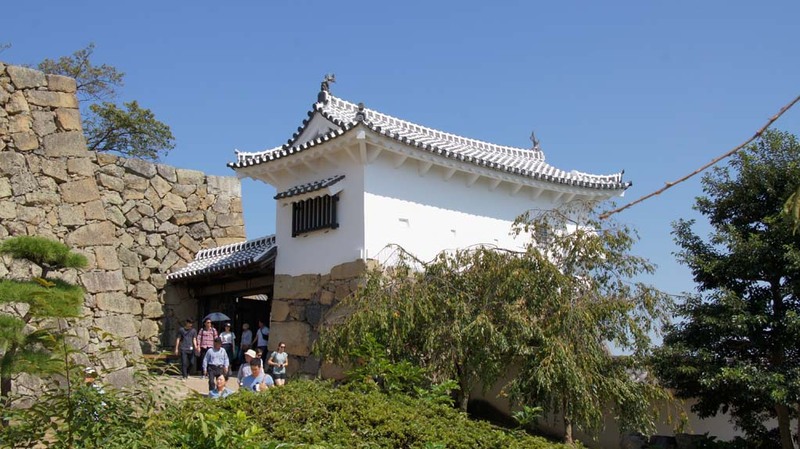 When the Meiji era began in 1868, many castles were scheduled to be dismantled, and only a request from the emperor himself, touring the area, kept Hikone Castle intact. 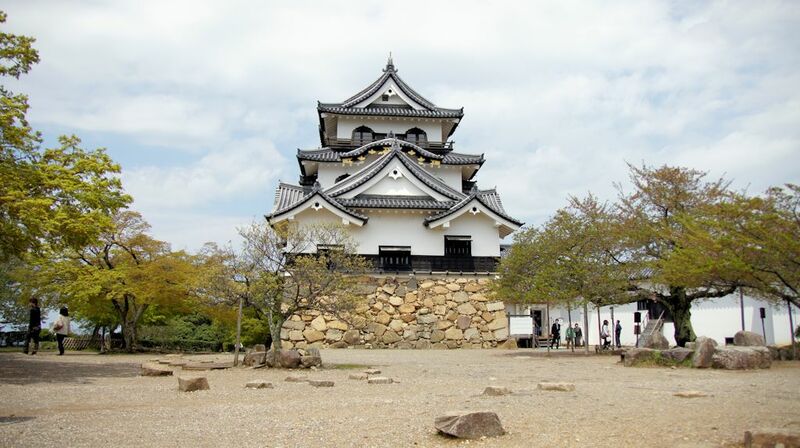 Today it remains one of the oldest original-construction castles in Japan. 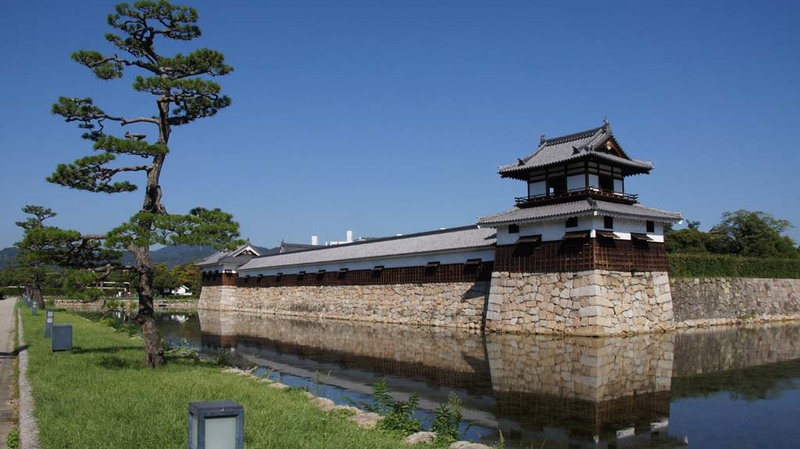 The main keep of Hikone Castle was designated a National Treasure by the Ministry of Education, Science, Sports and Culture in 1952. 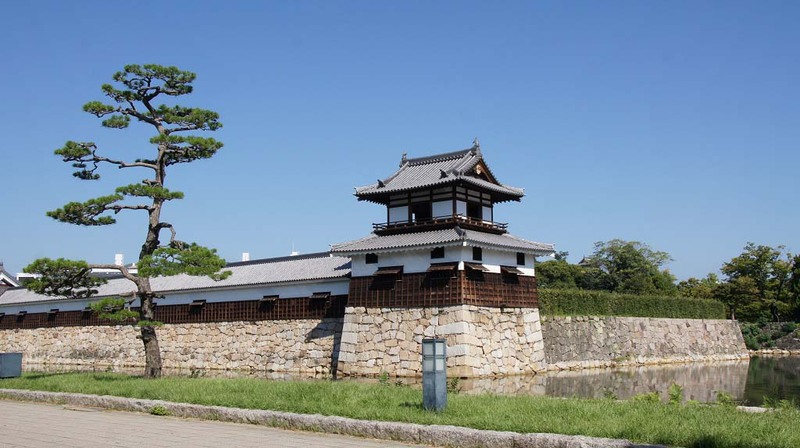 Hikone Castle also has several parts which are designated Important National Cultural Assets: Umaya (Stable), Tenbin Yagura (Balance Scale Turret), Taikomon Yagura (Drum Gate Turret) and Nishinomaru Sanju Yagura (West Bailey Three-story Turret). 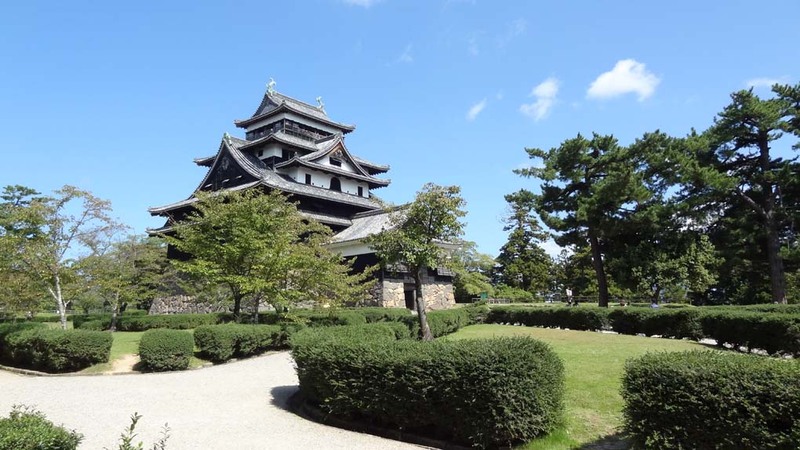 Hikone Castle's three storied castle keep is relatively small but displays a unique design that combines multiple different architecture styles. 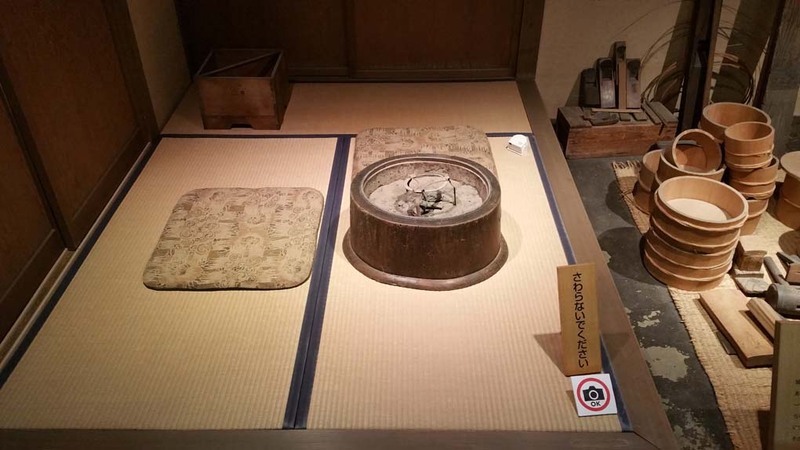 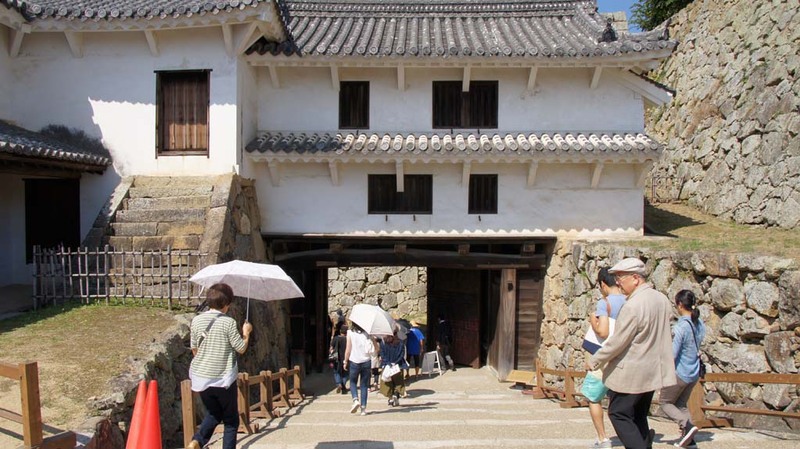 This is one reason why the castle keep has been designated a national treasure, the highest designation for cultural properties in Japan, held by only four other castle keeps, namely the ones of Himejijo, Matsumotojo, Inuyamajo and Matsuejo. 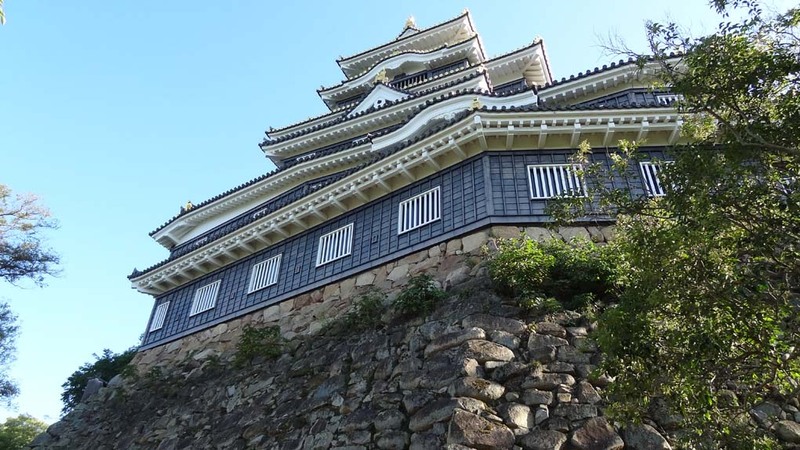 By climbing the steep stairs on the inside of the castle keep to the top floor, visitors can enjoy views over the castle grounds and the city. 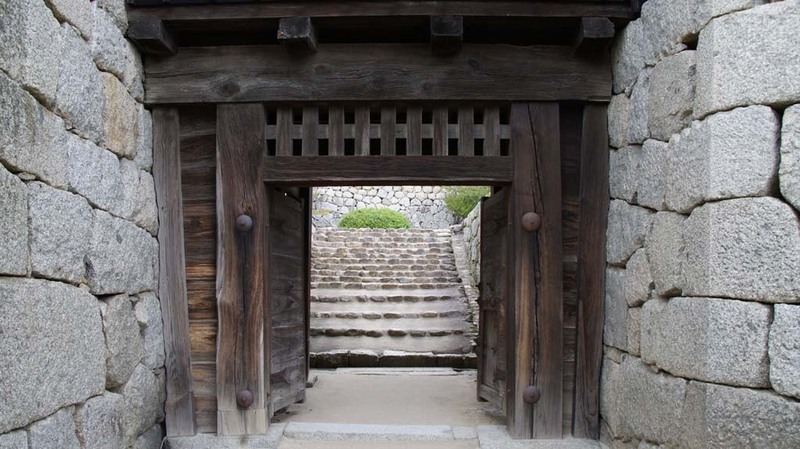 The approach to the hilltop castle keep is also interesting. 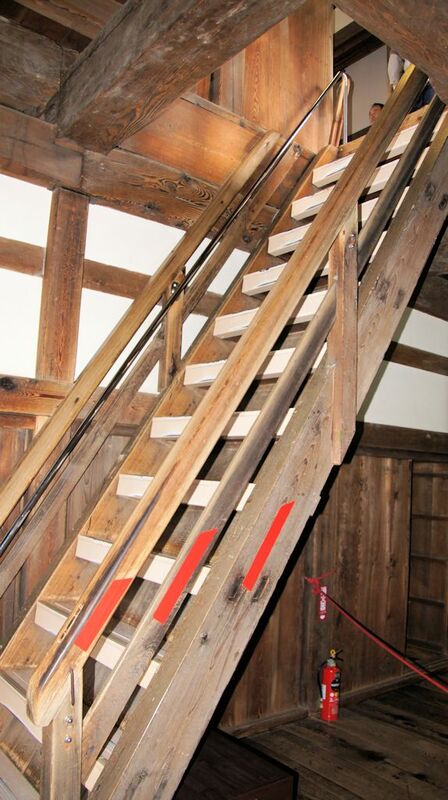 It includes a spiral ramp onto a wooden bridge that can be easily destroyed in case of an attack. 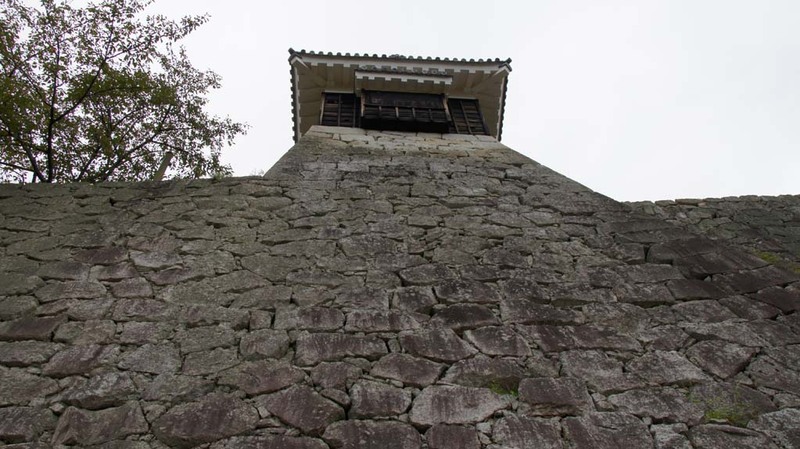 There are also several turrets which can be inspected from the inside as well as a large bell that is still rung several times per day to tell the time. 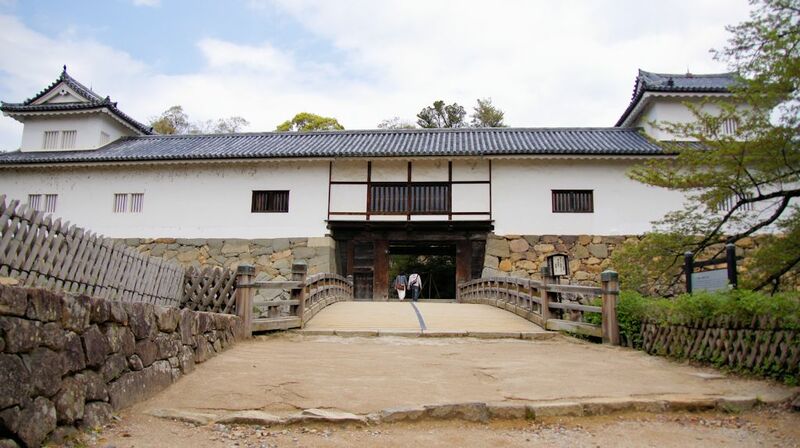 A large store house and a horse stable stand near the castle's main gate. 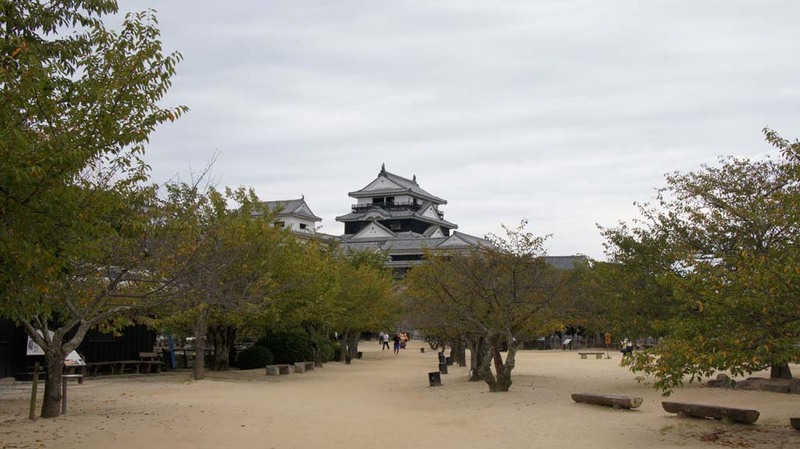 At the base of the castle hill stands the Hikone Castle Museum whose main attraction is a partial reconstruction of the former palace buildings. 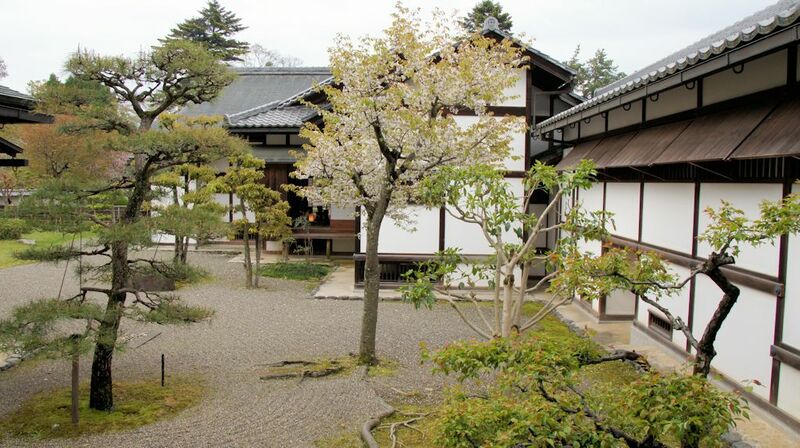 The buildings, which include multiple tatami rooms, corridors and gardens, served as the government offices of the lords and have been reconstructed in the 1980s with great care according to excavations. 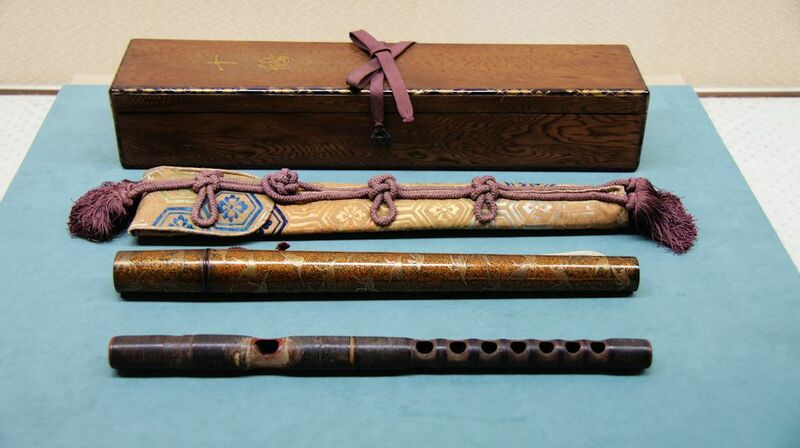 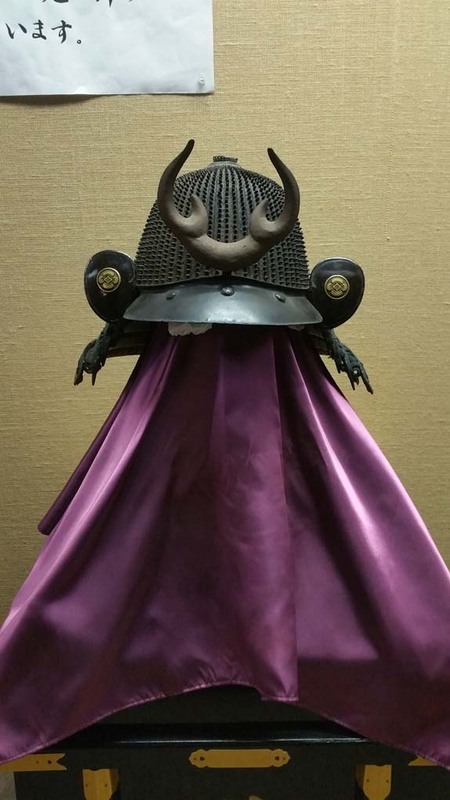 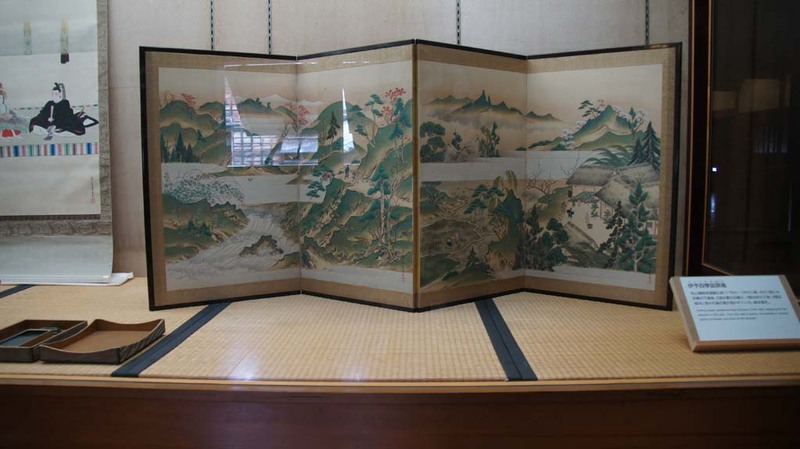 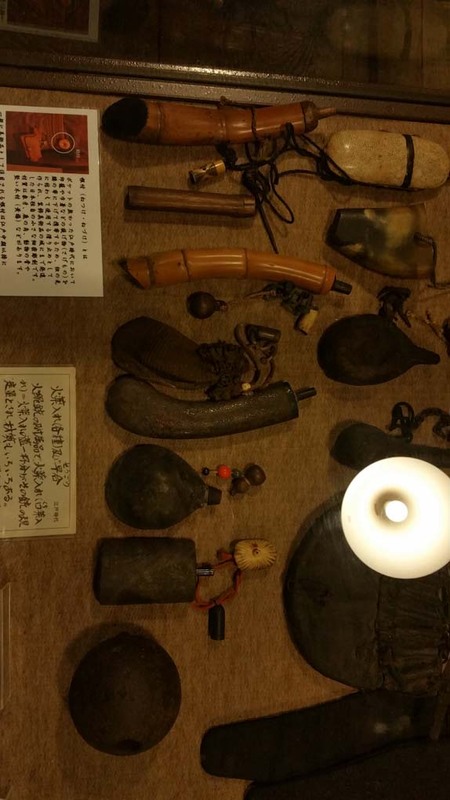 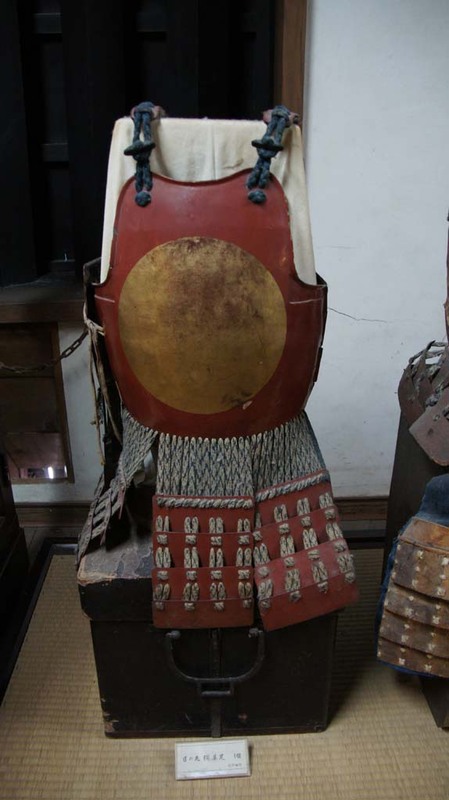 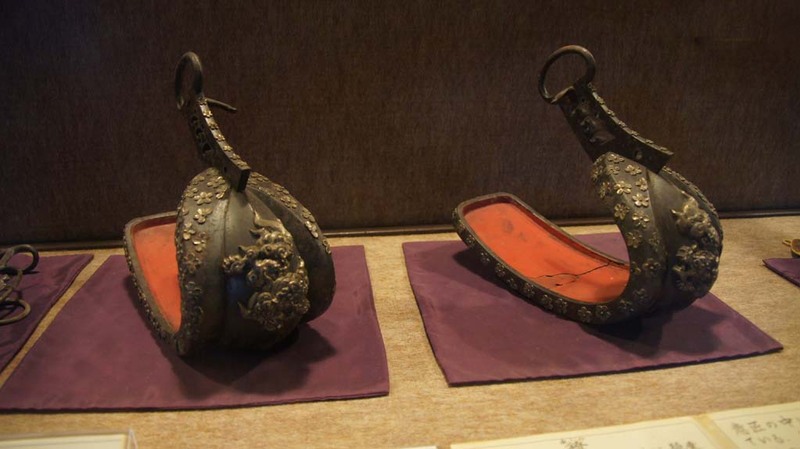 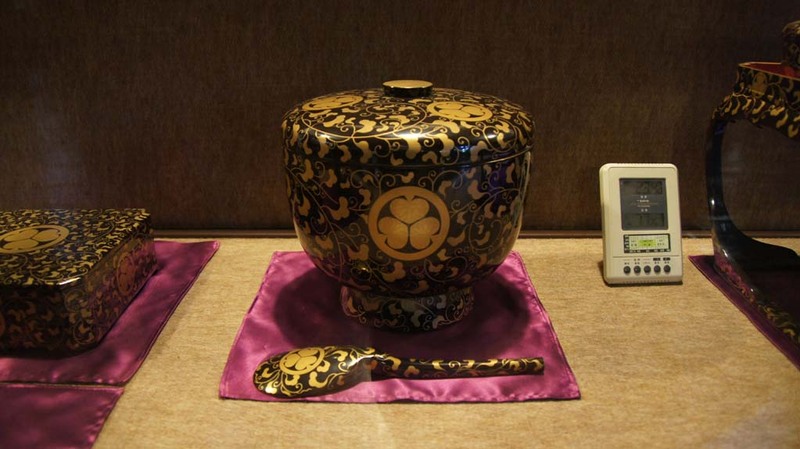 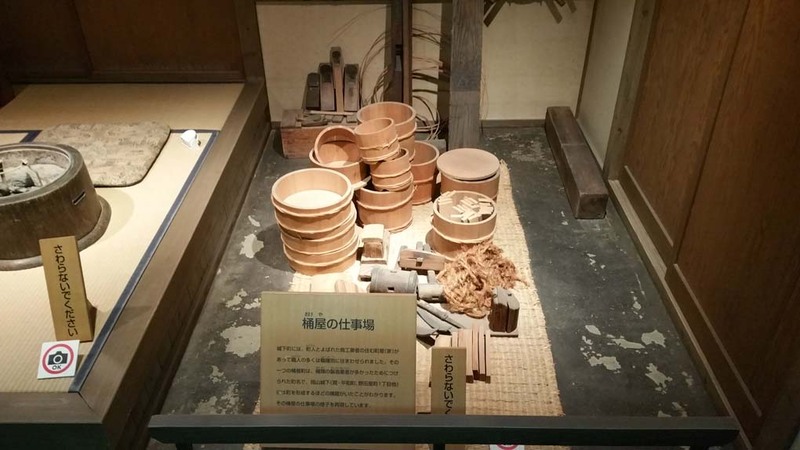 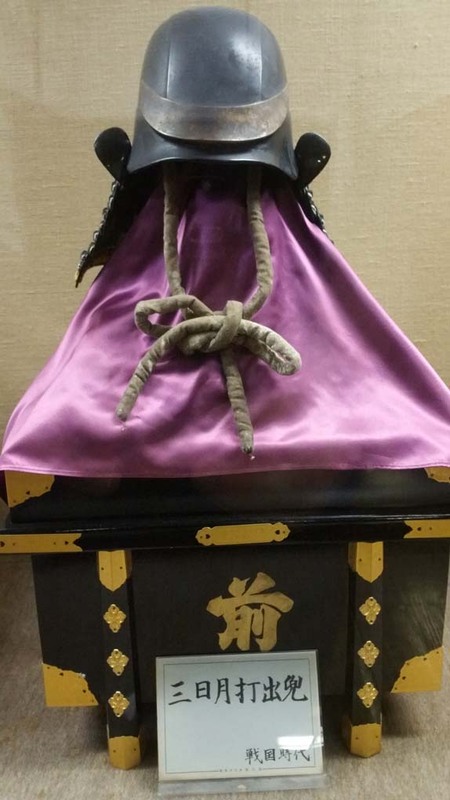 Ordinary exhibition rooms display the clan's family treasures, including arms and armor, kimono, music instruments and documents. 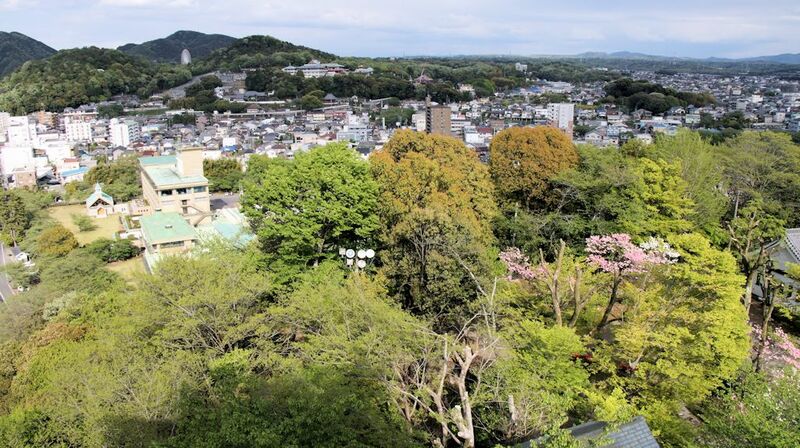 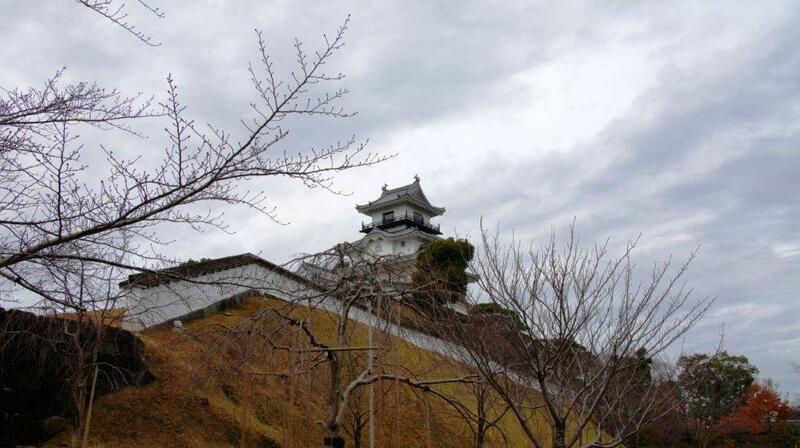 Inuyama Castle stands on top of a small hill next to Kiso River. 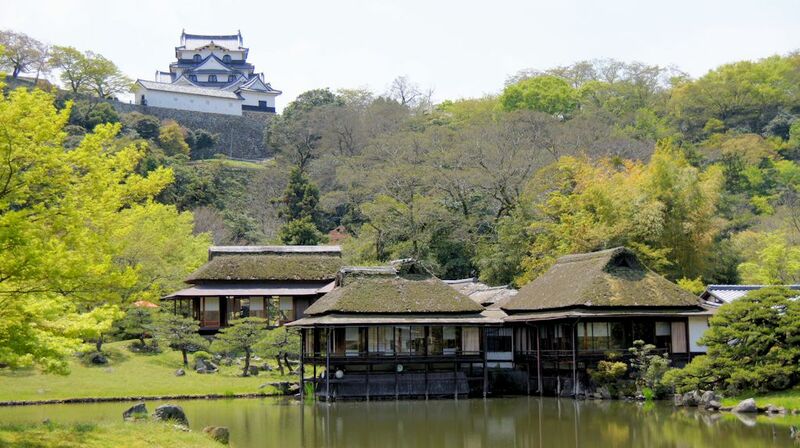 It is often claimed as the oldest castle in Japan. 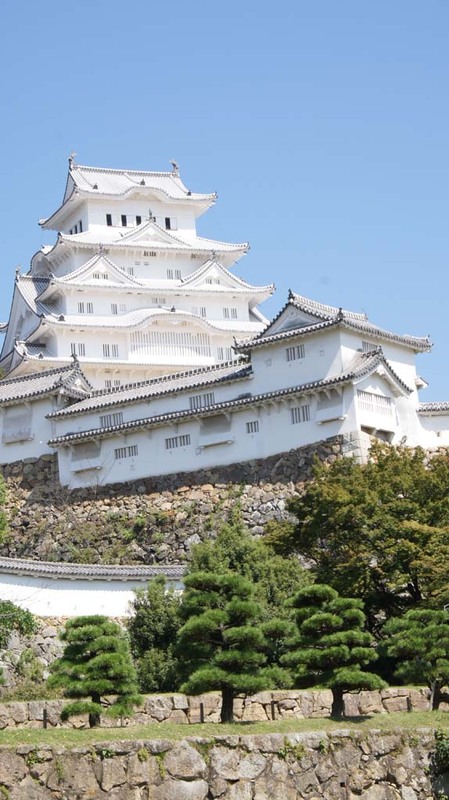 Its original construction was completed in 1440. 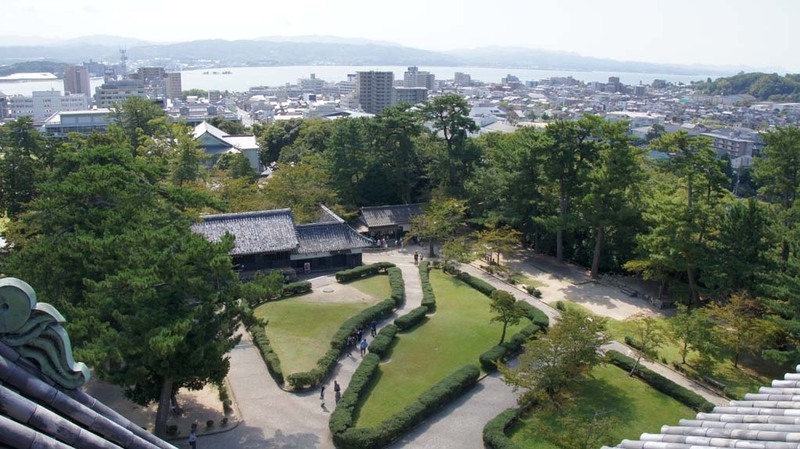 According to Engishiki (a Heian Period-book), Harigane Shrine (a Shinto shrine) was moved to make way for the castle. 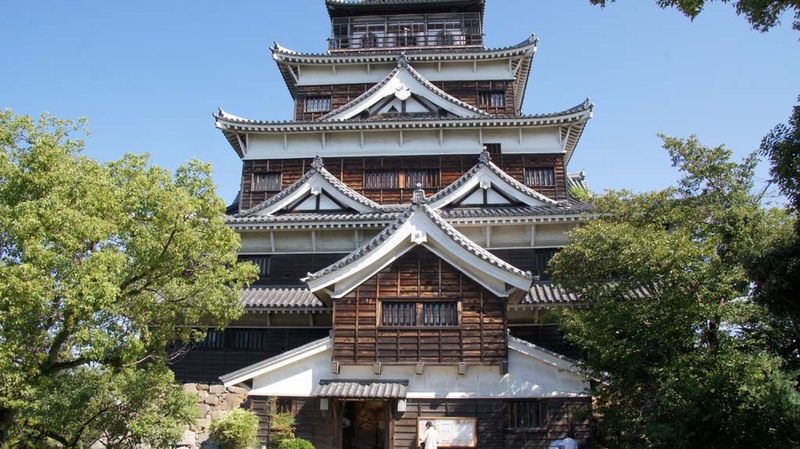 That structure has been heavily augmented over time, and the current towers were completed in 1537, by Oda Nobuyasu, Oda Nobunaga's uncle. 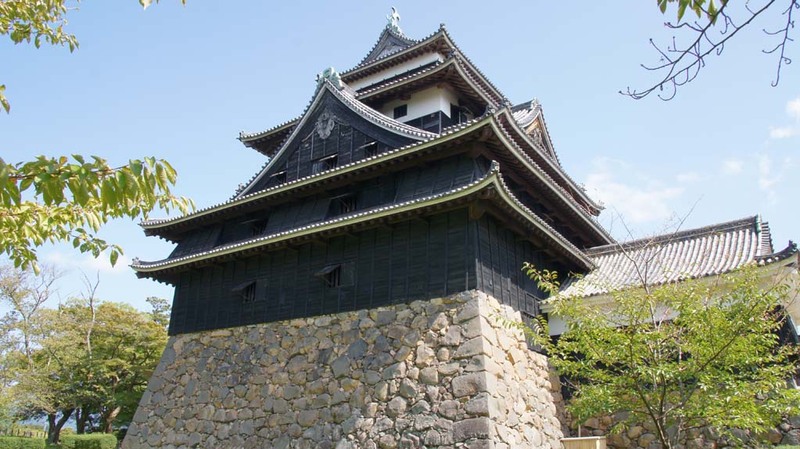 Though the antiquated architectural style of the watchtower atop the tenshu has in the past led many historians to believe this to be the oldest extant tenshu in Japan, that honor goes to Maruoka Castle, built in 1576. 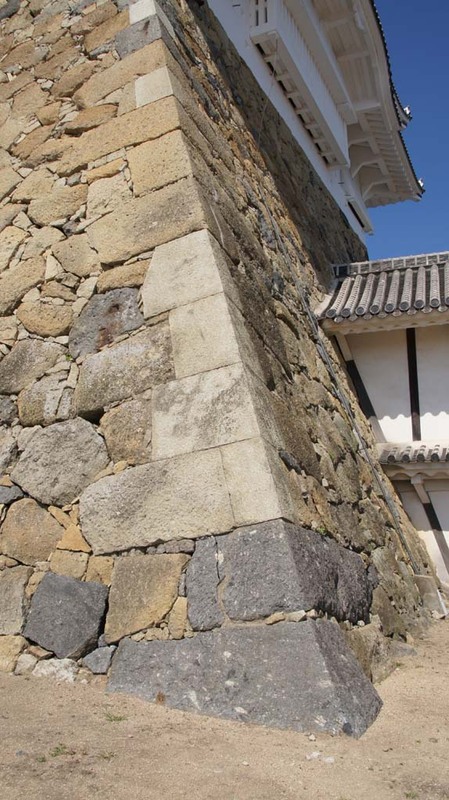 Construction on the main tenshu (donjon) at Inuyama began in 1601, and continued through 1620. 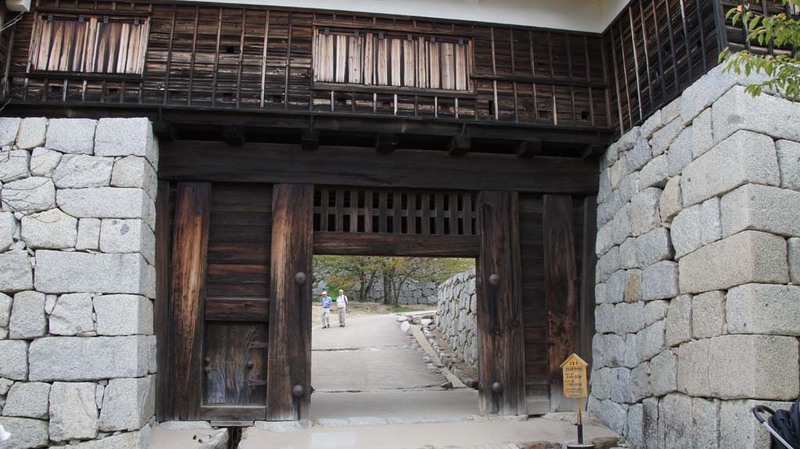 The main keep's structure is built almost entirely with wood and rocks, and its interior is beautifully preserved and retains an authentic feel. 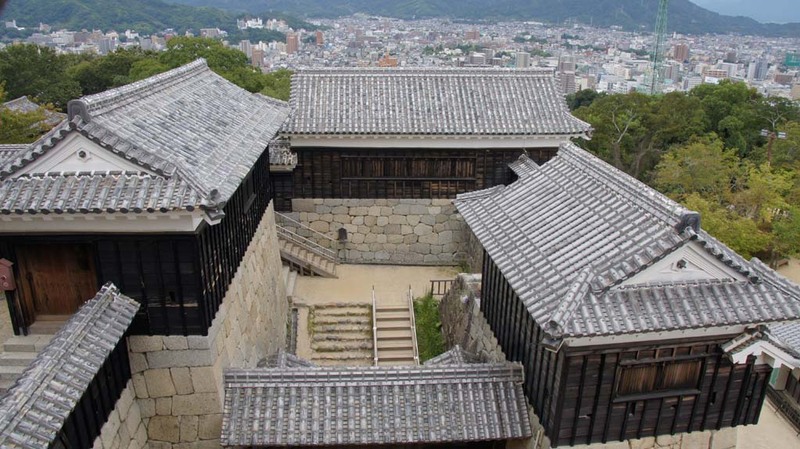 The castle was the center of power for the Naruse clan, retainers of the Matsudaira clan and rulers of the Inuyama Domain. 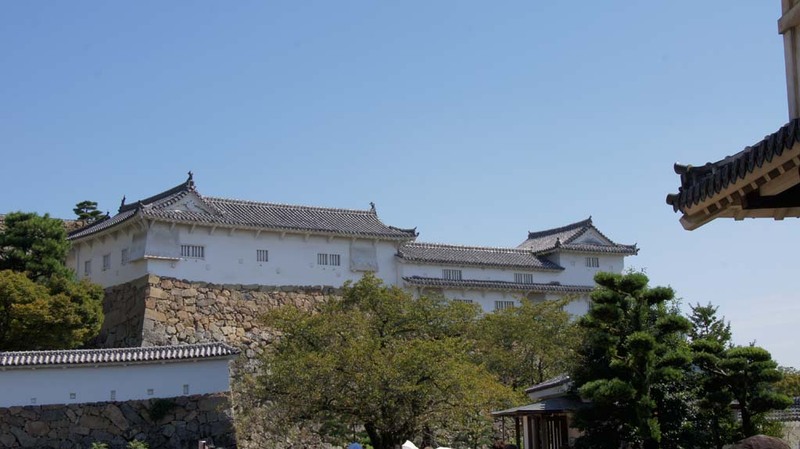 In the battle of Komaki/Nagakute, Hideyoshi Toyotomi was based at this castle with 120,000 soldiers, and fought the only battle against Ieyasu Tokugawa in his lifetime. Following the Battle of Sekigahara, Ishikawa was defeated and Matsudaira Tadayoshi (master of Kiyosu castle) stationed his retainer Ogasawara Yoshitsugu in Inuyama Castle. 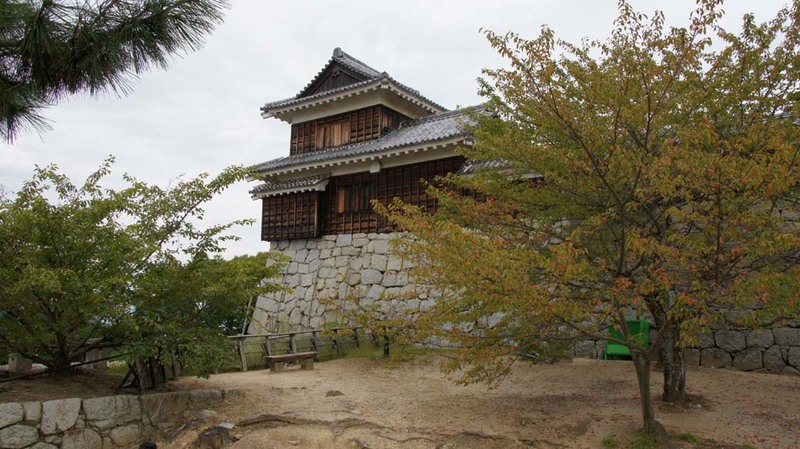 In 1616 Ogasawara was replaced by Naruse Masanari and his family have more or less owned the castle through the present day. 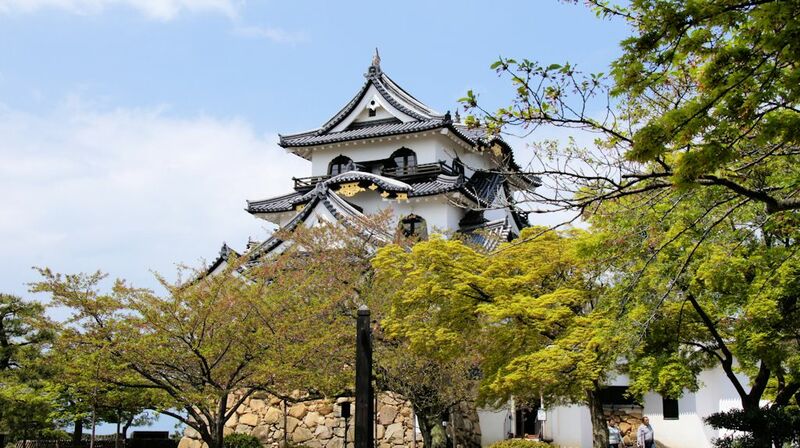 Inuyama Castle was unique in Japan in that it was privately owned. 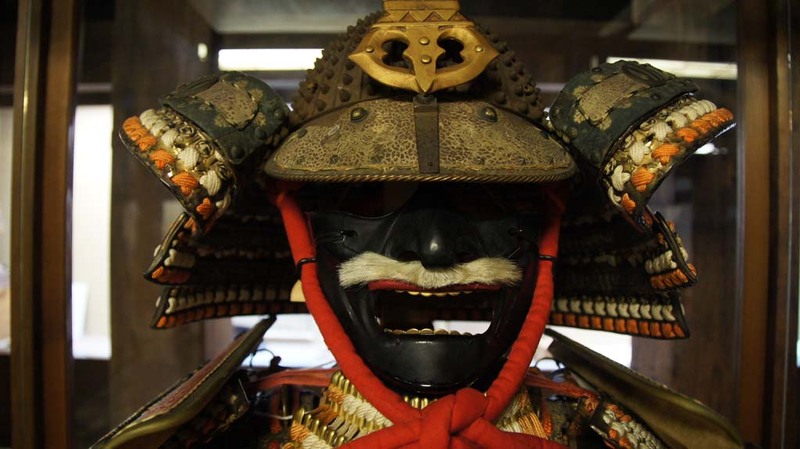 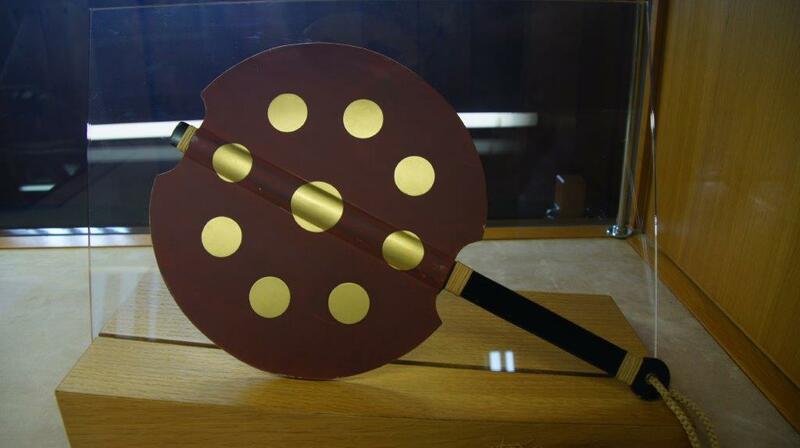 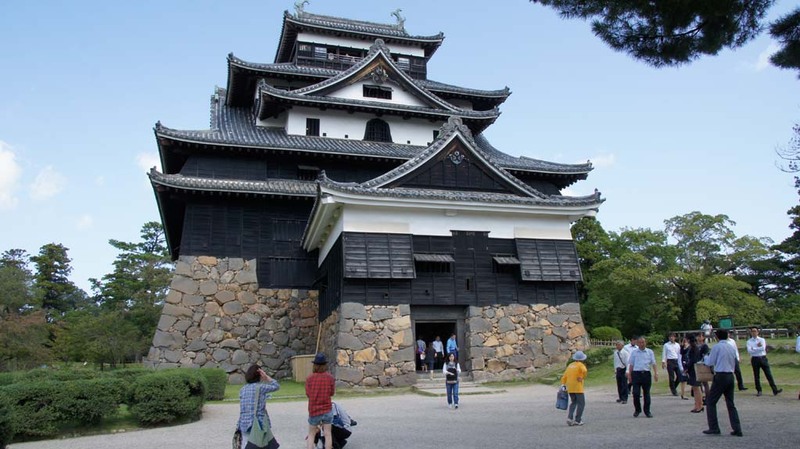 The donjon (tenshu) has been designated as national treasure. 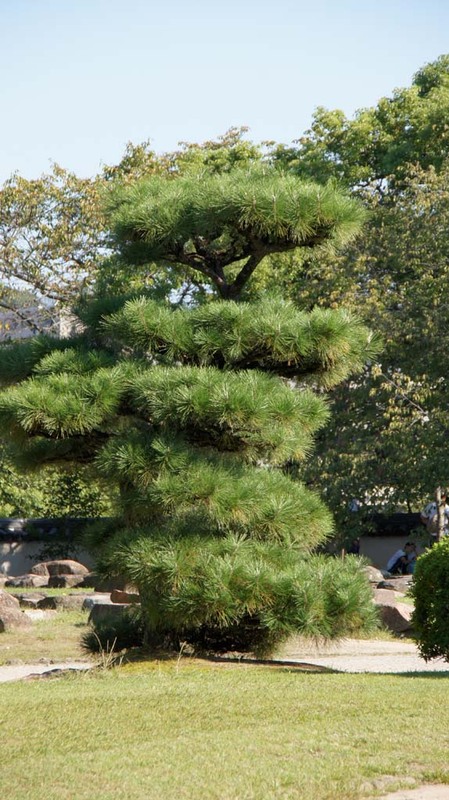 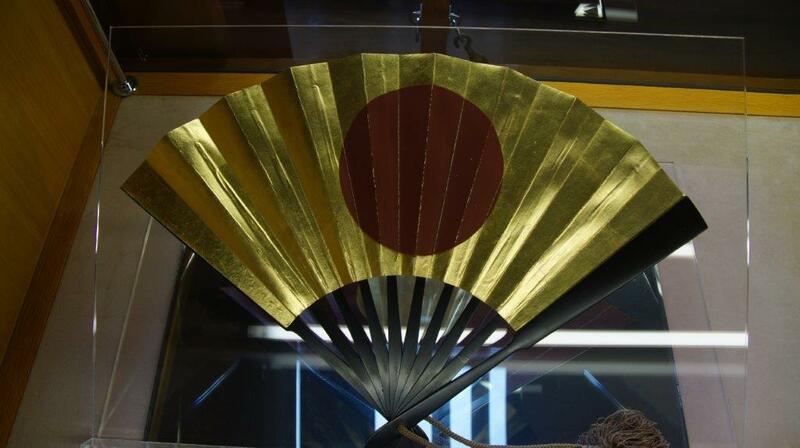 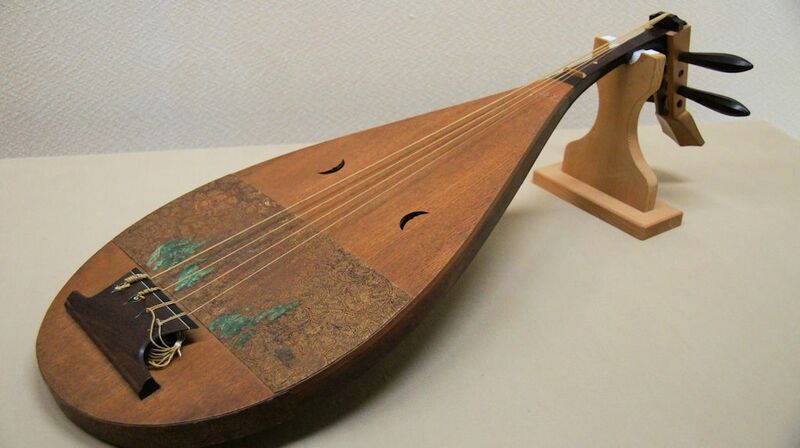 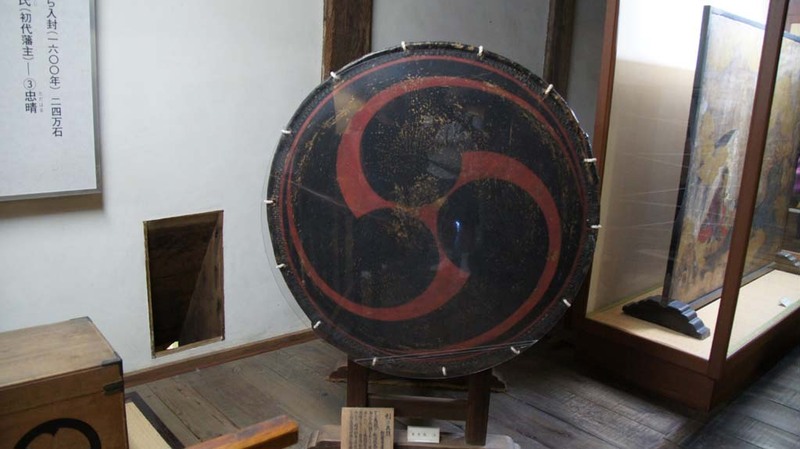 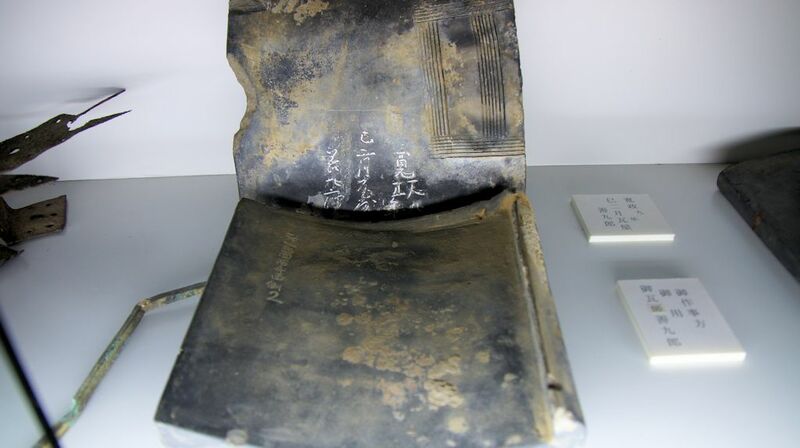 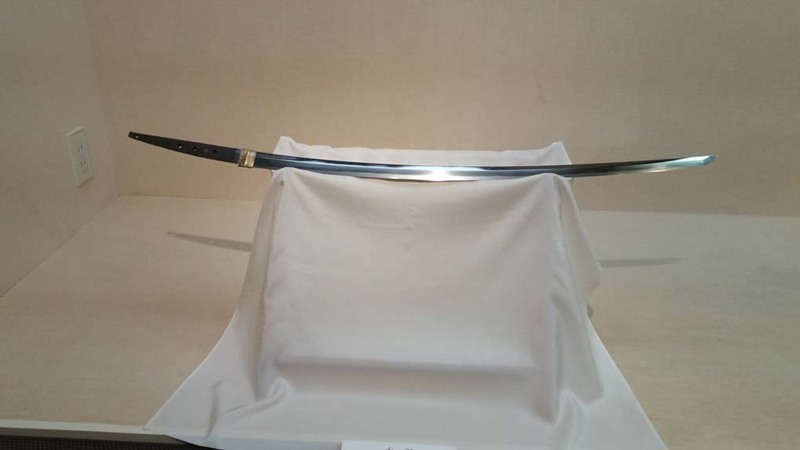 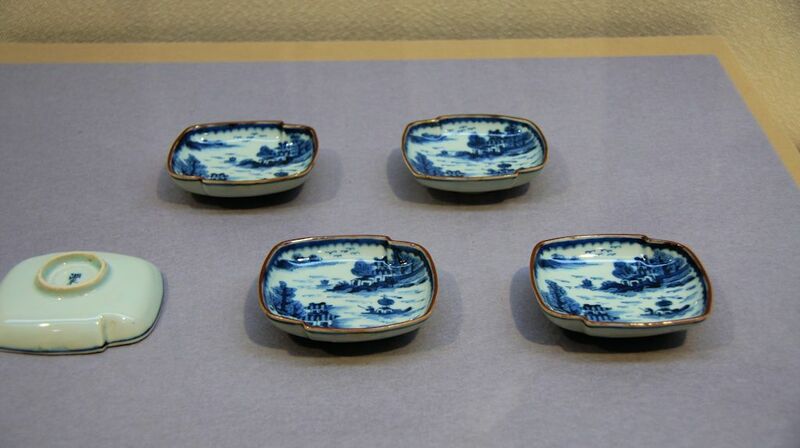 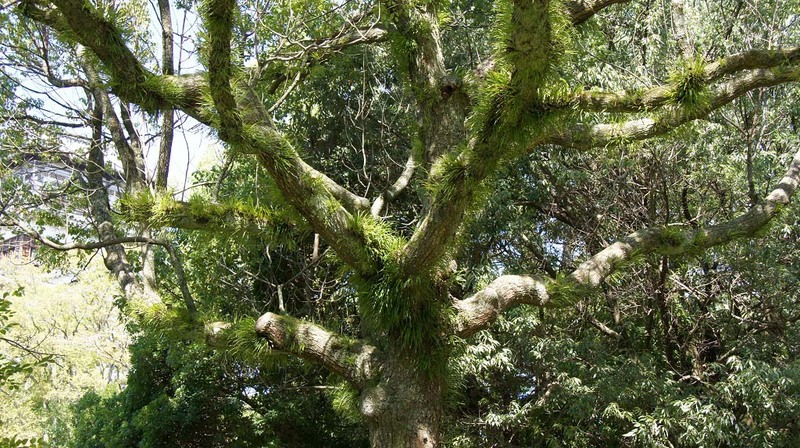 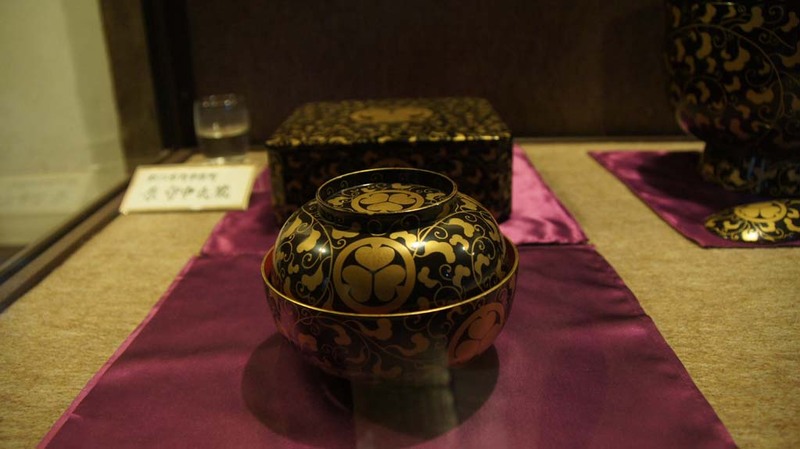 However, it was seized by the Japanese government as part of the Meiji Restoration. 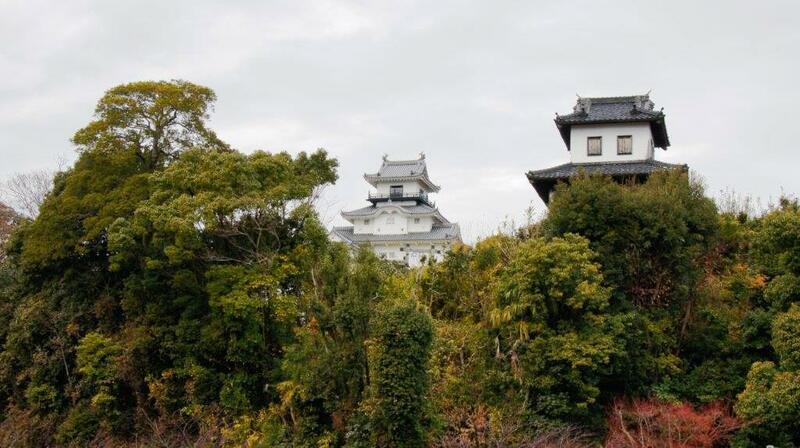 In 1891, the castle was damaged in the Great Nōbi Earthquake, and it was returned to the Naruse family in 1895, on the condition that they repair and maintain it. 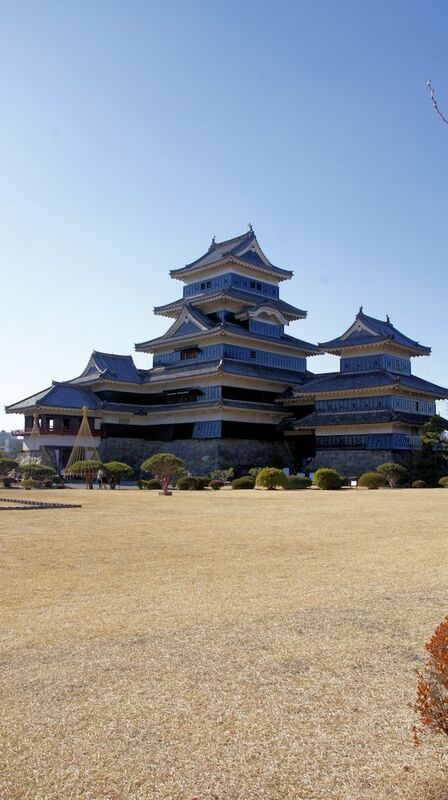 In 2004, ownership of the castle was turned over to a foundation set up by the Aichi Prefecture's Board of Education. 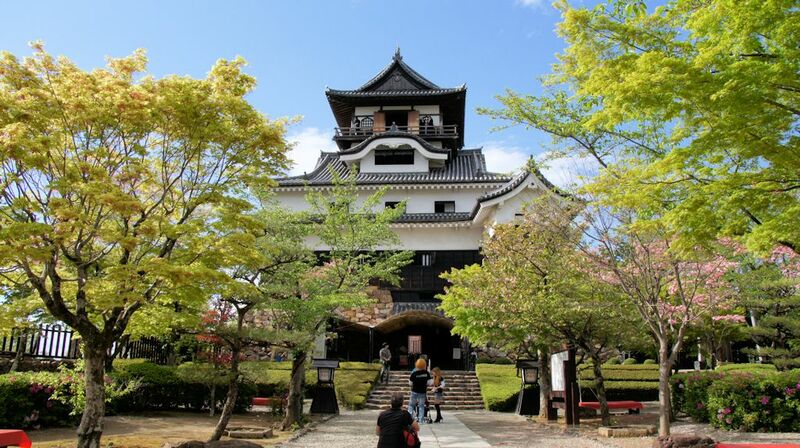 Inuyama Castle's wooden keep (donjon) exhibits displays of samurai armor, folding screens (byobu), swords, roof tiles including a large shachi, photographs of other Japanese castles and various documents from the castle's long historical past. 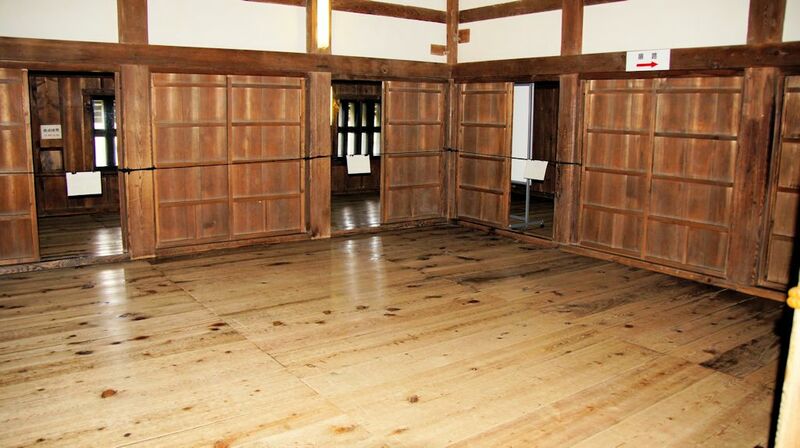 The first floor of the castle contains a storage room and a room for the lord of the castle. 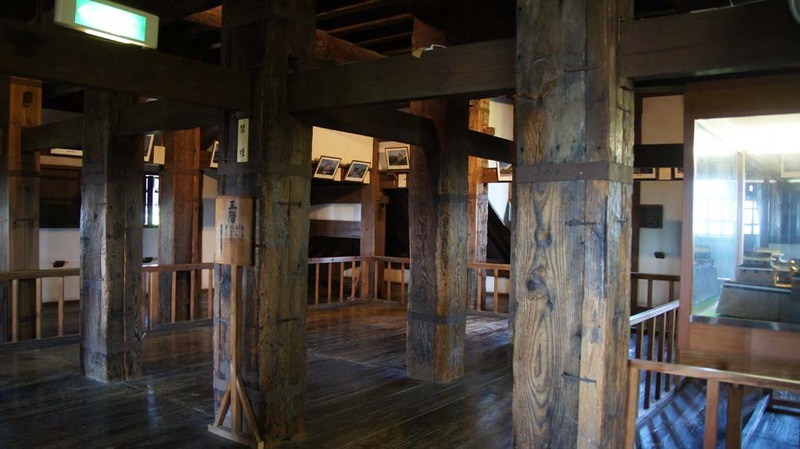 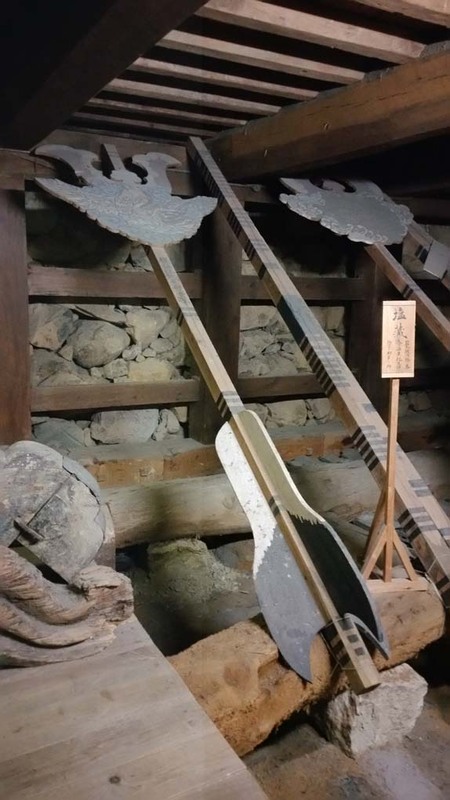 The second floor is the castle's armory and has wooden shelves for storing weapons and a 3.6m wide corridor surrounding the room which is known as musha-bashiri (warriors running). 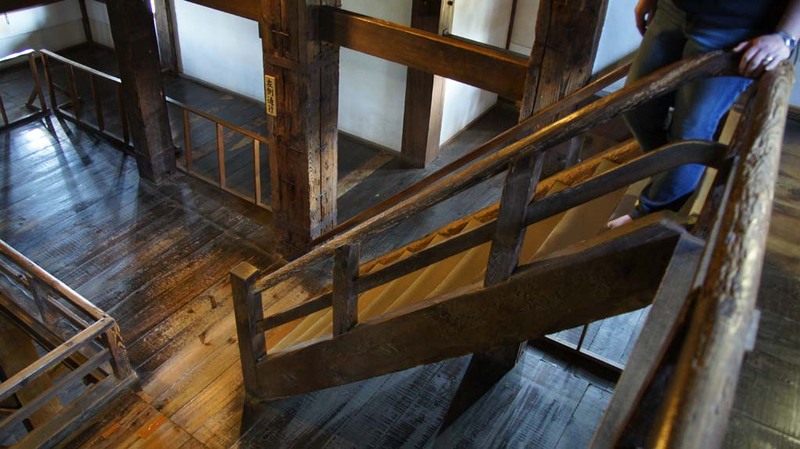 The third floor is divided into two rooms known as Hafu-no-ma and Kara-hafu. 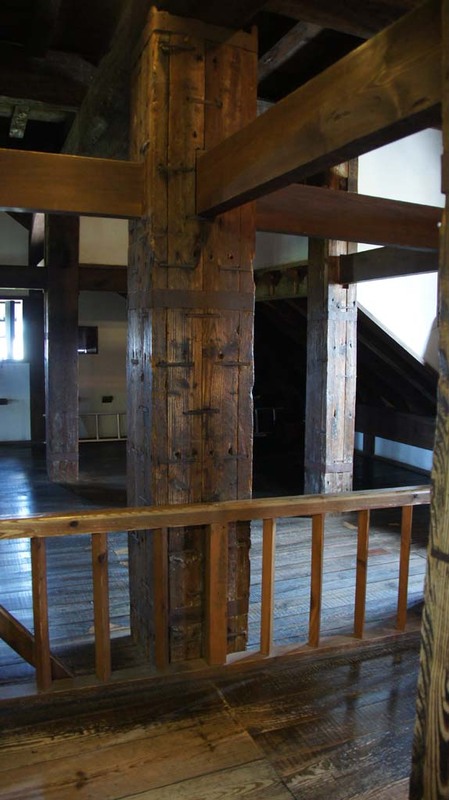 The fourth and final floor is surrounded by a viewing balcony. 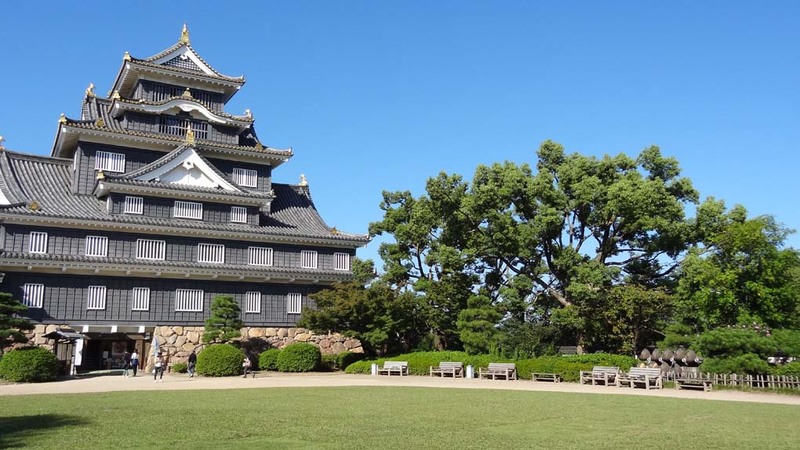 Matsue Castle (Matsue-jo) was built by the daimyo Horio Yoshiharu, who governed the region of the present Shimane Prefecture, over a period of five years starting 1607. 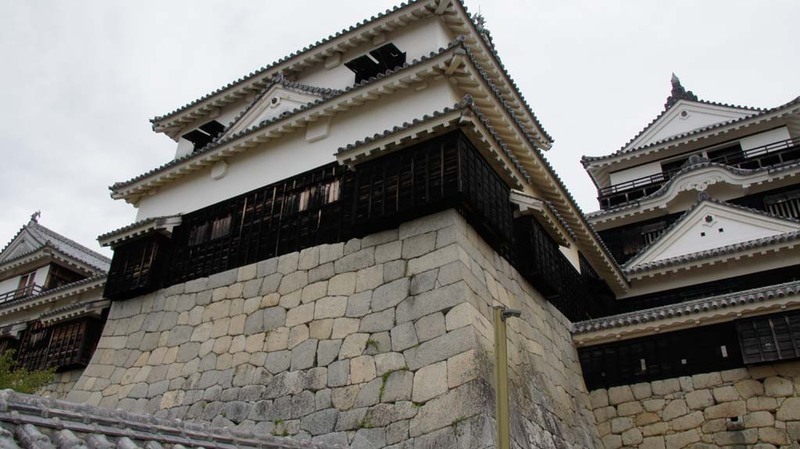 All the buildings which functioned as a castle were demolished except for the donjon and the stone wall when political power passed from the Edo shogunate to the Meiji government. The donjon, which is designated one of Japan's Important Cultural Properties, has five tiers and is about 30 m tall. 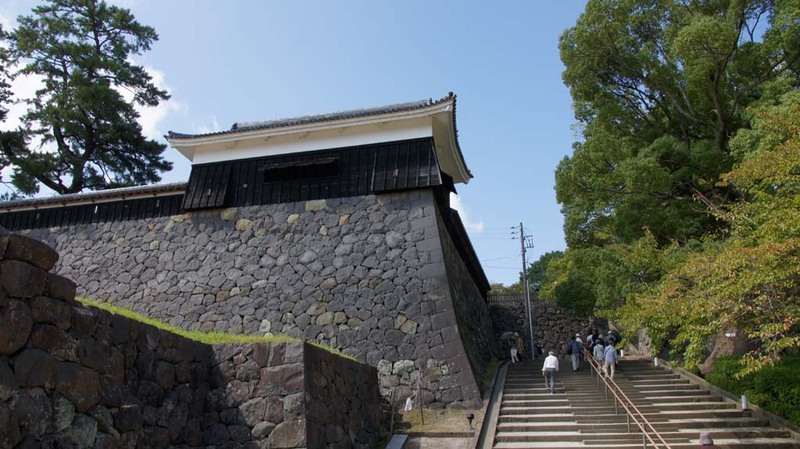 It is characterized by a structure designed for actual warfare with a well for underground siege, and the top floor is an observation level. 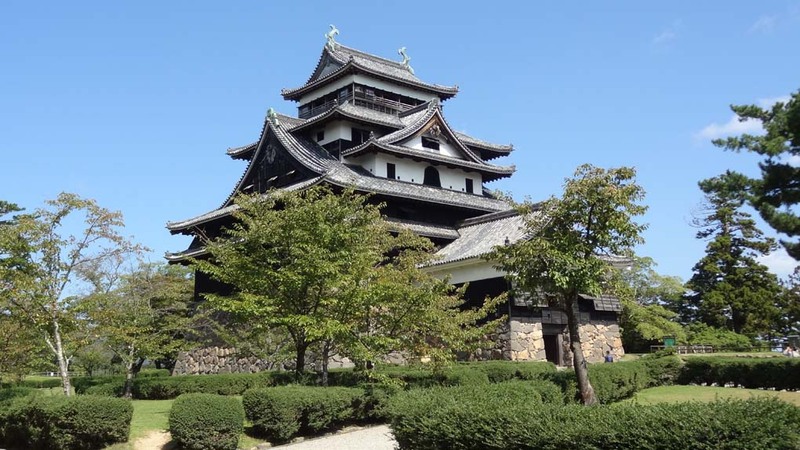 Unlike other famous castles such as the one in Himeji, Matsue Castle has an overall dark appearance, with wooden panelling covering a large part of the castle tower. 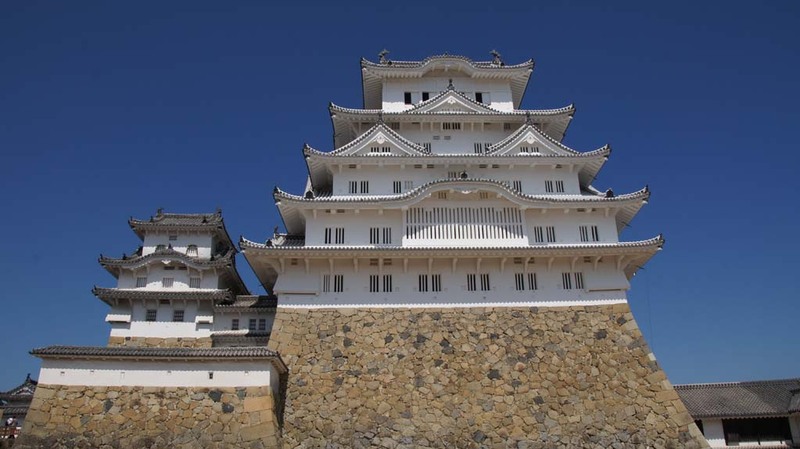 The outward appearance of the castle, with its spreading roofs, is said to resemble the spread wings of a plover, and so is also known as the Plover Castle (‘Chidori-jo’). 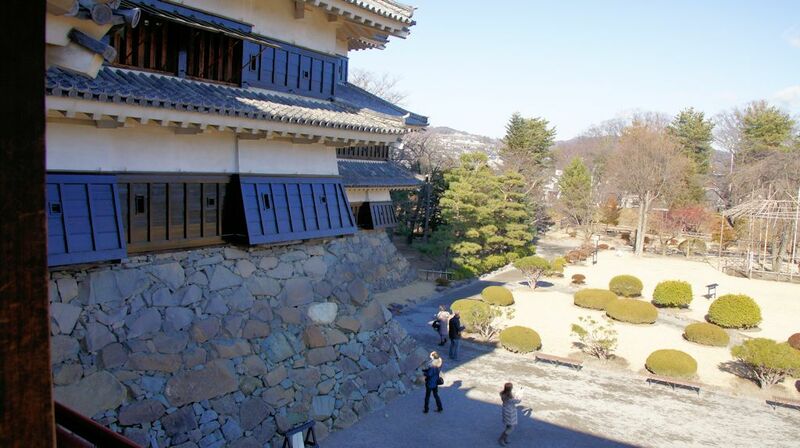 There is a museum inside, and the top floor offers a panoramic view of the castle grounds and the city. 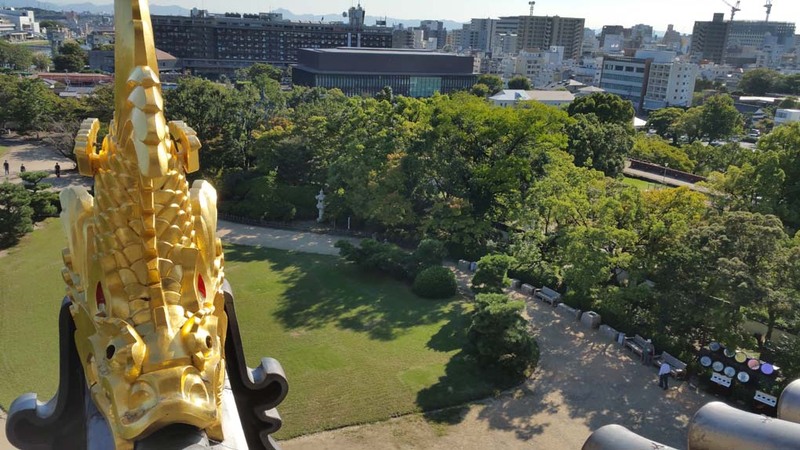 For 230 years, until the Meiji Restoration of 1868, the castle was home to the Matsudaira clan, a junior branch of the ruling Tokugawa family. 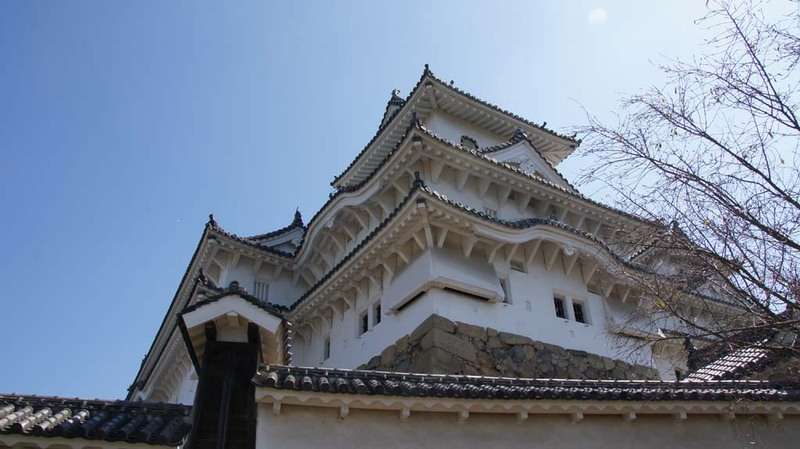 The castle underwent reconstruction and repair work in the 1950s. 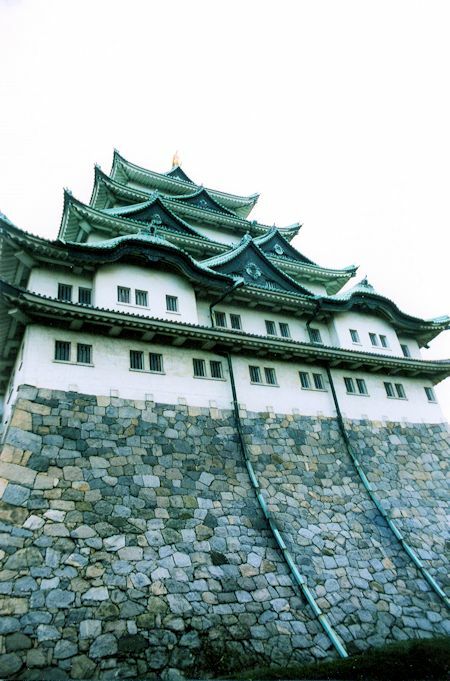 Further restorations were completed on three turrets on the castle walls in 2001. 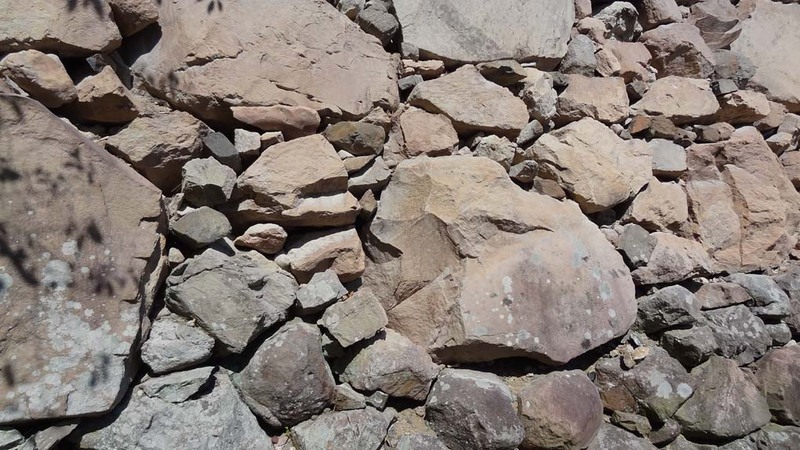 The castle’s overall construction was completed using stones in their natural form, with minimal shaping of the stones where needed. 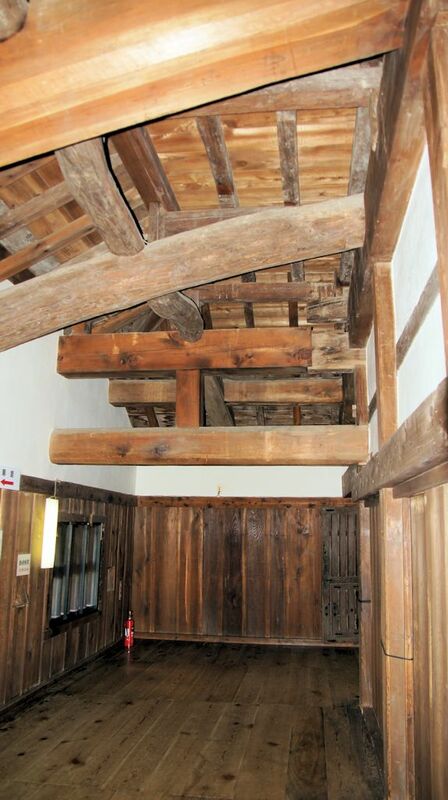 The interior of the castle features pine and paulownia wood. 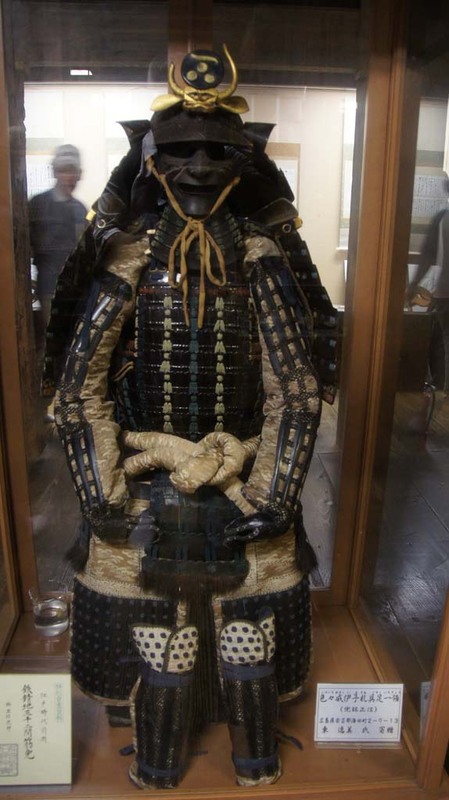 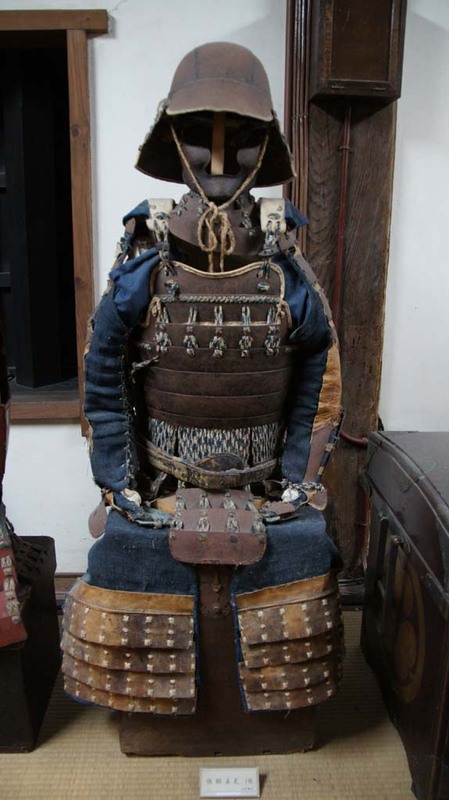 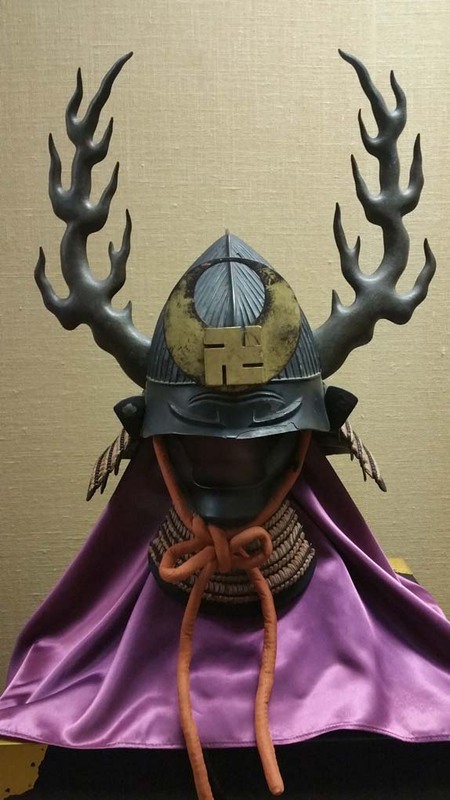 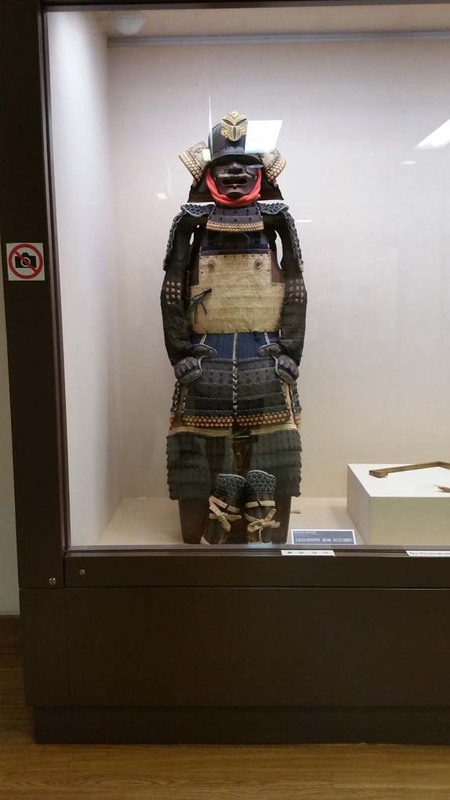 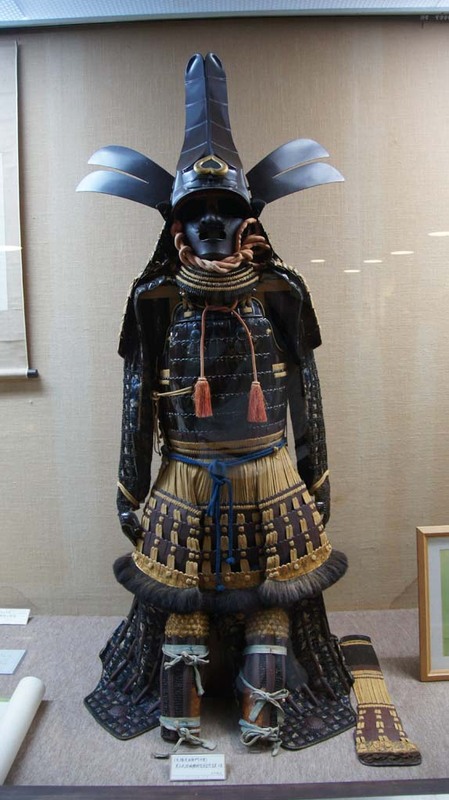 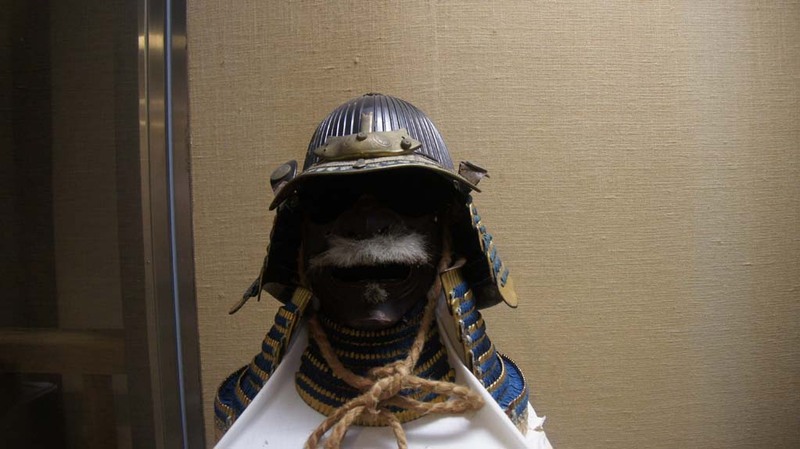 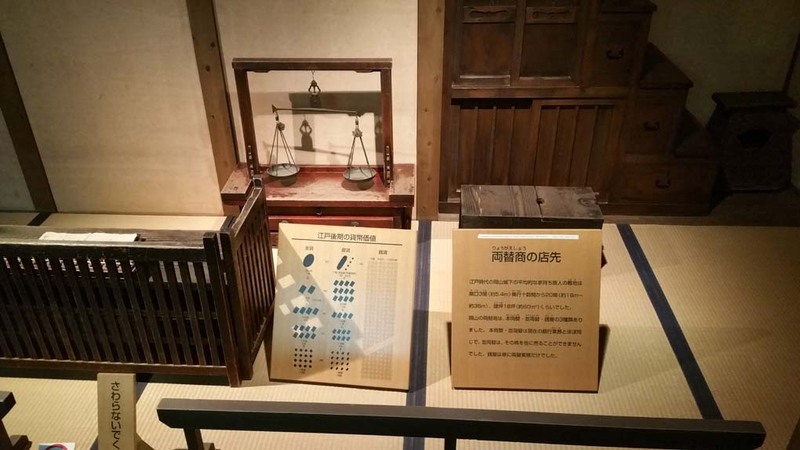 Inside the castle, there is a large collection of armor and battle helmets, along with a pictorial display of the castle's history, photos of all the castles throughout Japan, and miniature replicas of the layout of Matsue as it has changed over time. 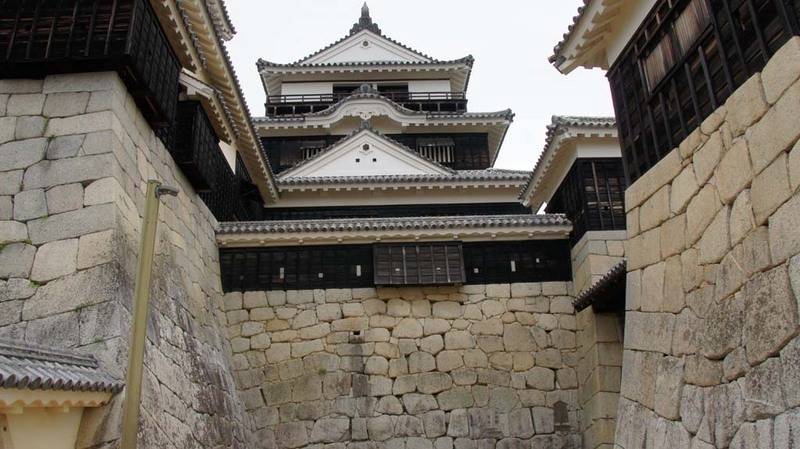 The black-painted wood of the castle's keep gives a menacing effect to the six-story tower. 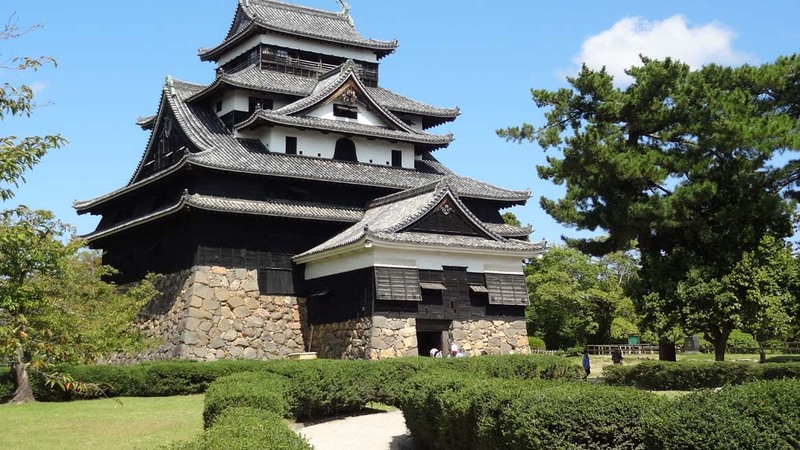 Matsue Castle has the second largest donjon (keep) of all the twelve remaining original Japanese castles, is the third tallest at 30m and the sixth oldest. 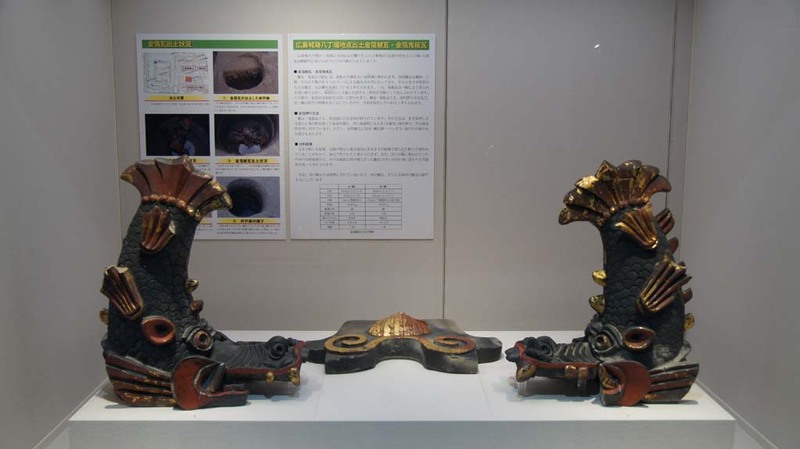 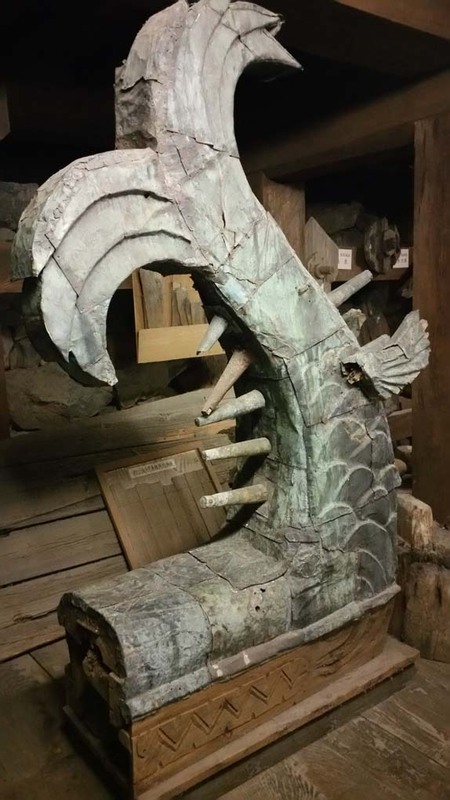 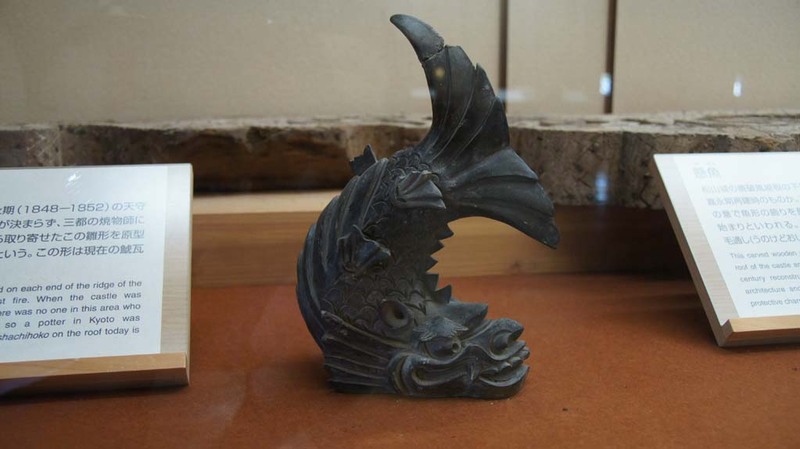 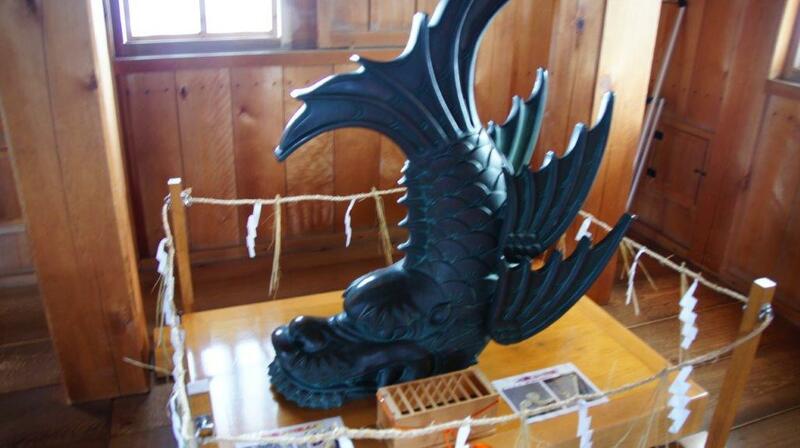 Inside are displays of arms and armor and the original shachi (mythical dolphins) of the castle's roof. 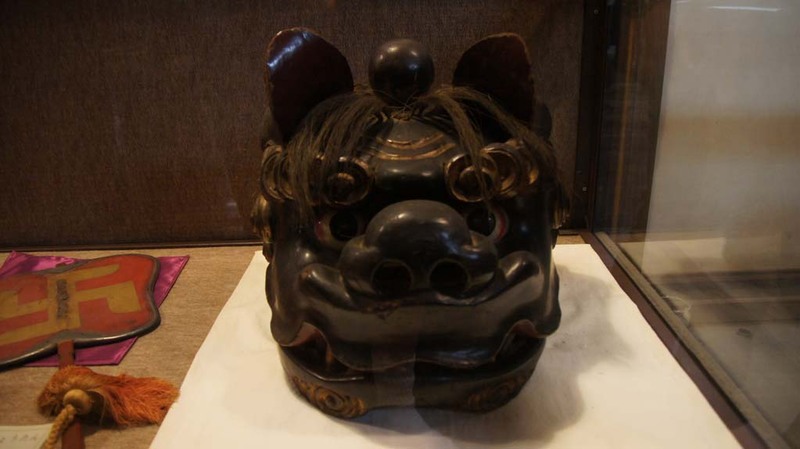 Shachi were believed to protect a castle from fire. 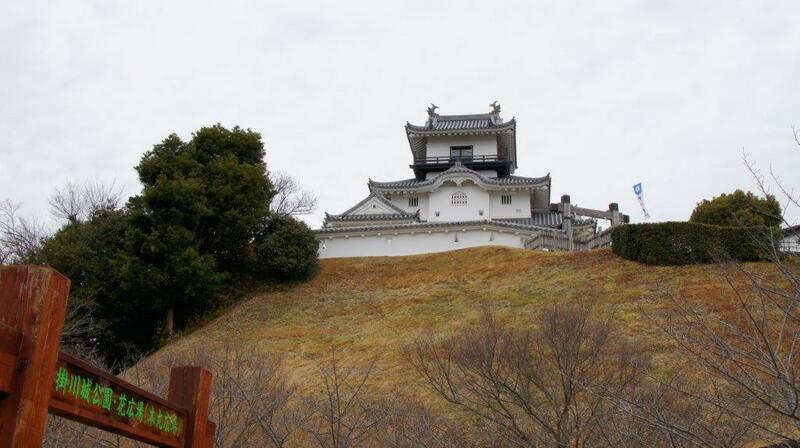 The original castle was built here in 1603 by Kato Yoshiakira. 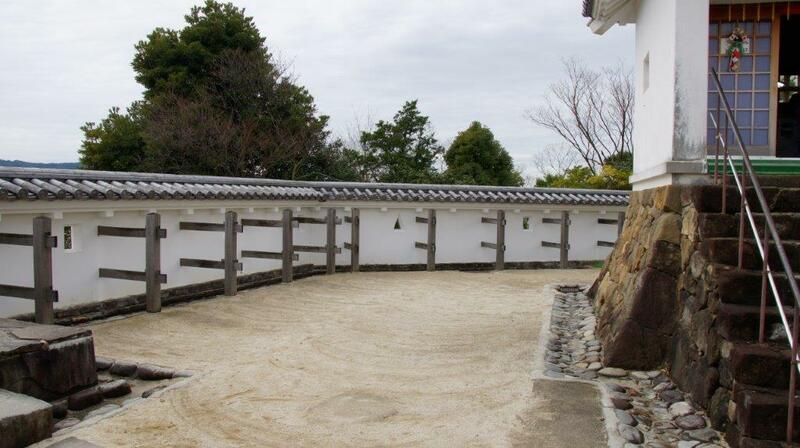 It had a large 5 storey tenshu that was actually moved to Aizu when Kato was transferred there in 1627. 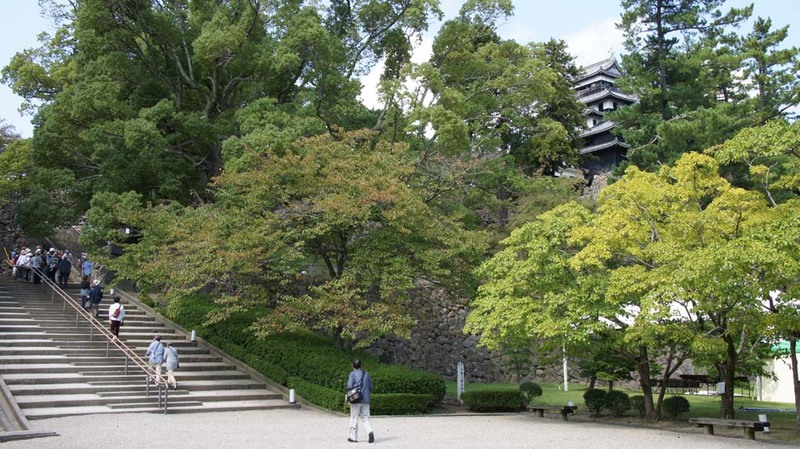 Tadachika Gamoh became the new lord of Matsuyama castle and completed construction of the Ninomaru before he died in 1635, leaving no heirs. 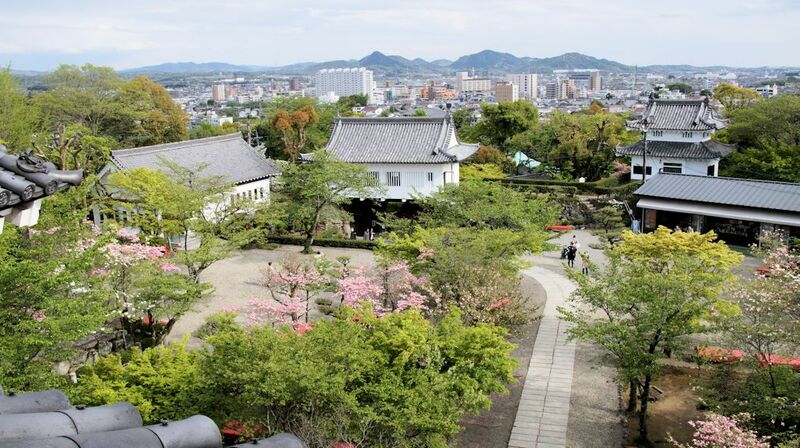 In 1635, Matsudaira Sadayuki moved into Matsuyama Castle and the Matsudaira family ruled over the area the end of feudalism. 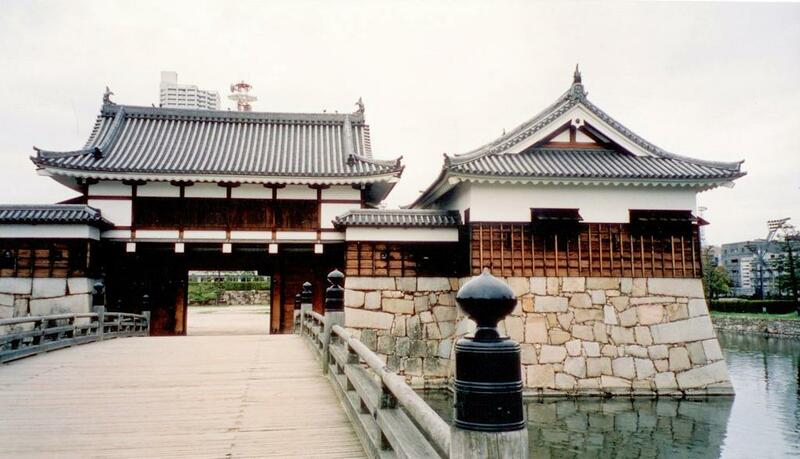 Sadayuki rebuilt the main keep with three stories in 1642. 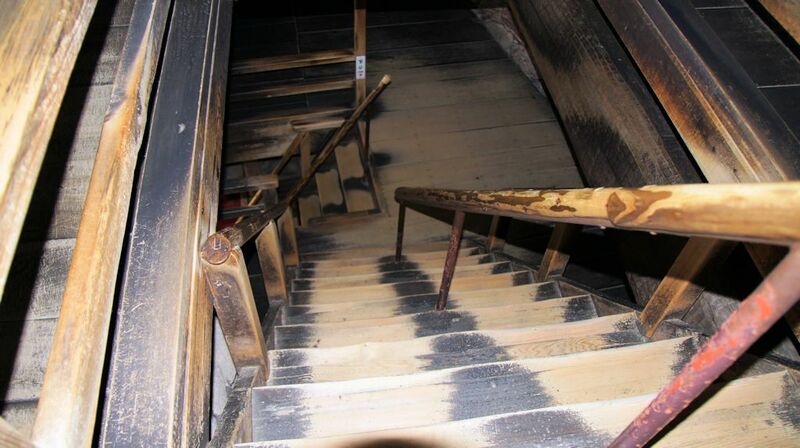 This main keep was struck by lightning and burned down on New Year's day in 1784. 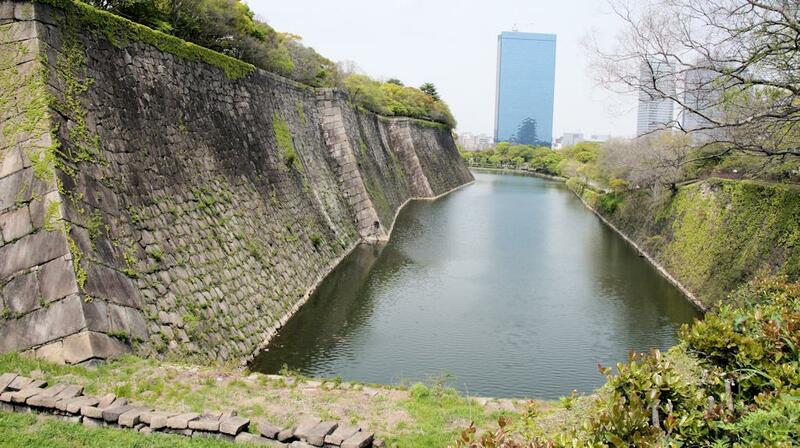 The construction of the current main keep was not begun until 1820 and not completed until 1854. 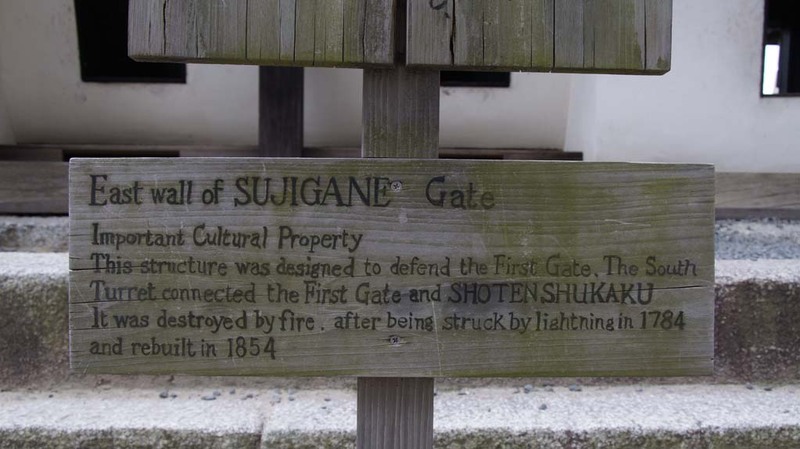 From 1926 on, many of the yagura, gates and other structures were destroyed by arson and bombings in WWII. 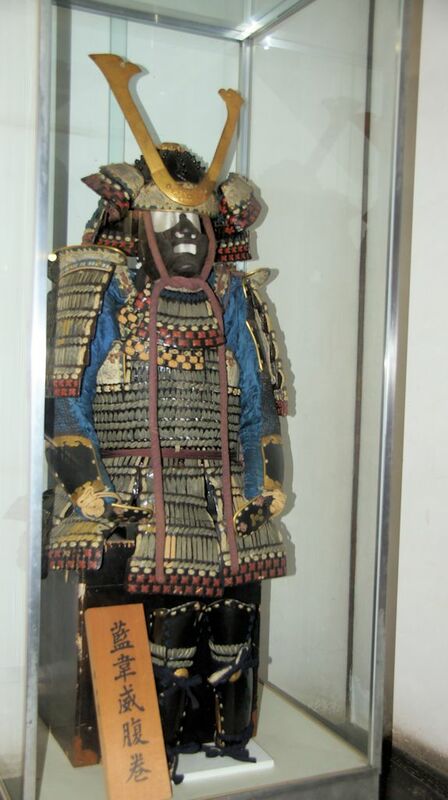 As a relative of the Tokugawa shogun, Matsudaira Sadaaki naturally fought for the Tokugawa in several battles at the Meiji Restoration. 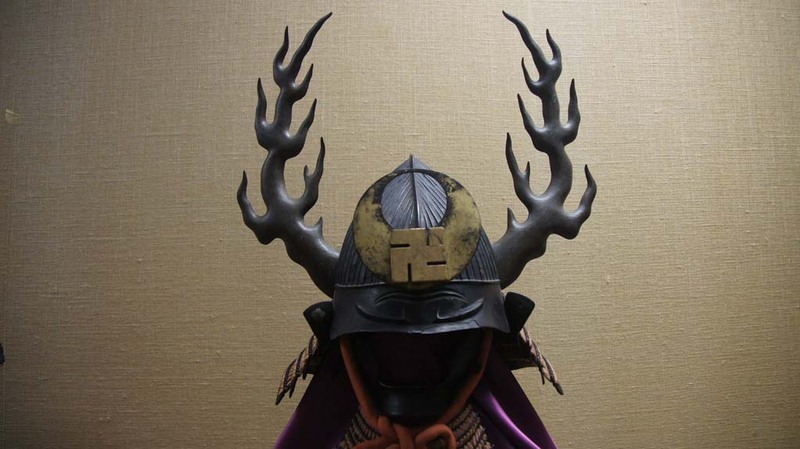 Once the emperor regained political power, Sadaaki was a wanted man and considered an enemy of the emperor. 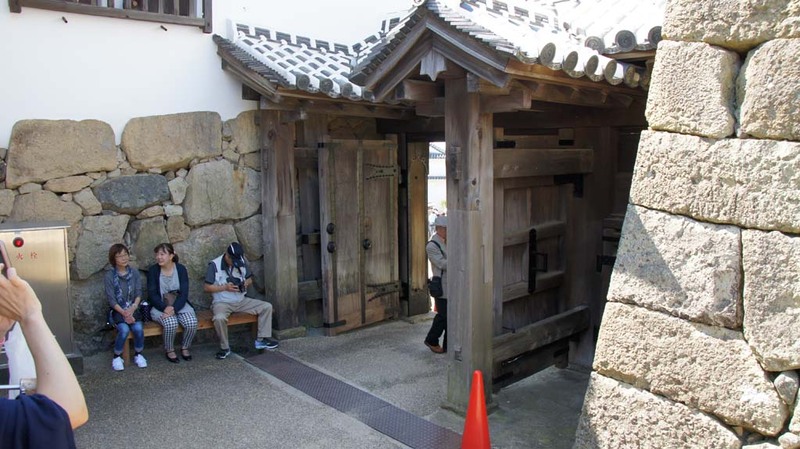 In order to avoid attack, he decided to submit and allow Tosa soldiers into the castle while he sought penance and refuge in Joshinji temple in Matsuyama. 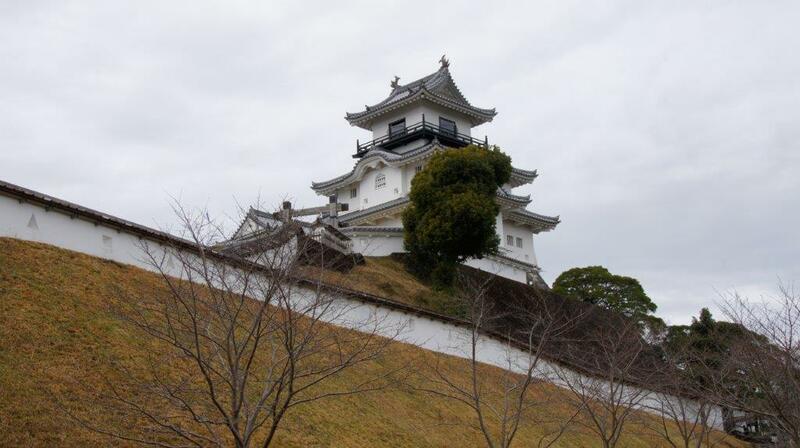 His sincerity was accepted and thus Sadaaki and Matsuyama Castle were saved from attack. 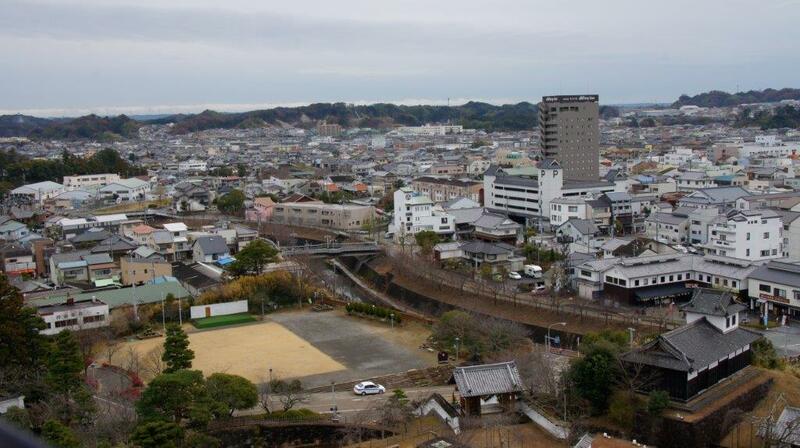 The Matsudaira family eventually gave the castle to the city of Matsuyama in 1923. 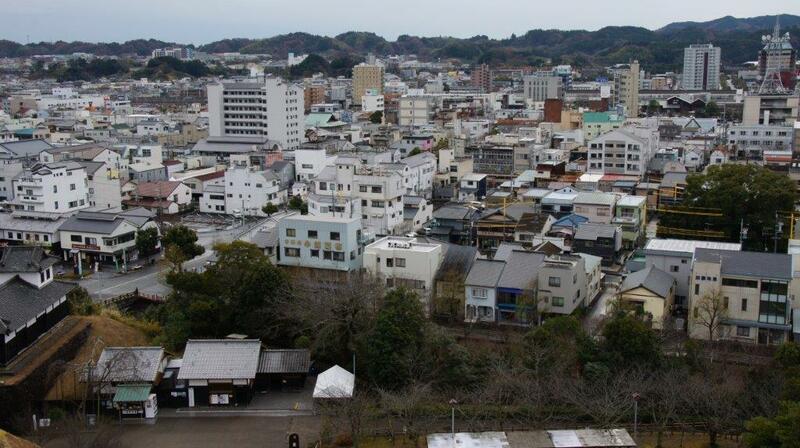 The city has been working since 1966 to repair the original structures and rebuild those that were destroyed. 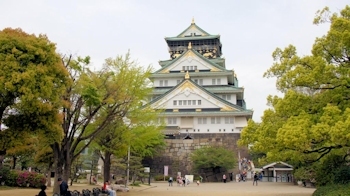 Osaka Castle is one of Japan's most famous and it played a major role in the unification of Japan during the sixteenth century of the Azuchi-Momoyama period. 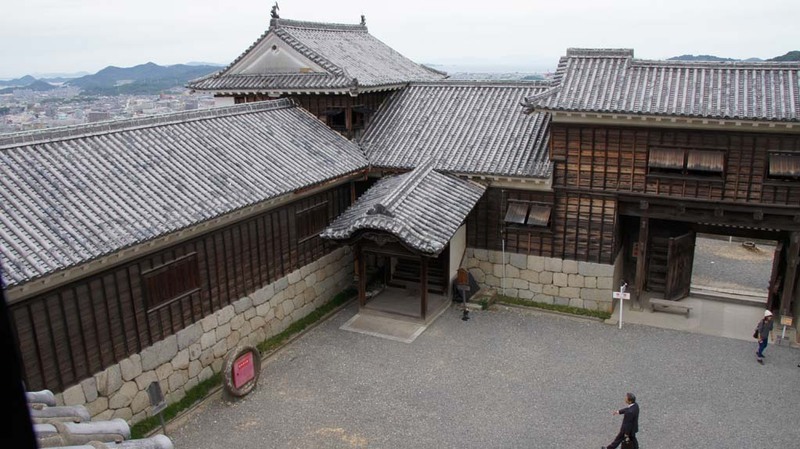 In the autumn of 1496 a priest from the Jodo-shinshu Buddhist sect built monk's quarters near the site of the present day Castle. 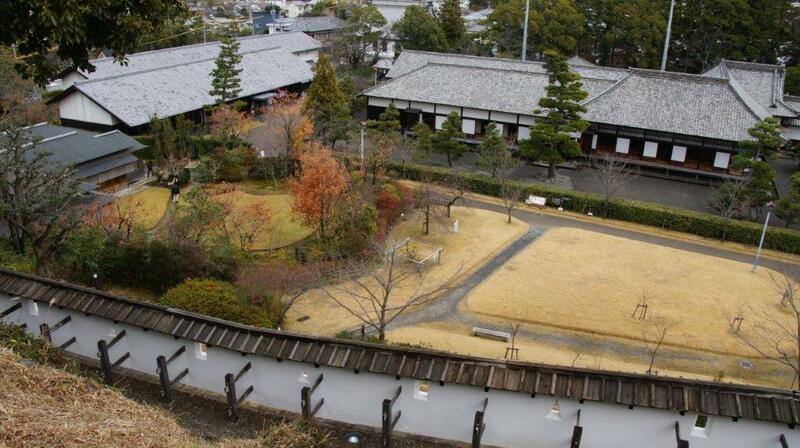 These quarters grew into a large temple called Osaka Hongan-ji. 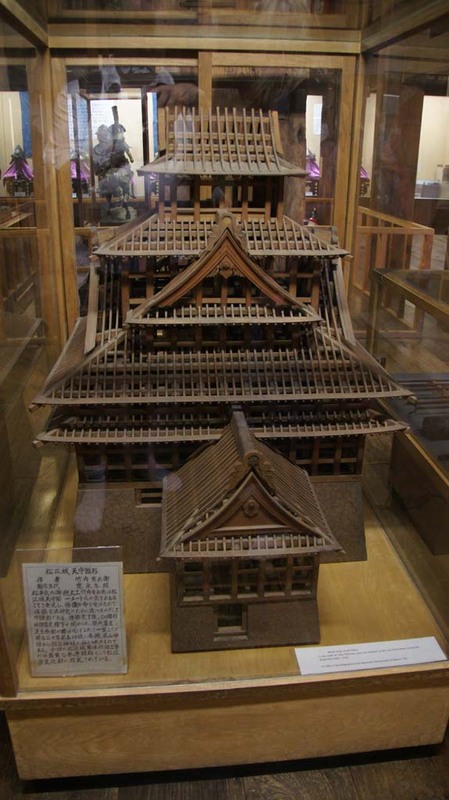 In 1580 the temple fell to Nobunaga Oda, a rising war lord. 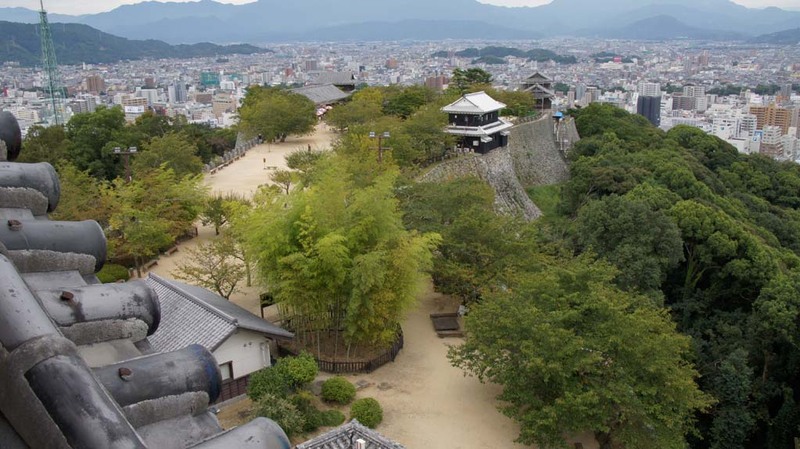 Only 2 years later Nobunaga Oda committed suicide after losing a battle, and in 1583 Hideyoshi Toyotomi took control and began building, with the assistance of some 60,000 labourers, the present day castle on the site of Osaka Honganji. 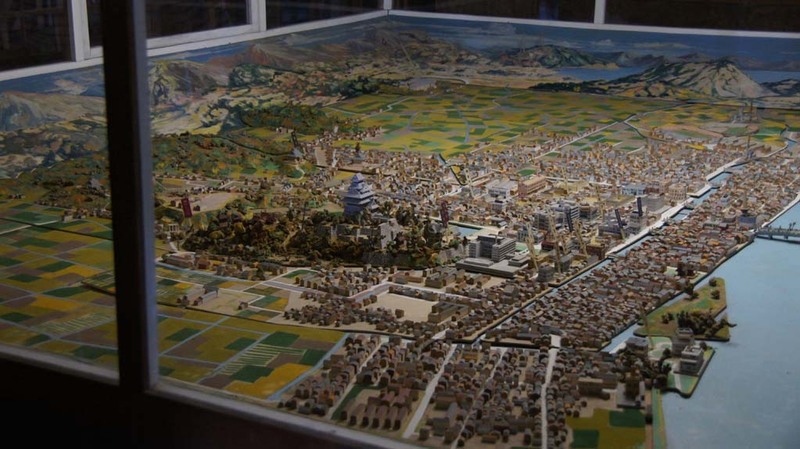 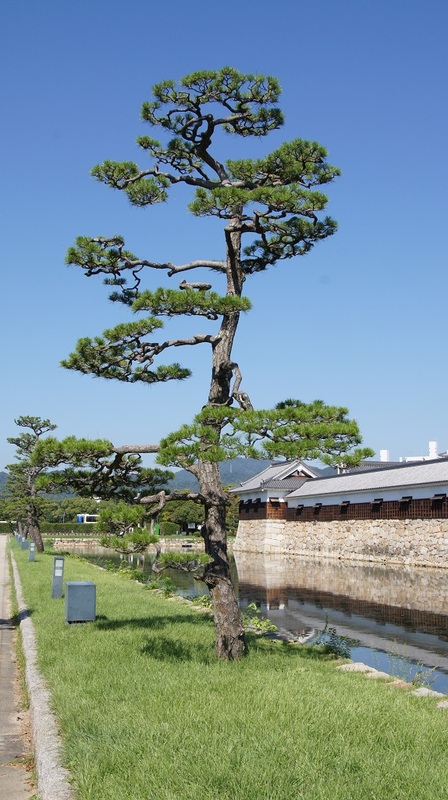 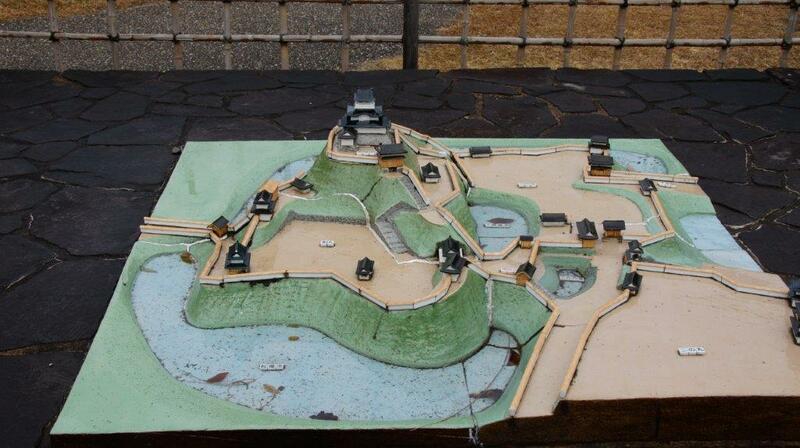 The basic plan was modeled after Azuchi Castle, the headquarters of Oda Nobunaga. 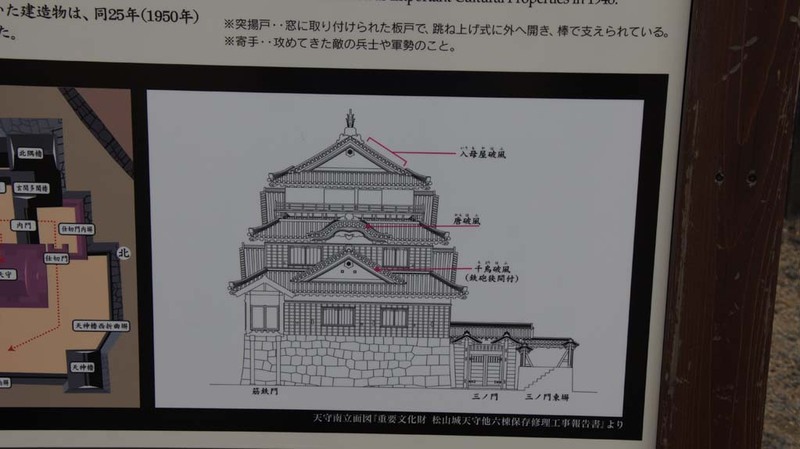 Toyotomi wanted to build a castle that mirrored Oda's, but surpassed it in every way: the plan featured a five-story main tower, with three extra stories underground, and gold leaf on the sides of the tower to impress visitors. 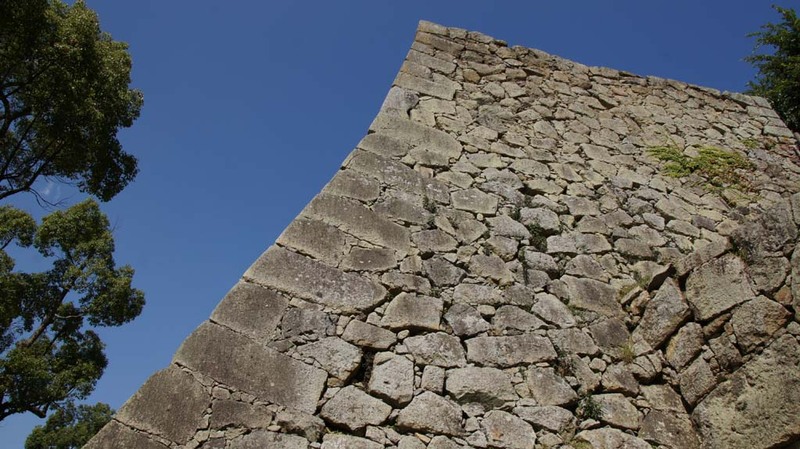 In 1585 the Inner donjon was completed. 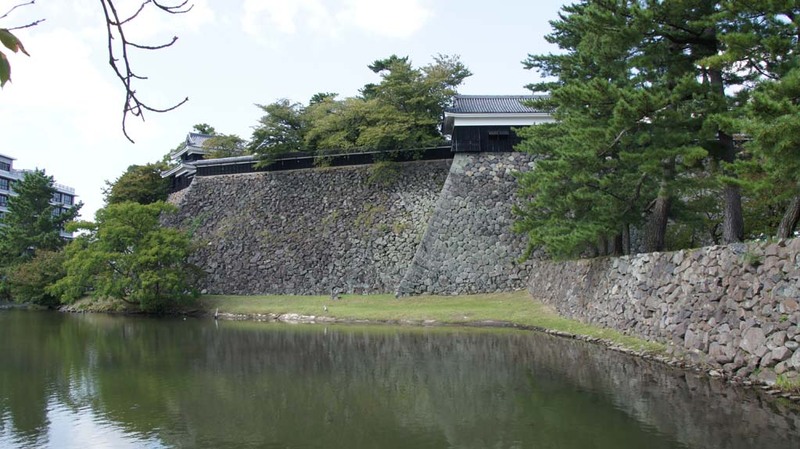 Toyotomi continued to extend and expand the castle, making it more and more formidable to attackers. 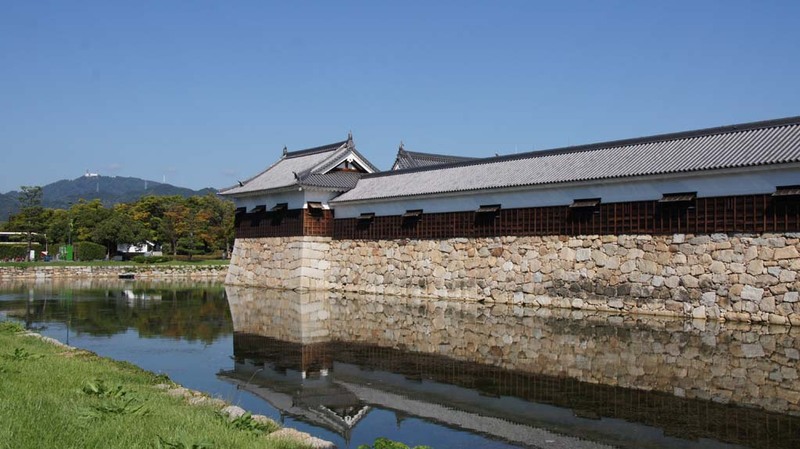 In 1597 construction was completed and Hideyoshi died. 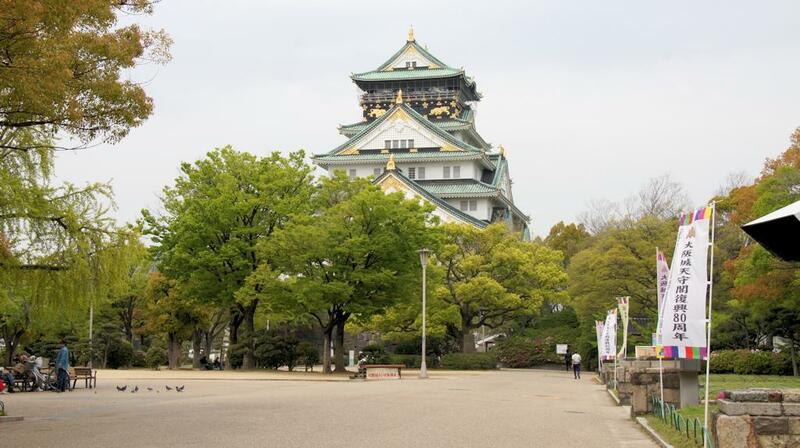 Osaka Castle passed to his son, Toyotomi Hideyori. 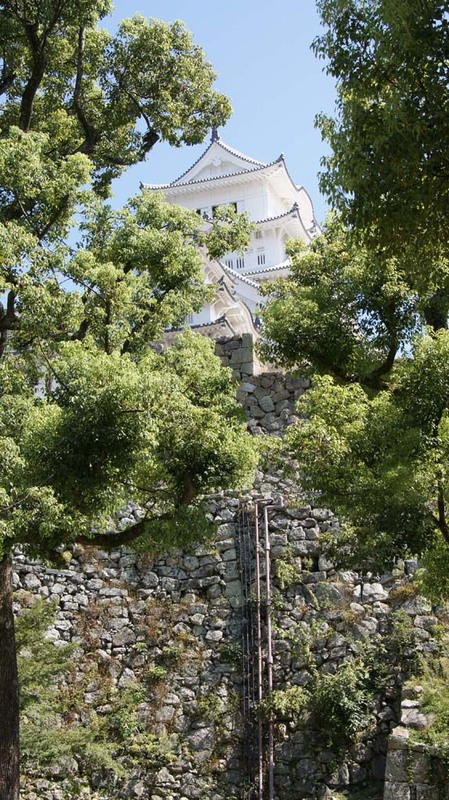 During the summer war of 1615 the castle was destroyed by fire. 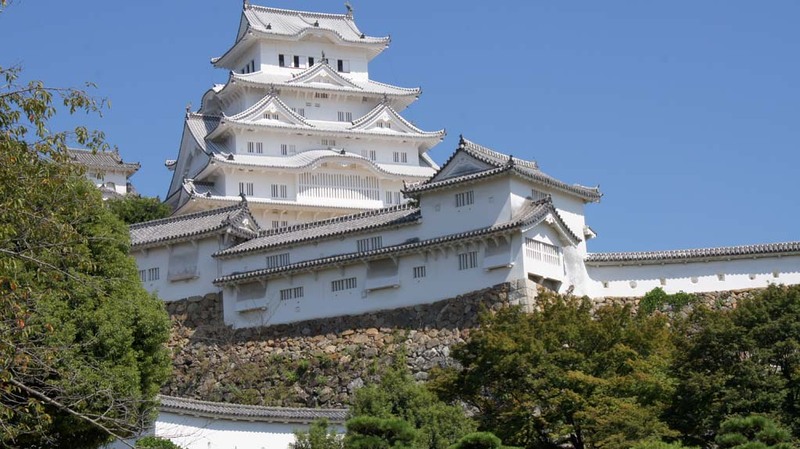 Reconstruction started in 1620, was completed in 1629, and 36 years later, in 1665, the castle was once again destroyed thanks to fire caused by a lightning strike. 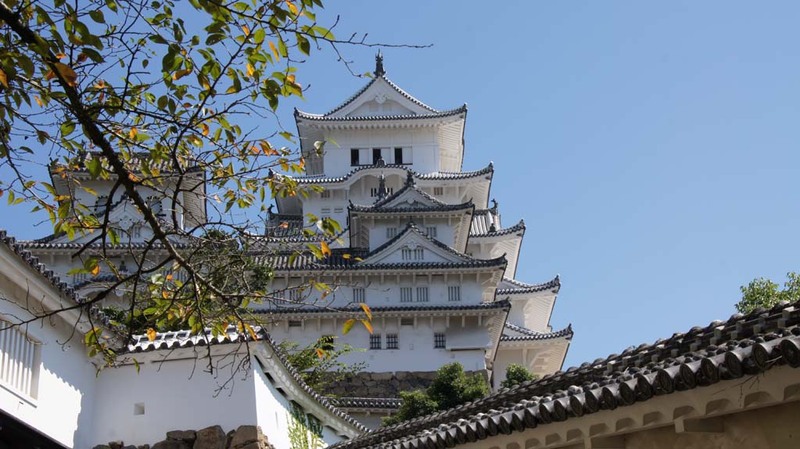 The castle was rebuilt and destroyed several times until 1931 when the main tower was rebuilt with a steel frame reinforced with concrete. 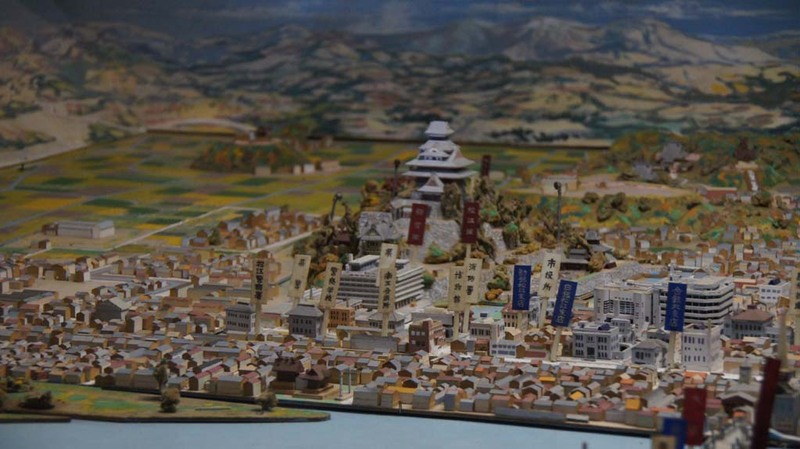 In 1620, the new heir to the shogunate, Tokugawa Hidetada, began to reconstruct and re-arm Osaka Castle. 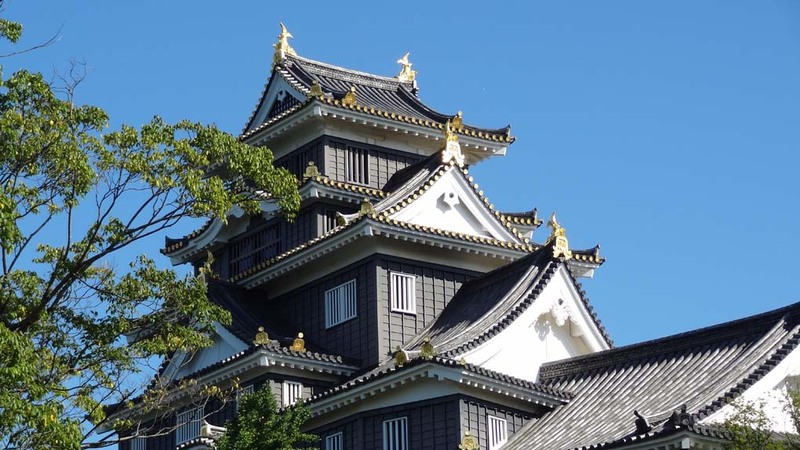 He built a new elevated main tower, five stories on the outside and eight stories on the inside, and assigned the task of constructing new walls to individual samurai clans. 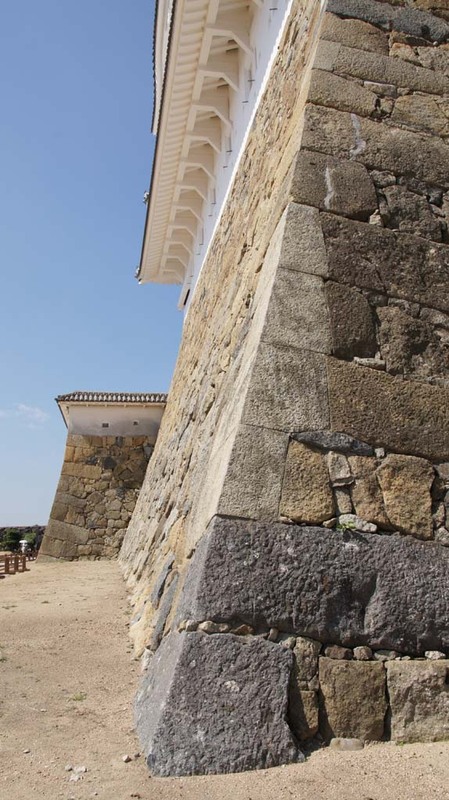 The walls built in the 1620s still stand today, and are made out of interlocked granite boulders without mortar. 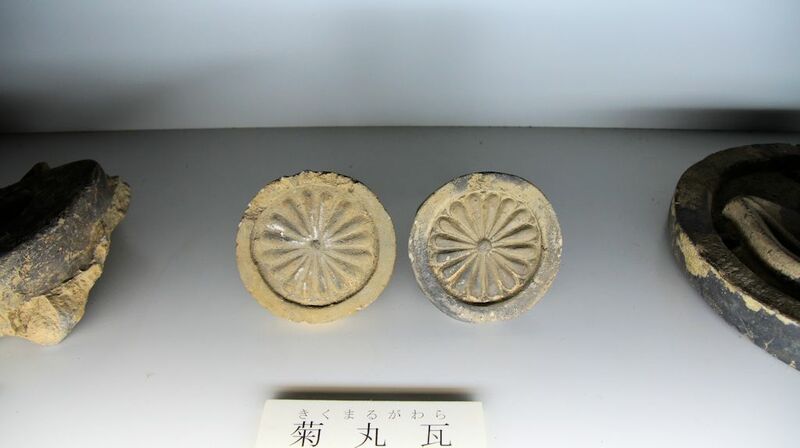 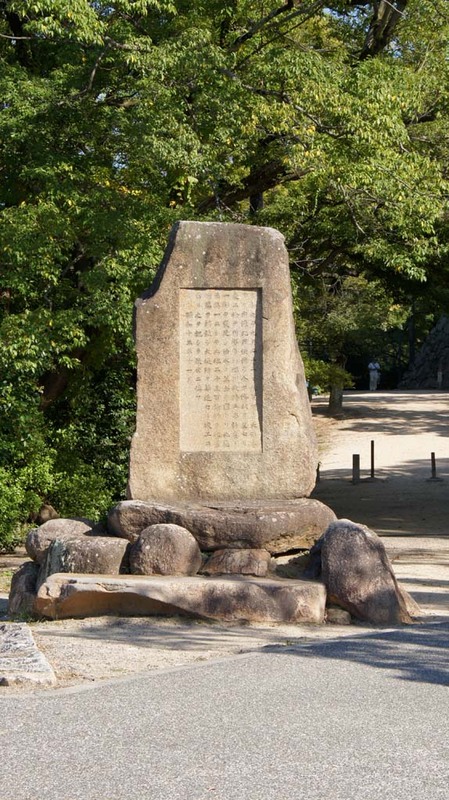 Many of the stones were brought from rock quarries near the Seto Inland Sea, and bear inscribed crests of the various families who contributed them. 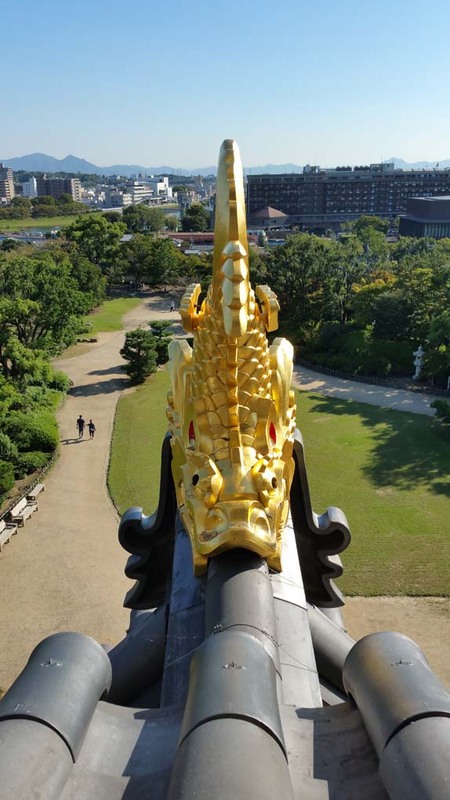 Under the Meiji government, Osaka Castle became part of the Osaka Army Arsenal (Osaka Hohei Kosho) manufacturing guns, ammunition, and explosives for Japan's rapidly expanding Western-style military. 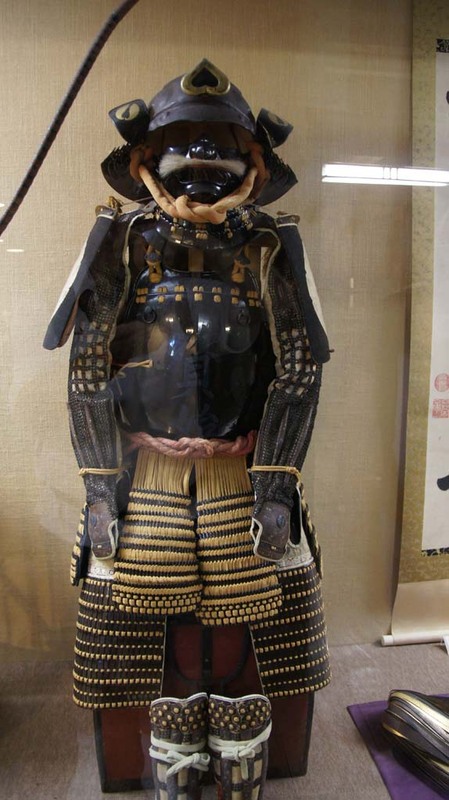 During World War II, the arsenal became one of the largest military armories, employing 60,000 workers. 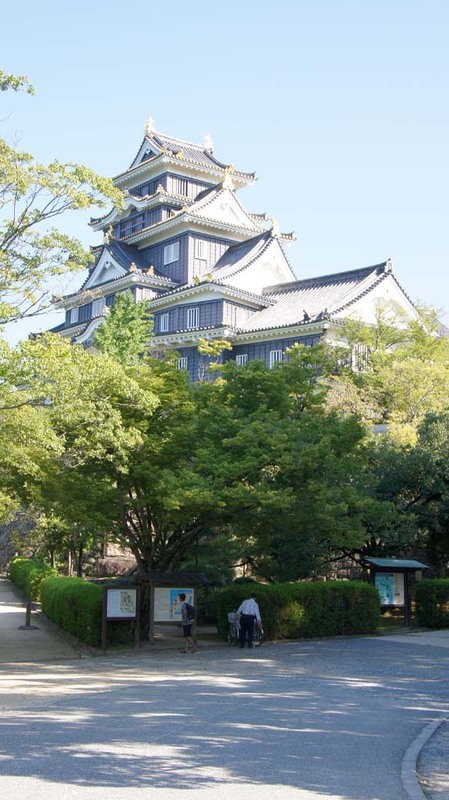 Bombing raids targeting the arsenal damaged the reconstructed main castle tower and, on August 14, 1945, destroyed 90% of the arsenal and killed 382 people working there. 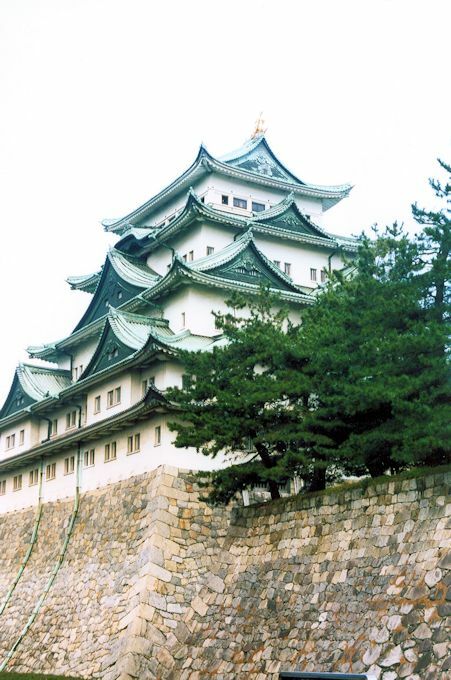 In 1995, Osaka's government approved yet another restoration project, with the intent of restoring the main tower to its Edo-era splendor. 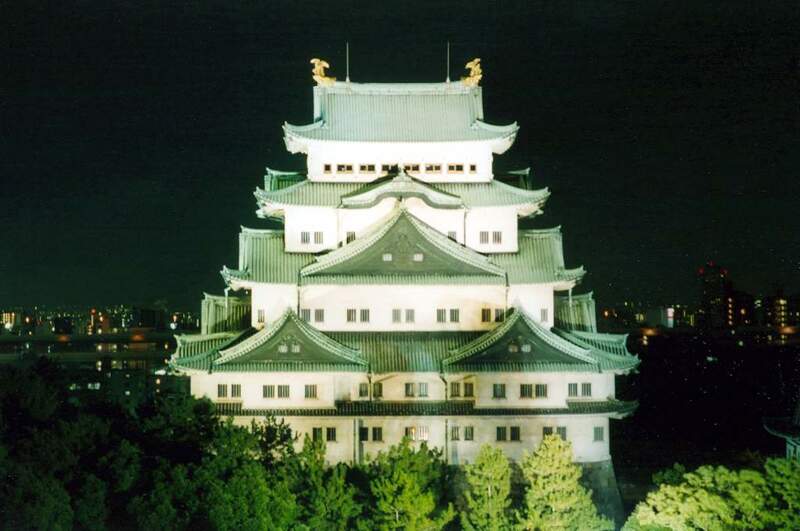 In 1997, restoration was completed. 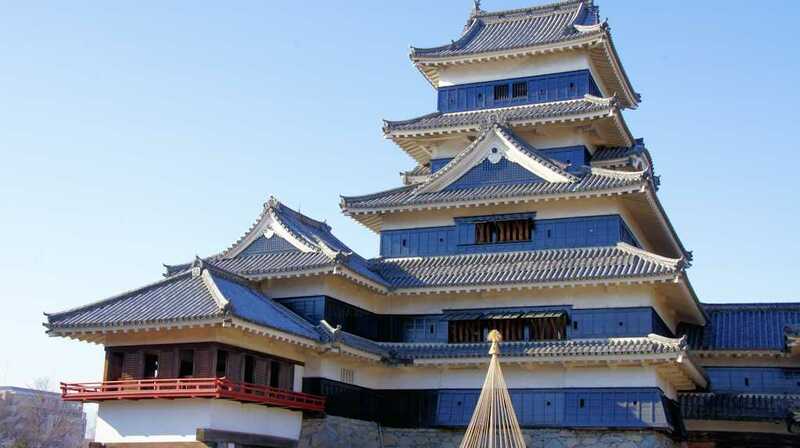 The castle is a concrete reproduction (including elevators) of the original and the interior is intended as a modern, functioning museum. 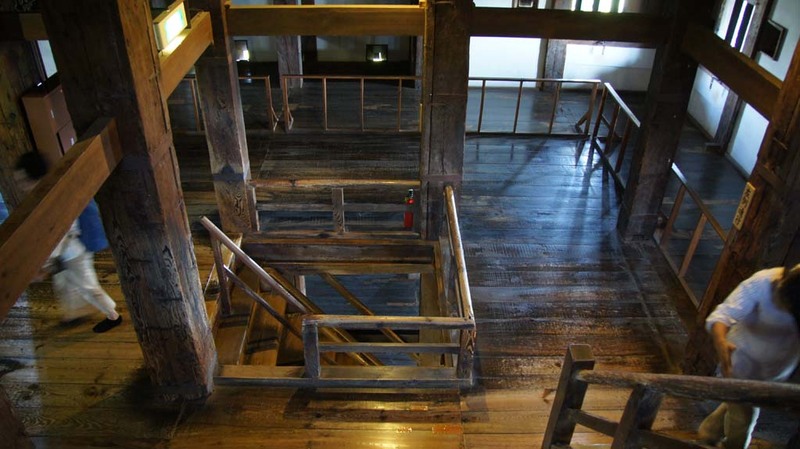 The museum is laid out across 6 floors, with the top floor being an observation deck and shop. 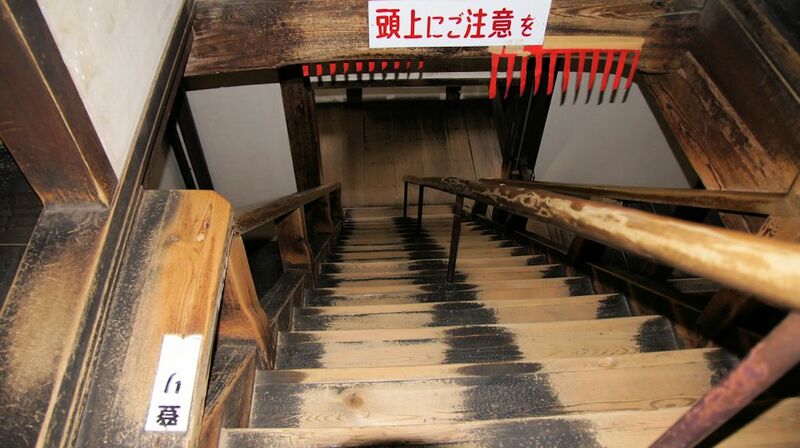 The suggested route is to start at the top and work your way down. 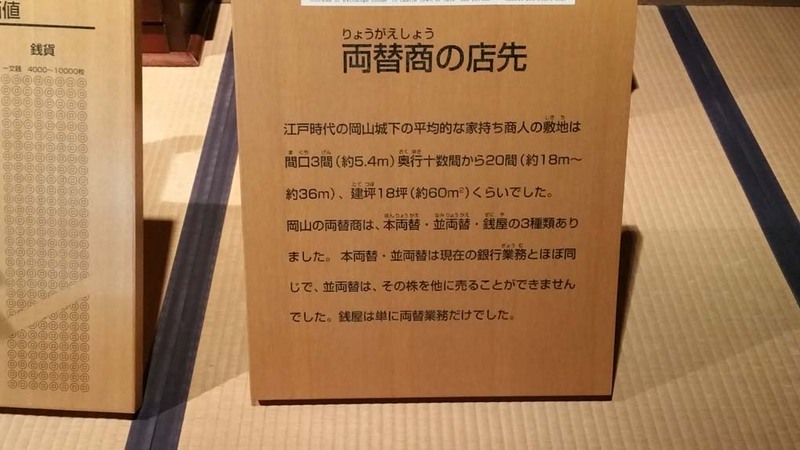 This is because the museum is laid out in reverse chronological order, i.e. 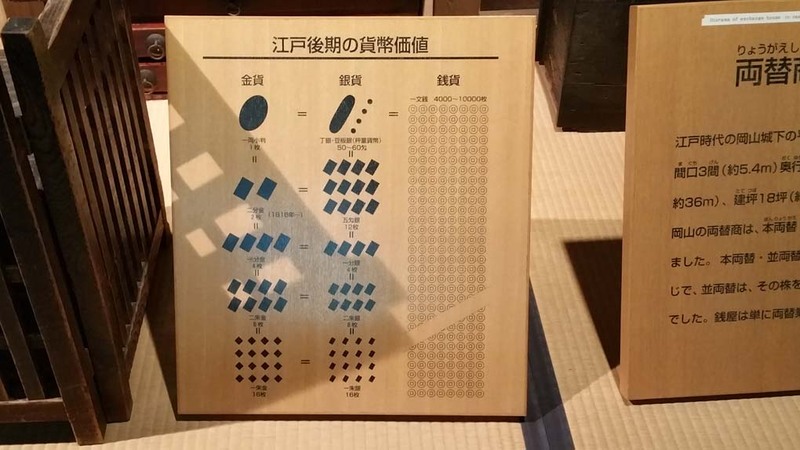 the oldest displays are at he top. 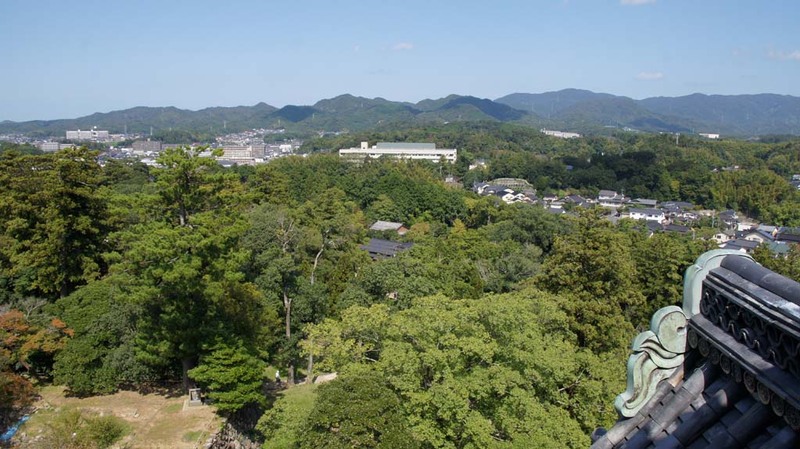 However this route requires a fair level of fitness, so we spent a few minutes enjoying the marvellous view from the observation deck wishing we'd taken the holiday route (one floor at a time starting from the bottom) instead. 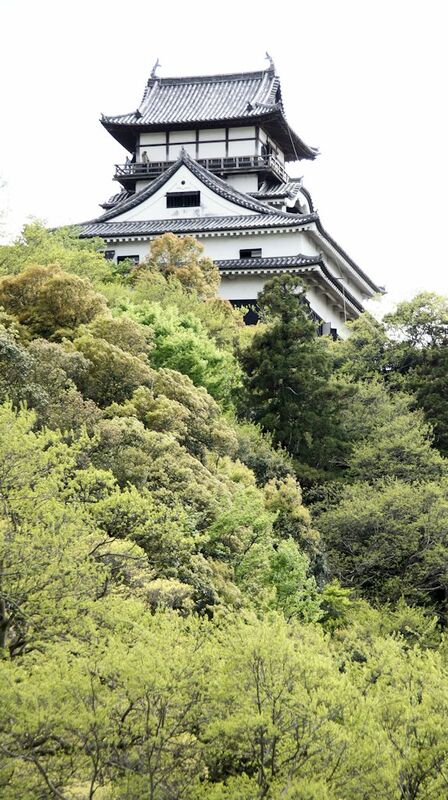 The Castle is open from 9:00am to 5:00pm and costs ¥600 for adults and is free for children under 16. 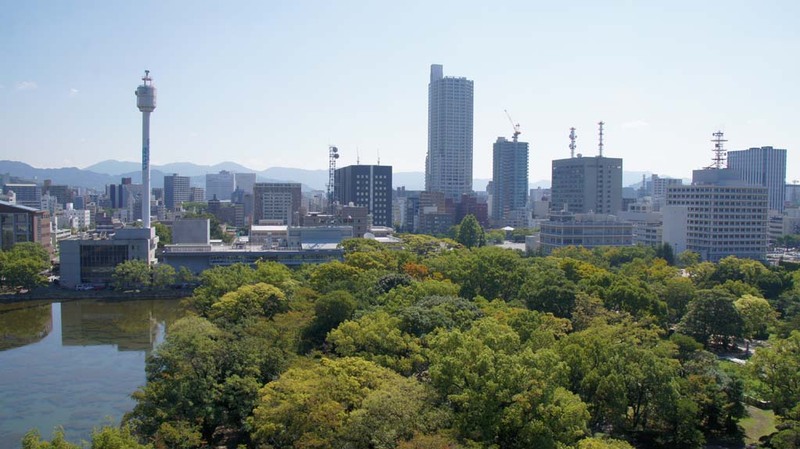 You can use the JR Osaka loop line getting off at Morinomiya Station (slightly longer walk), or, Tenmabash Station on the Tanimachi Subway line from Umeda Station. 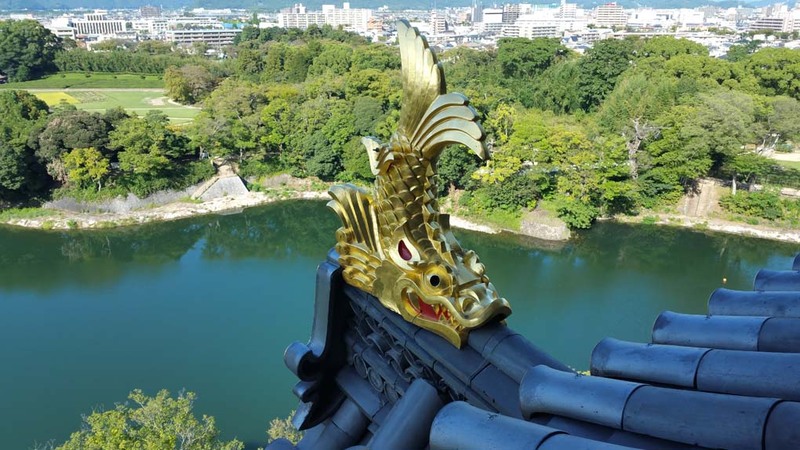 Hiroshima Castle, sometimes called Carp Castle, was the home of the daimyō (feudal lord) of the Hiroshima han. 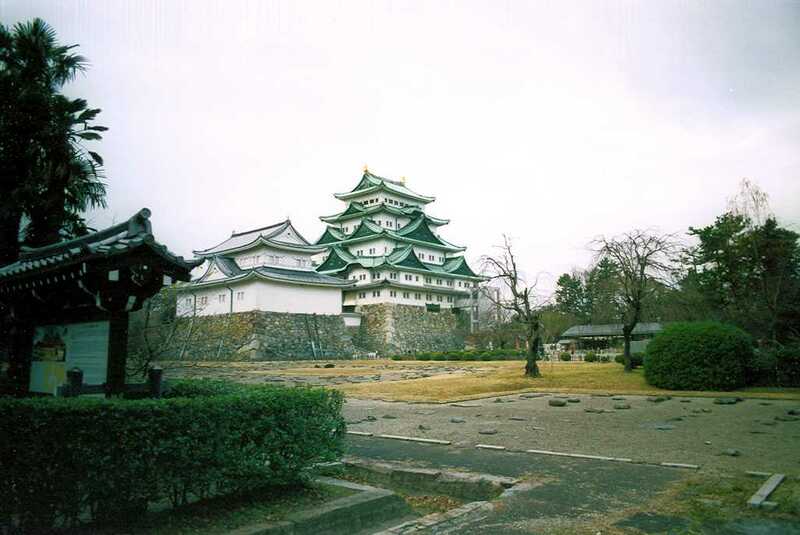 The castle was constructed in the 1590s, but was destroyed by the atomic bombing on 6 August 1945. 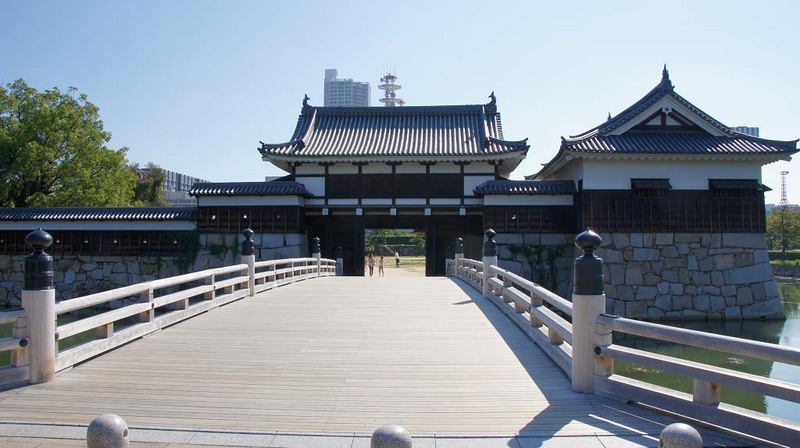 It was rebuilt in 1958, a replica of the original which now serves as a museum of Hiroshima's history prior to World War II. 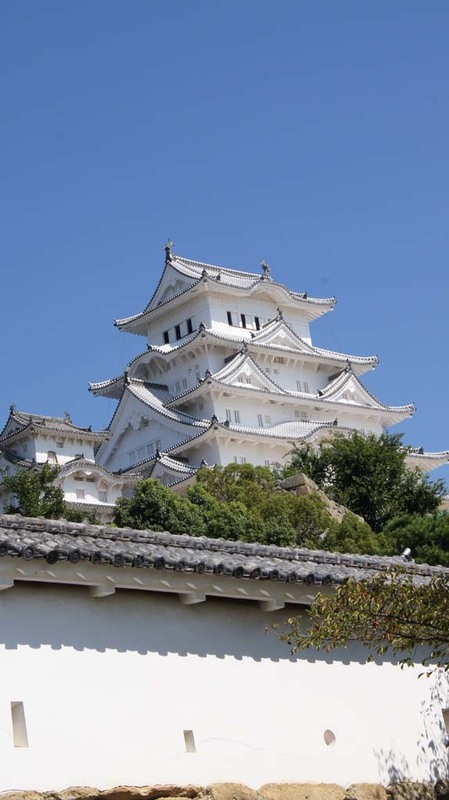 It is representative of a 'flatland' castle. 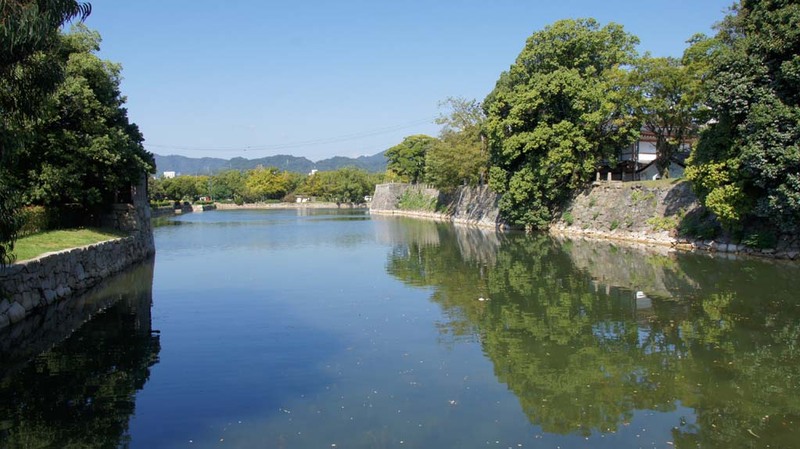 Mōri Terumoto, one of Toyotomi Hideyoshi's council of Five Elders, established Hiroshima castle in 1589 at the delta of the Otagawa river. 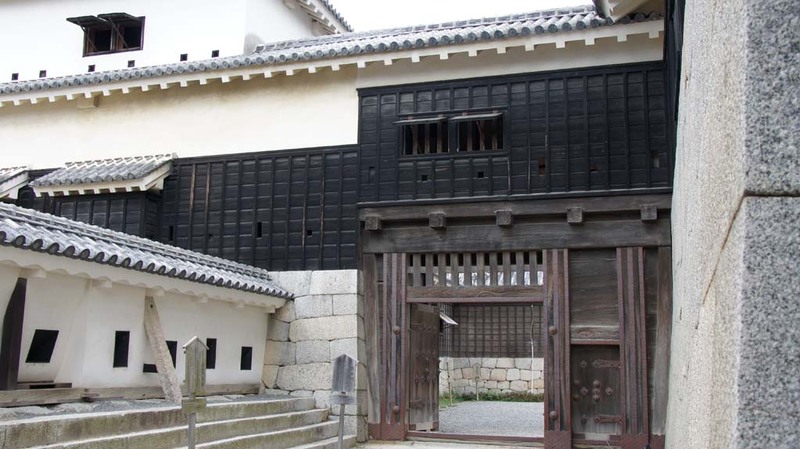 In the Nambokucho period (14th Century), the Mori family were overloads of Koriyama Castle in Yoshida (45km North of Hiroshima). 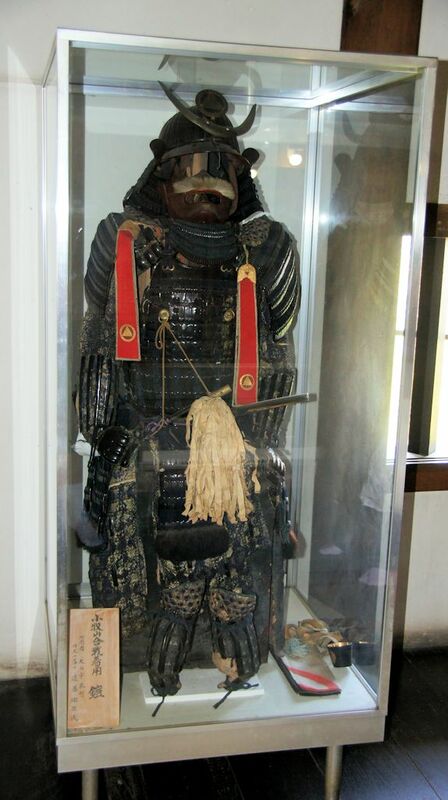 During the Sengoku (Warring States) period Terumoto's grandfather, Montonari, became the fuedal lord of most of the Chugoku region. 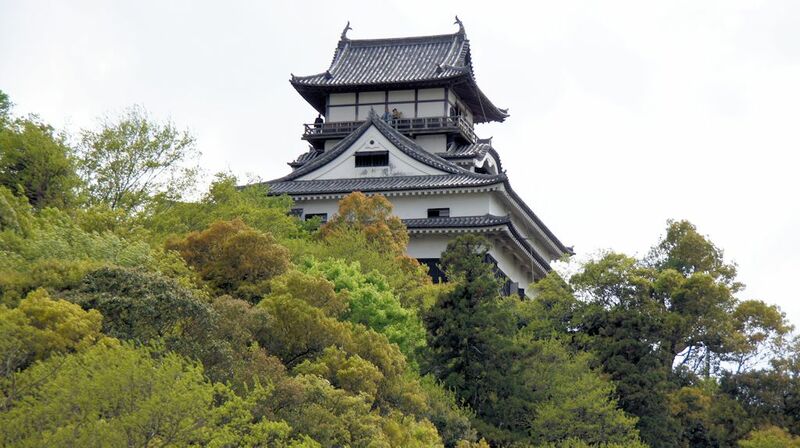 When Terumoto established the castle, in 1589, there was no Hiroshima city or town, and the area was called Gokamura, meaning 'five villages'. 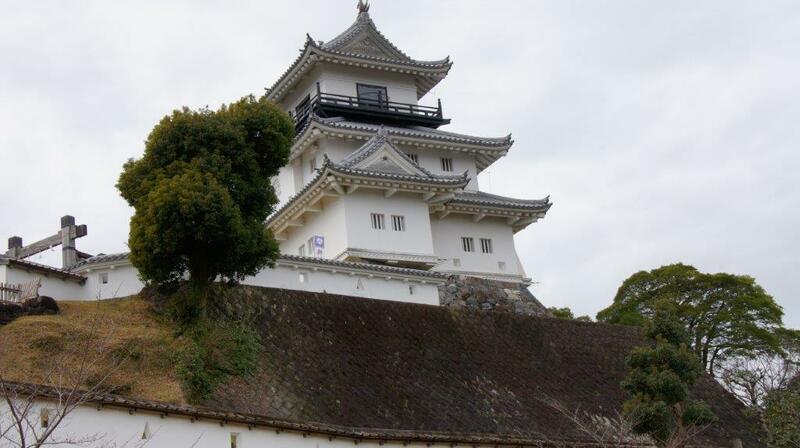 Beginning in 1591, Mōri governed nine provinces from this castle, including much of what is now Shimane, Yamaguchi, Tottori, Okayama and Hiroshima Prefectures. 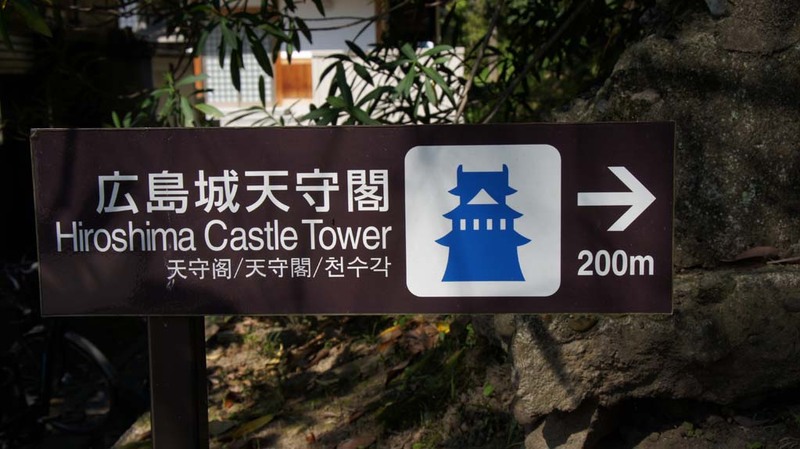 When construction on the castle began, Gokamura was renamed Hiroshima, as a more impressive name was called for. 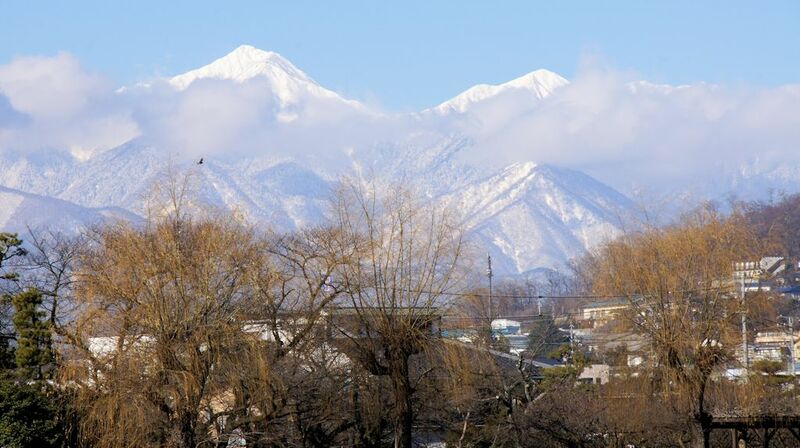 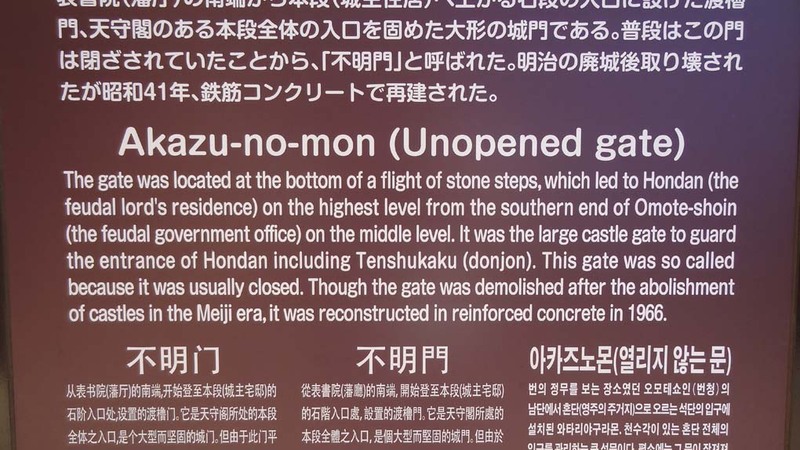 "Hiro" was taken from Ōe no Hiromoto, an ancestor of the Mōri family, and "Shima" was taken from Fukushima Motonaga who helped Mōri Terumoto choose the castle site. 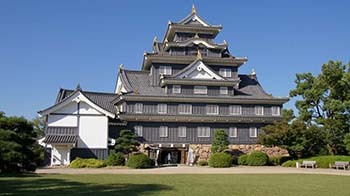 Following the abolition of feudal domains and the establishment of prefectures in 1871, the castle gradually came to serve more as a military facility. 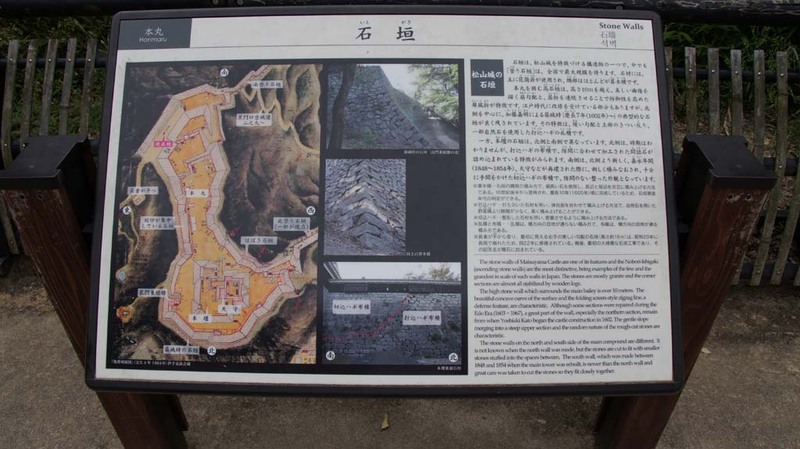 During the Sino-Japanese war (1894/95) the Imperial General Headquarters were established within the castle. During the final months of World War II, the castle served as the headquarters of the 2nd General Army and Fifth Division to deter the projected Allied invasion of the Japanese mainland, thus making a castle along with other military and industrial facilities in the city a legitimate military target. 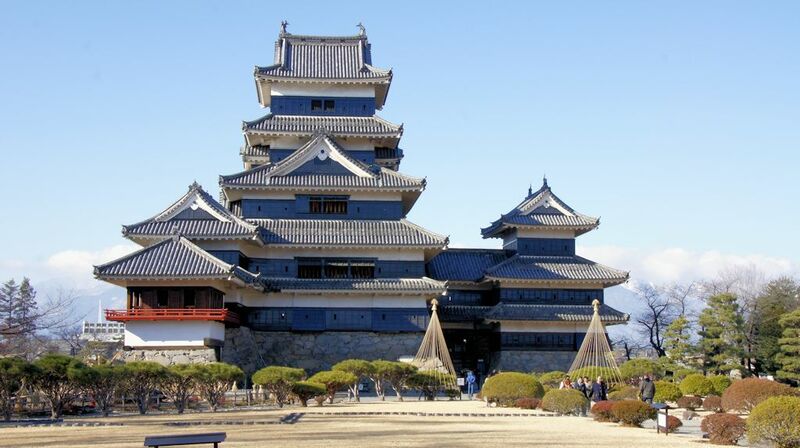 It was destroyed in the atomic bomb blast of August 6, 1945. 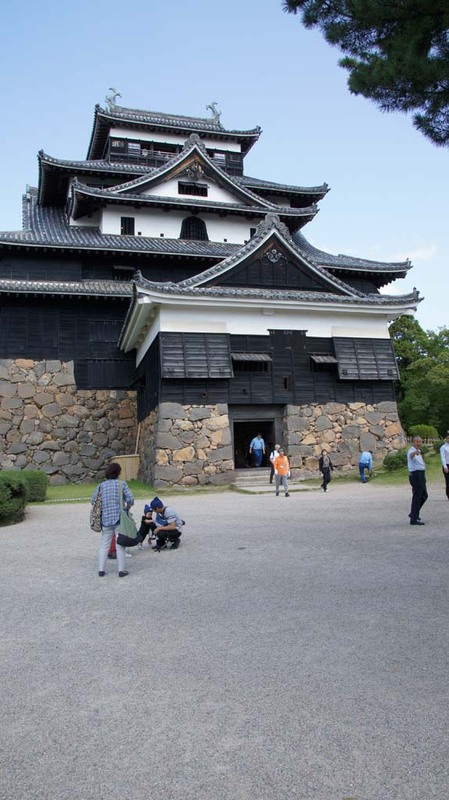 For many years, it was believed the castle structure was blown away by the explosion that destroyed Hiroshima. 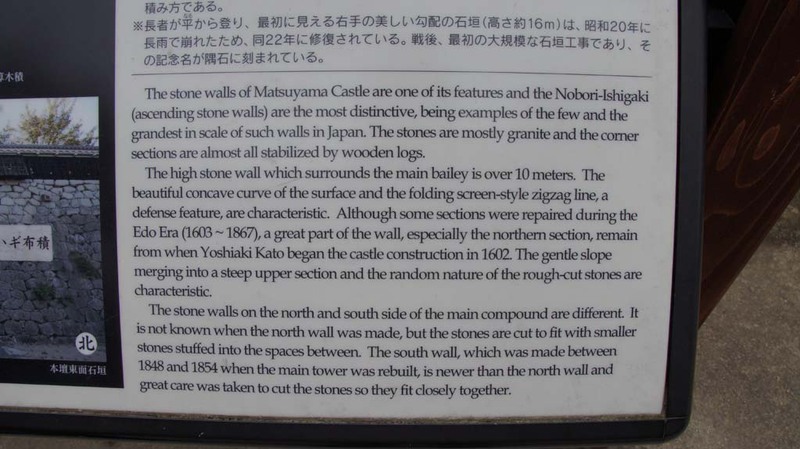 Newly discovered evidence suggests the explosion only destroyed the lower pillars of the castle, and the rest of it collapsed as a result. 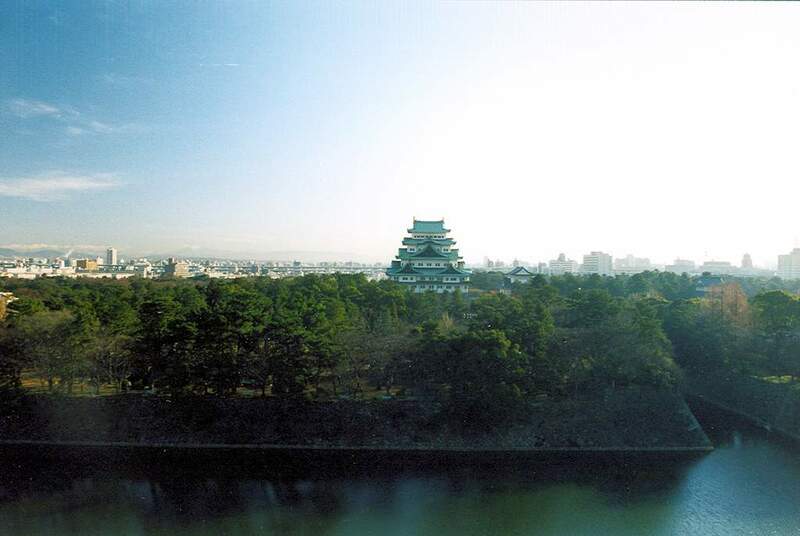 The present tower, constructed largely of concrete, was completed in 1958. 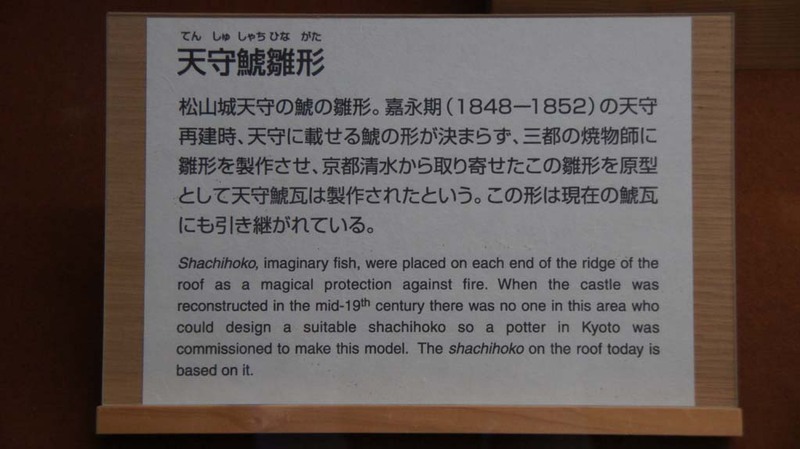 Whilst it doesn't have the historical appeal of the 'Original' castles, the displays within the castle are excellent. 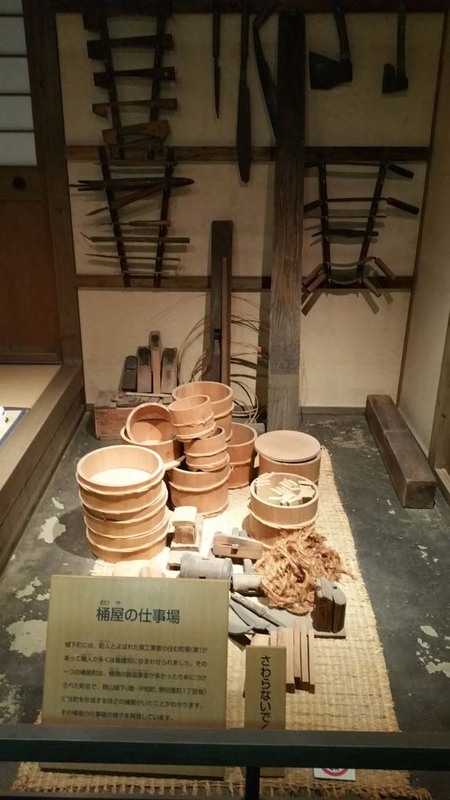 The historical background to the castle and castle life is well presented. 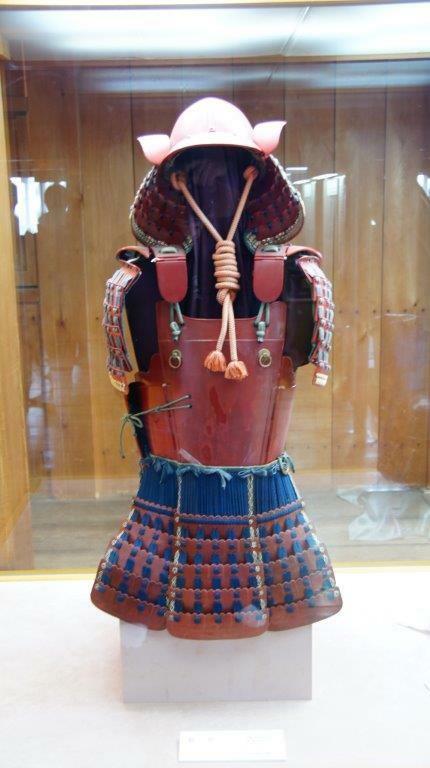 There are the obligatory displays of Samurai armor, swords etc, and even the opportunity to get photographed in traditional outfits. 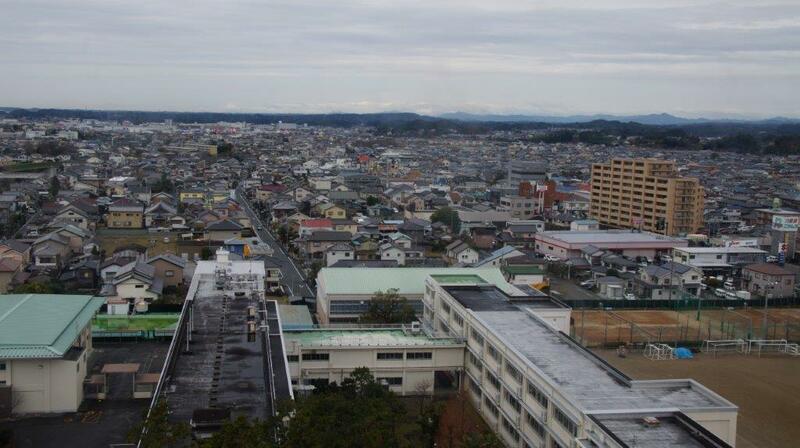 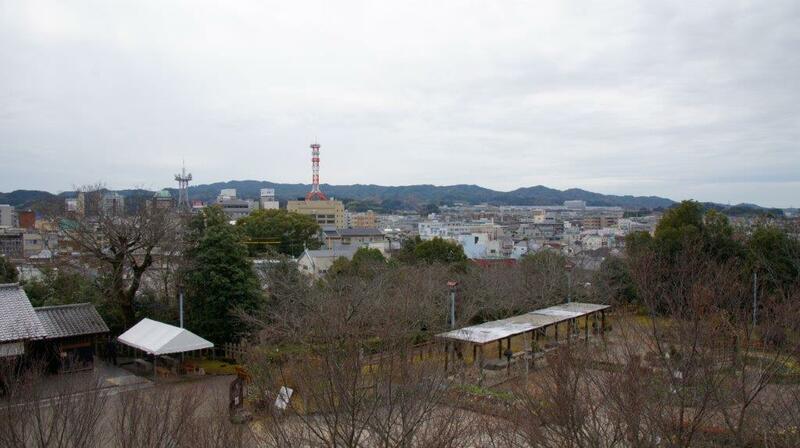 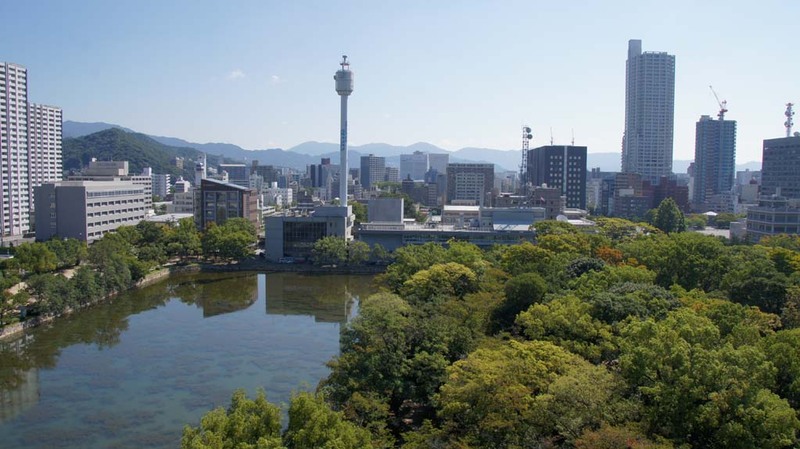 The Observation Floor (5th Floor) offers excellents views fromt he surrounding Hiroshima City. 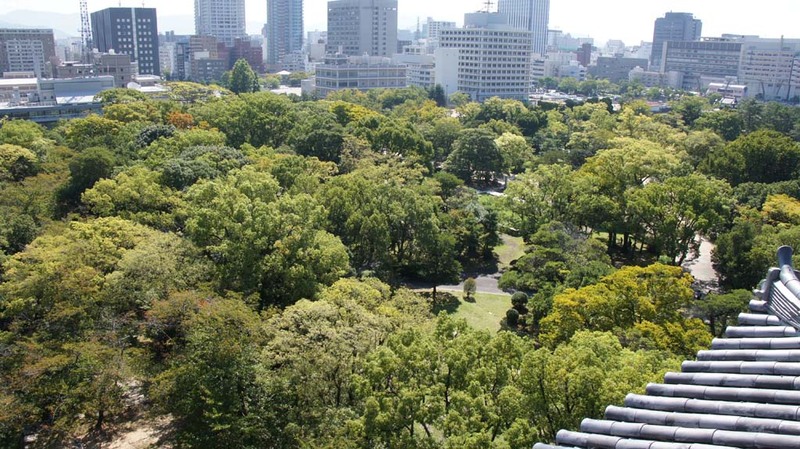 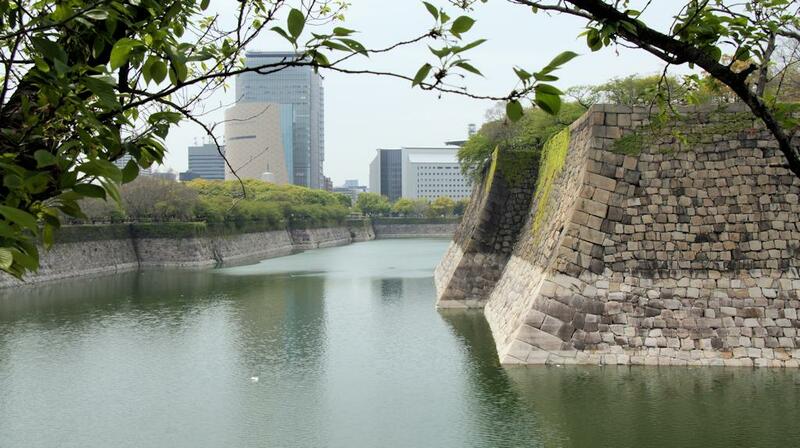 The Trams do not run close to the HiroshimaCastle, so it is a 25min walk N.W. 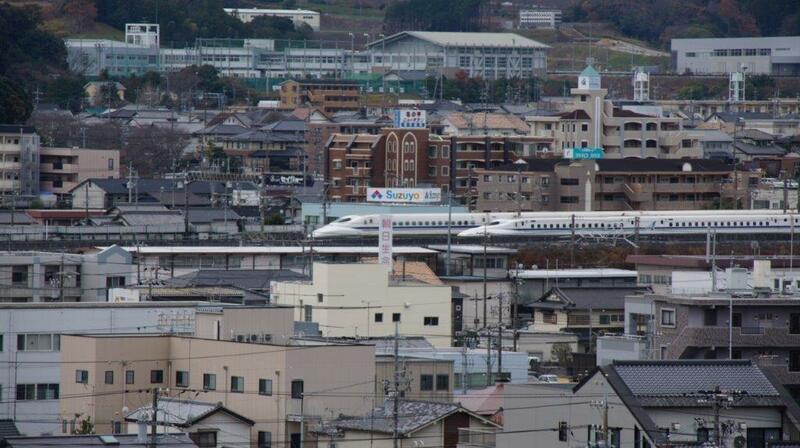 from the JR Station, or, a 20min walk N.E. 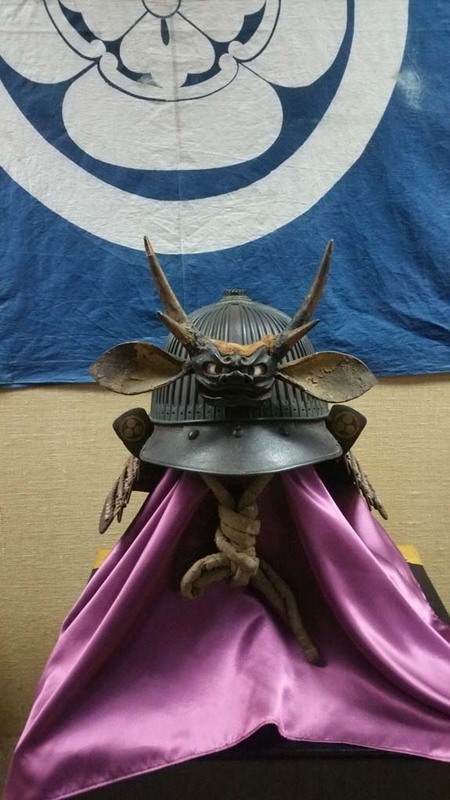 from the Peace Museum. 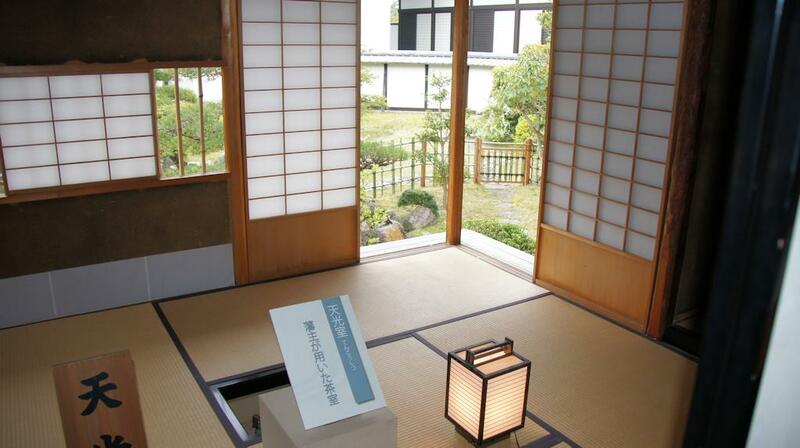 At only ¥360 for adults & ¥180 for Kids (as at Sept-15) its worth a visit. 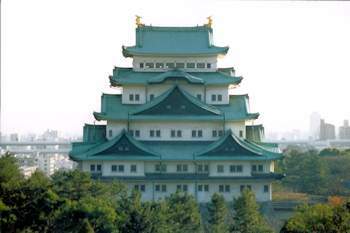 Nagoya Castle, The area surrounding the castle is one of the oldest settled areas in what is modern day Nagoya. 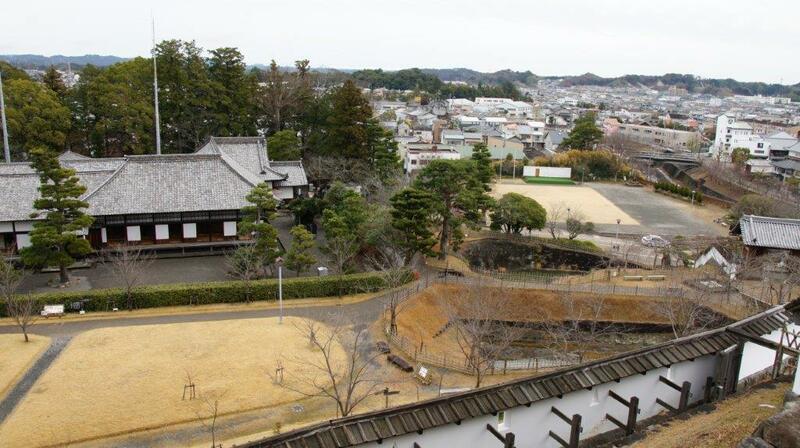 Built in 1612 the old castle town borders correspond to what is today known as Naka ward. 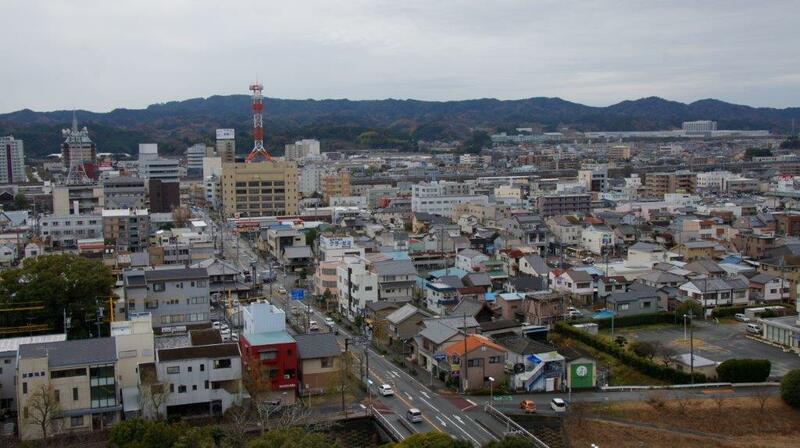 The area has traditionally been the centre of government for the city and for Aichi Prefecture in general. 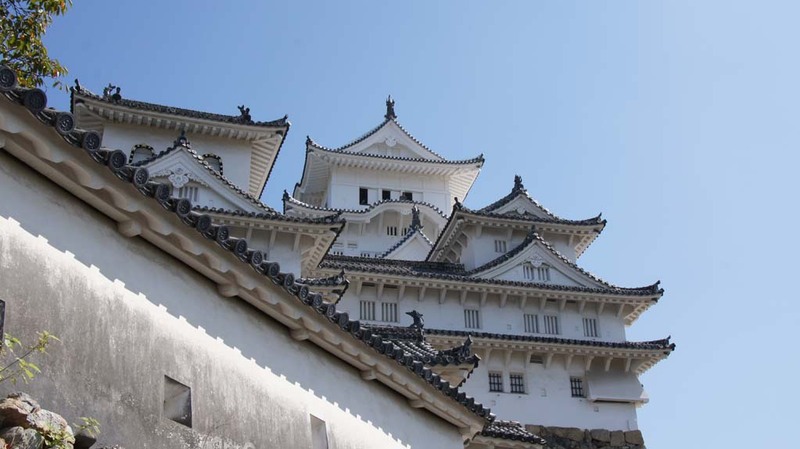 You will find a range of government institutions and a number of historically and architecturally significant buildings, so don't limit yourself to a Castle visit alone. Nagoya Castle, following the Edo and Nijo Castles, was the last great castle constructed by Ieyasu Tokugawa and is of significant historical value as it determined the castle style of the Edo shogunate. 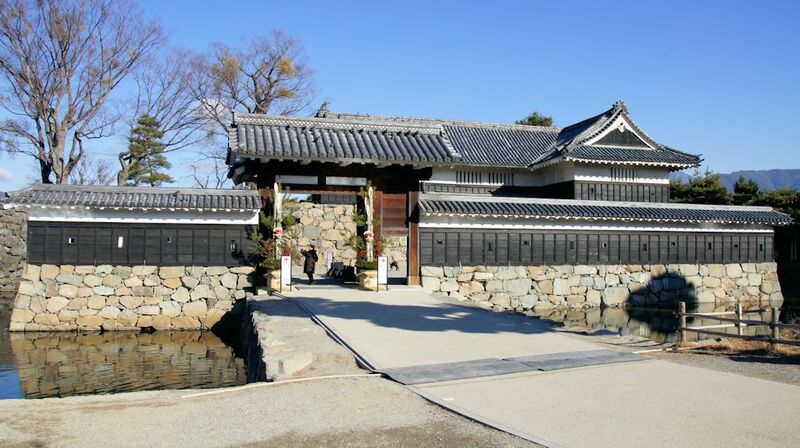 Particularly the Hommaru Palace, a typical samurai residence with rooms such as the entrance hall, main hall and meeting hall placed in succession, was renowned as a masterpiece of modern castle palaces built between the Azuchi-Momoyama period and the beginning of the Edo period; which ran from the mid 16th to the early 17th century. 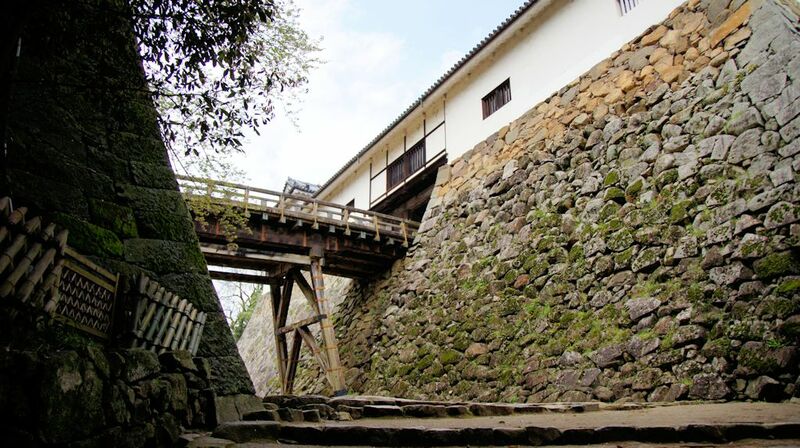 Foundation works for the castle started in 1610. 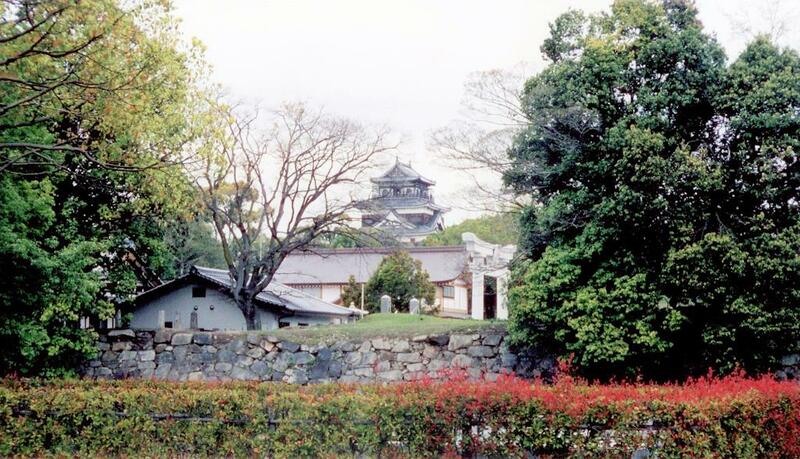 The donjons and towers were completed in 1612, and the Hommaru Palace in 1615. 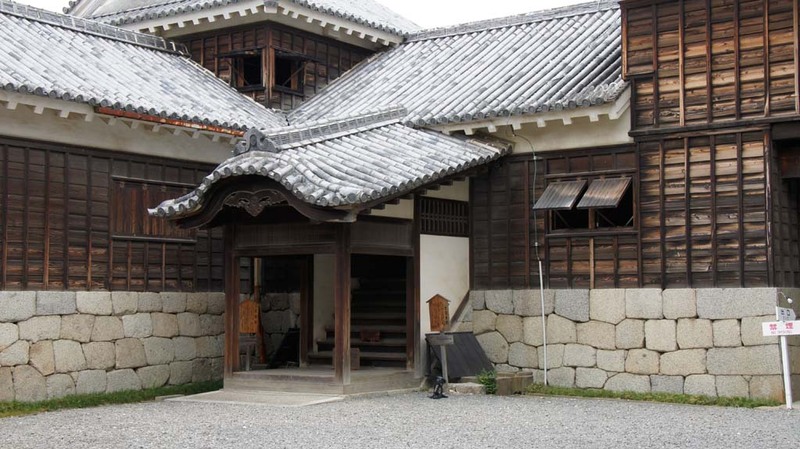 Originally the Hommaru Palace was used as a residence and government office of Lord Tokugawa of the Owari Clan but later served as quarters for shoguns who stopped over in this area on their way to Kyoto. 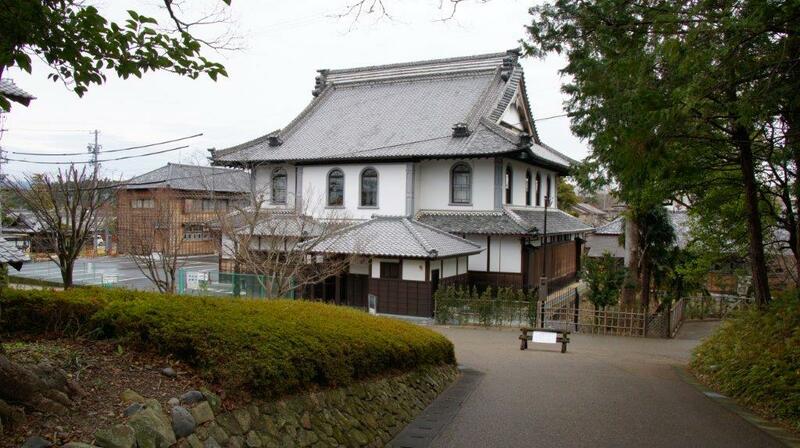 The most magnificent building, the Joraku Hall, where the 3rd shogun Ieyasu Tokugawa stayed, was added in 1634. 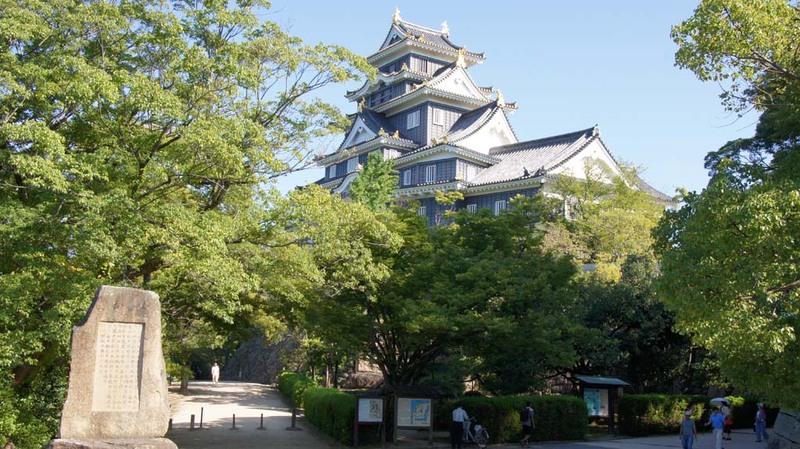 After the Meiji Restoration, the Nagoya Detached Garrison was stationed on the castle grounds and the Army Ministry administered the castle. 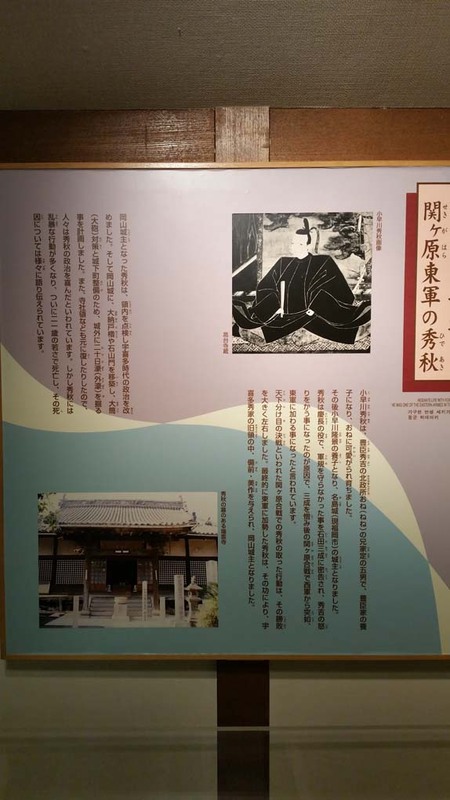 In 1893, the Imperial Household Ministry assumed the responsibility for the Hommaru and Nishinomaru Palaces and the castle served as the Nagoya Imperial Villa. 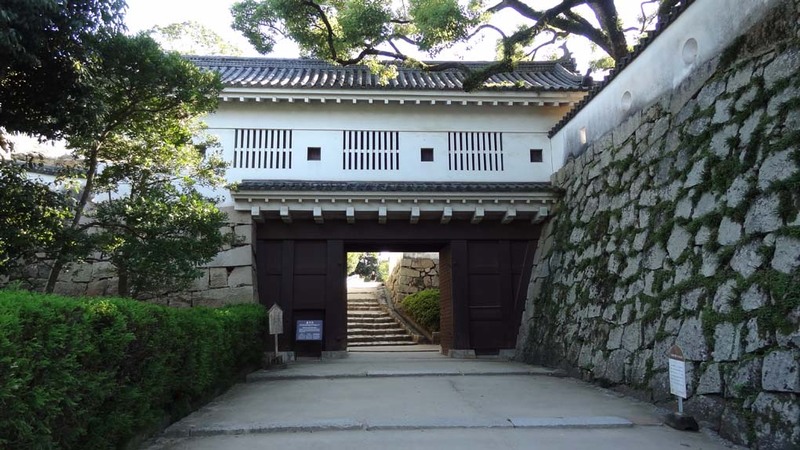 Brought under the administration of the City of Nagoya in 1930, the donjons and the Hommaru Palace have since been protected as National Treasures. 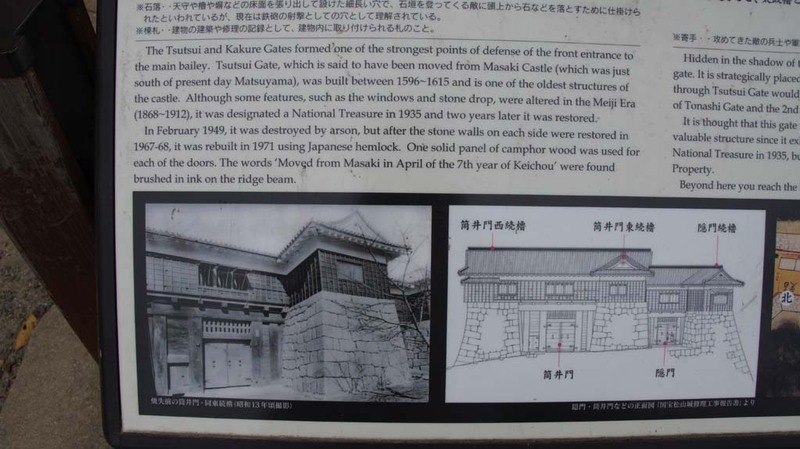 The castle suffered major damage in May 1945 during an air raid. 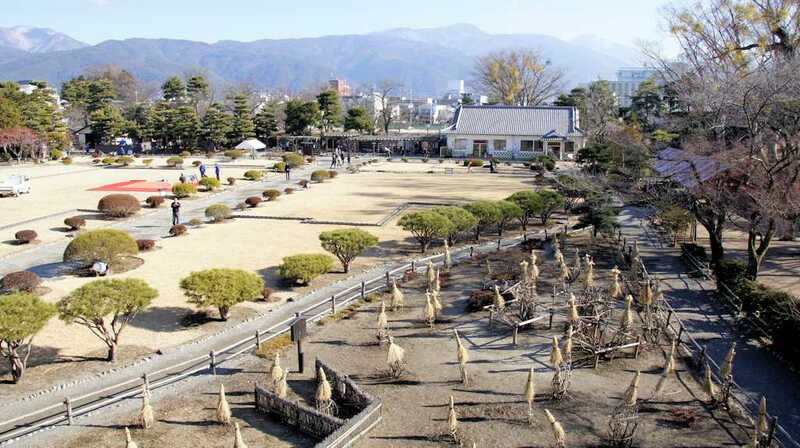 Most of the structures including the main and small donjons and the Hommaru Palace, were burned down. 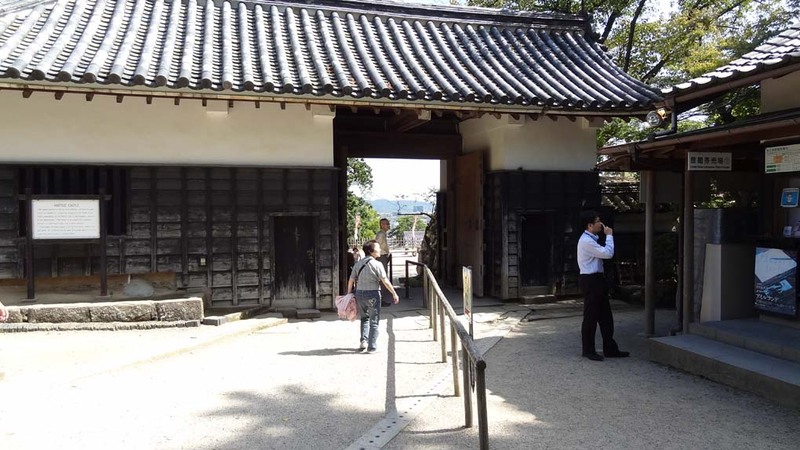 Fortunately however 3 corner towers, 3 gates, the tea house and gardens, along with most of the paintings on the sliding doors and walls in the Hommaru Palace survived the fire. 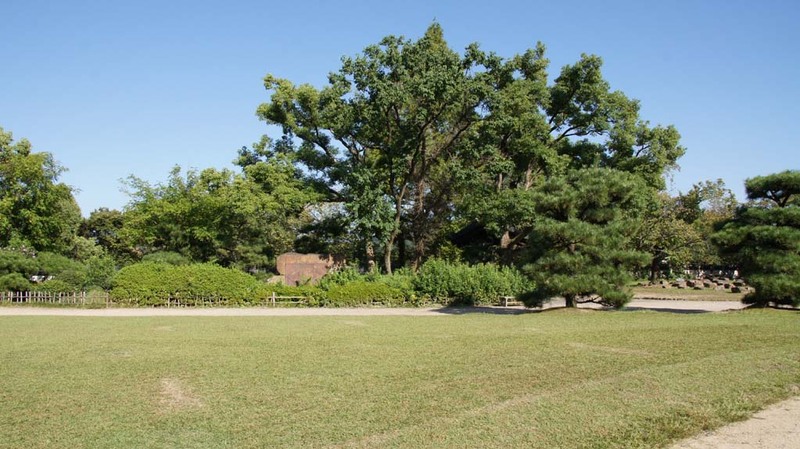 Although the donjons were rebuilt in 1959 to their original appearance, only the founding stones of the Hommaru Palace are visible today. 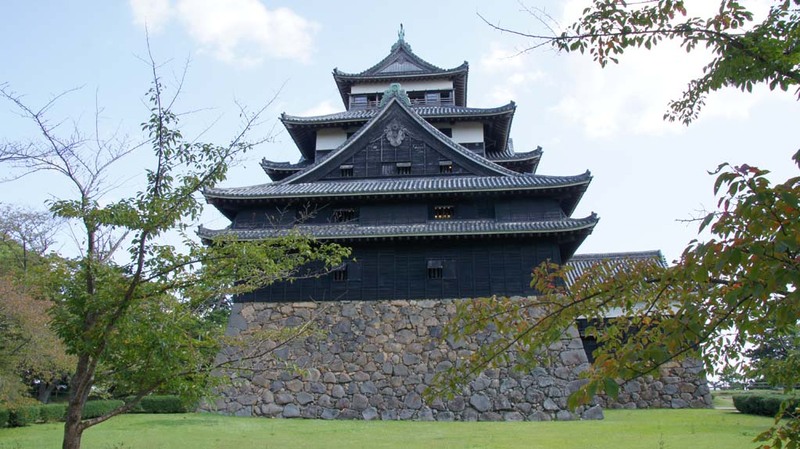 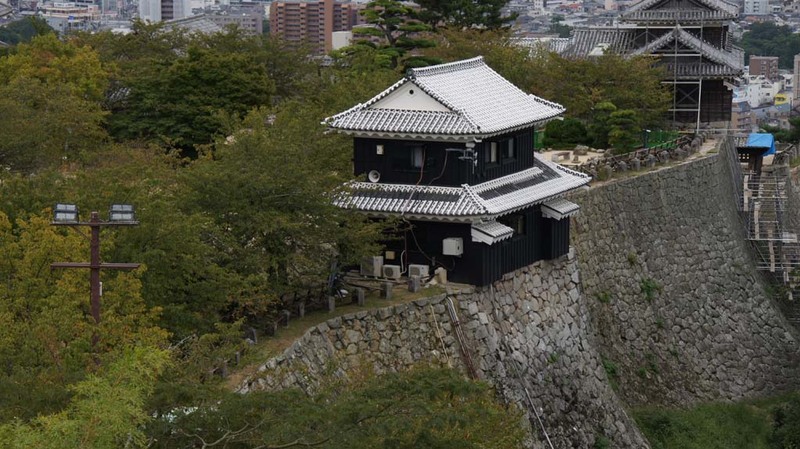 Okayama Castle, (岡山城, Okayamajō), also known as "crow castle" due to its black exterior, was built in 1597 in the style of the Azuchi-Momoyama Period. 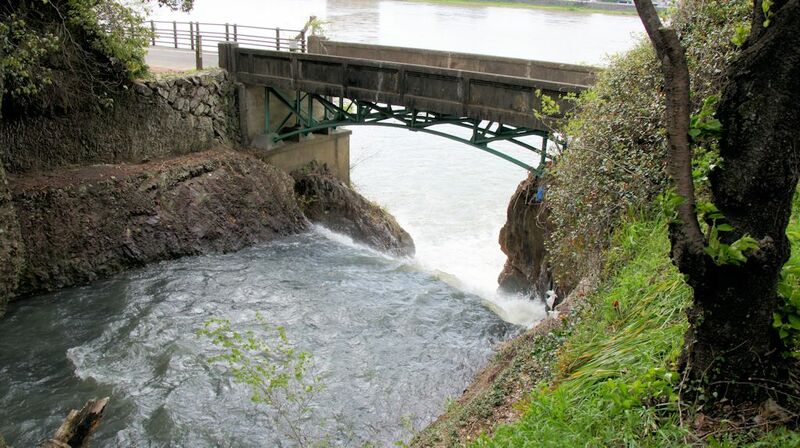 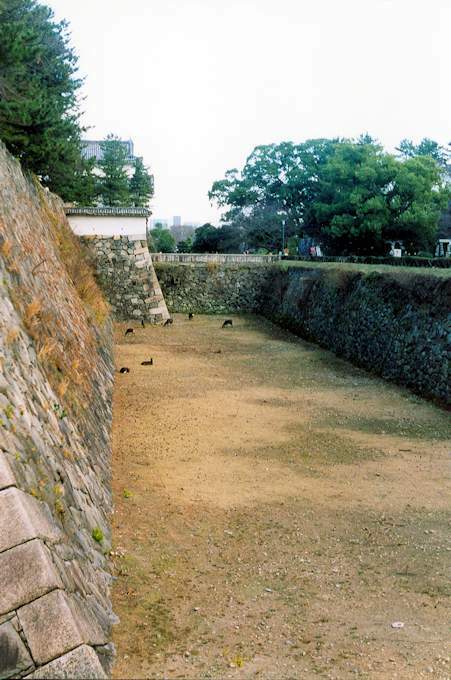 Because the castle was oriented to the west, Hideie undertook a major project to pull the nearby Asahigawa River to flow along the eastern end of the castle to ward off enemies from entering through the rear. 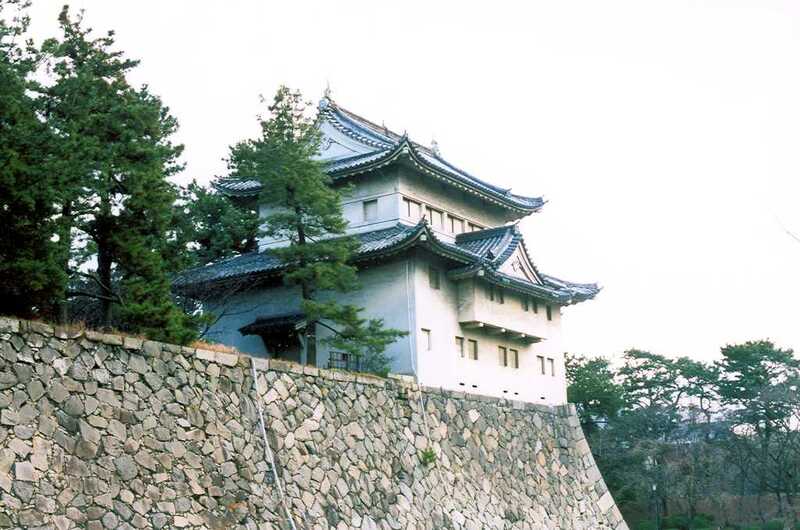 The original castle was destroyed in the last year of World War 2, but was reconstructed in 1966. 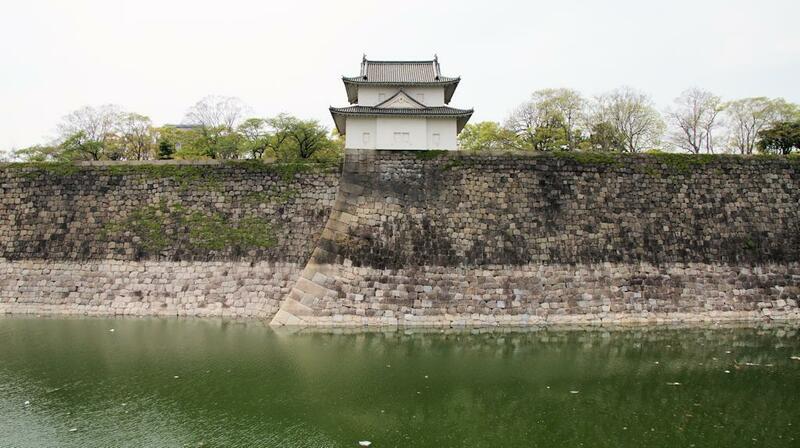 The castle is located on the Asahi River, which was used as a moat. 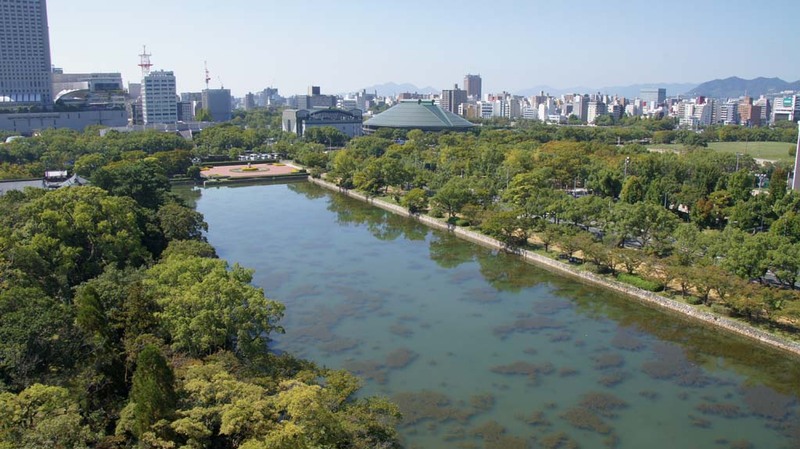 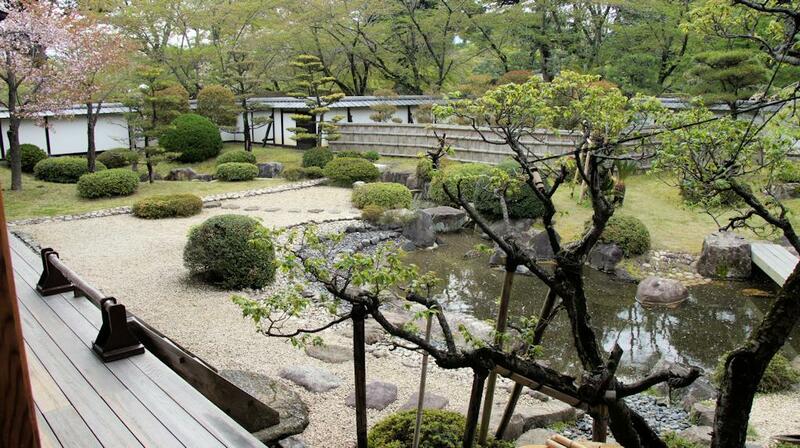 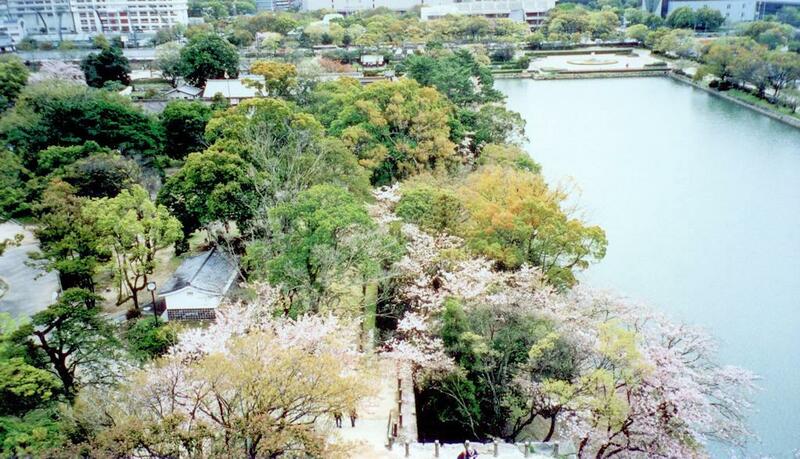 Korakuen Garden is located just across the river. 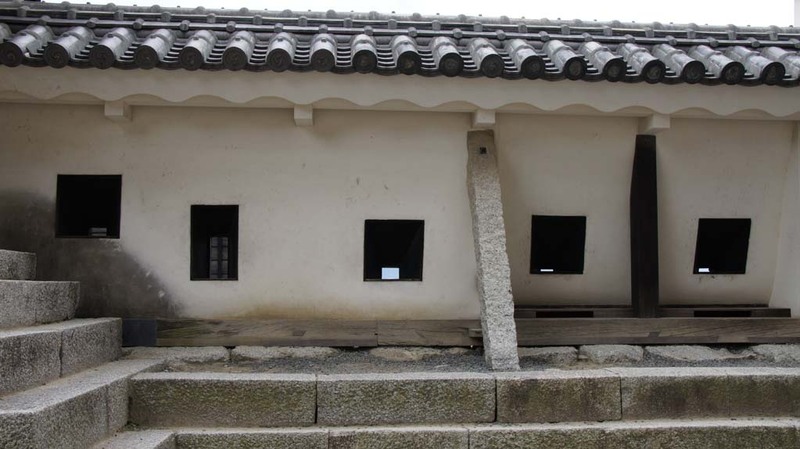 The base is an irregular pentagon, on which three different sized two-storey building were built, one on top on the other. 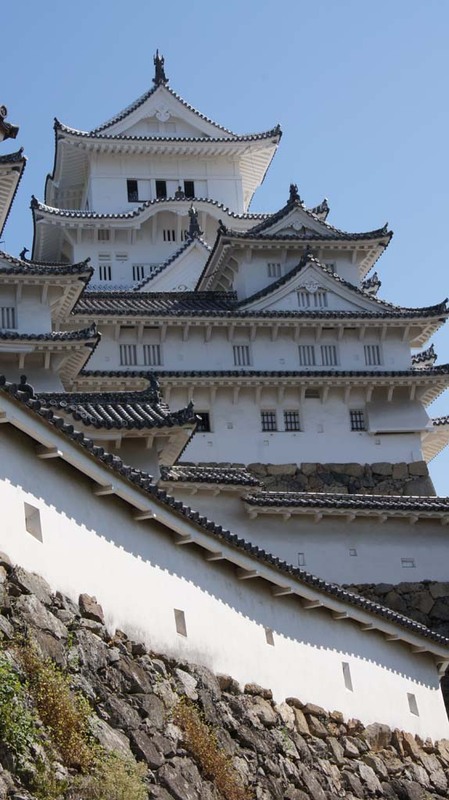 Thus the donjon is three tiers with a total of six stories. 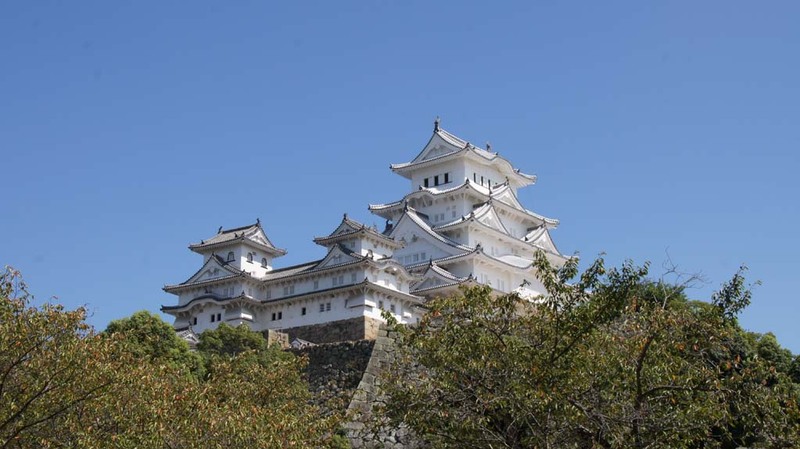 When built the castle comprised 35 turrets and 21 gates; it has noted for its extentive complex at the time. 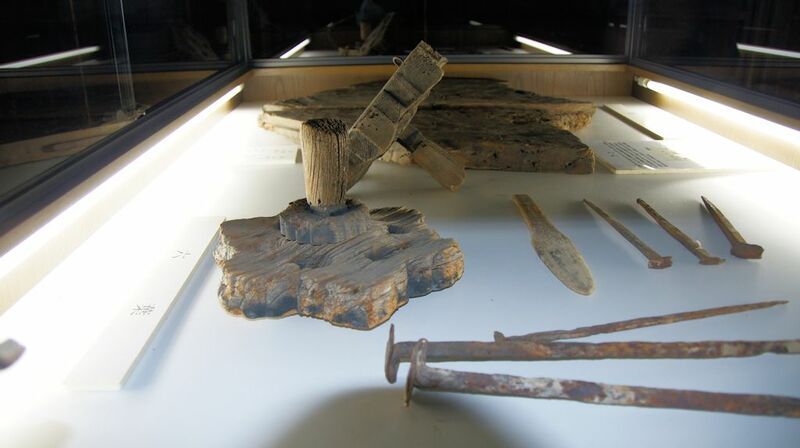 There are also reconstructions and unearthed foundations of former buildings, which help illustrate the former extent of the castle's complex of buildings. 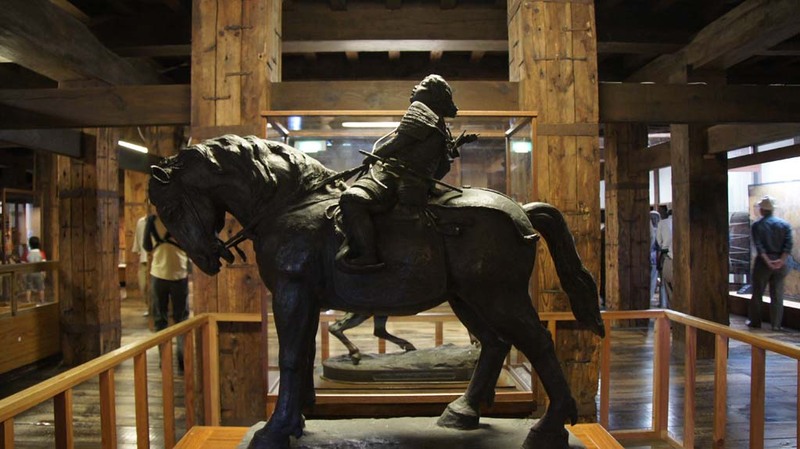 The keep's interior is modern and displays exhibits on the history and development of the castle. 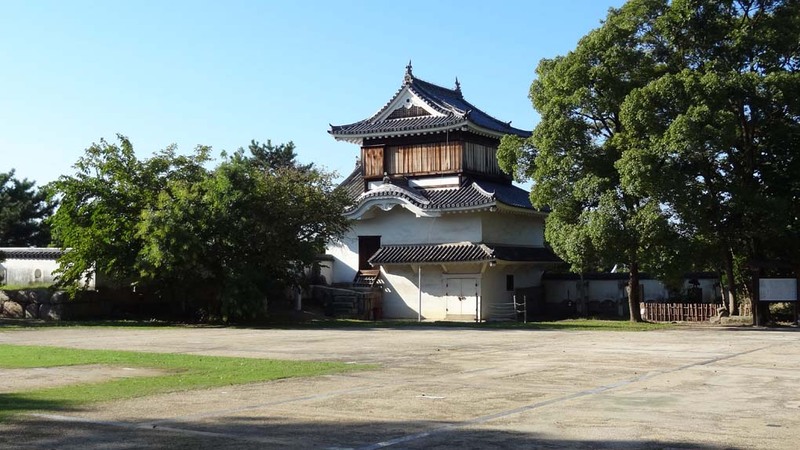 Only one of Okayama Castle's original buildings escaped destruction during the war - the Tsukimi Yagura ("moon viewing turret"), which dates back to 1620. 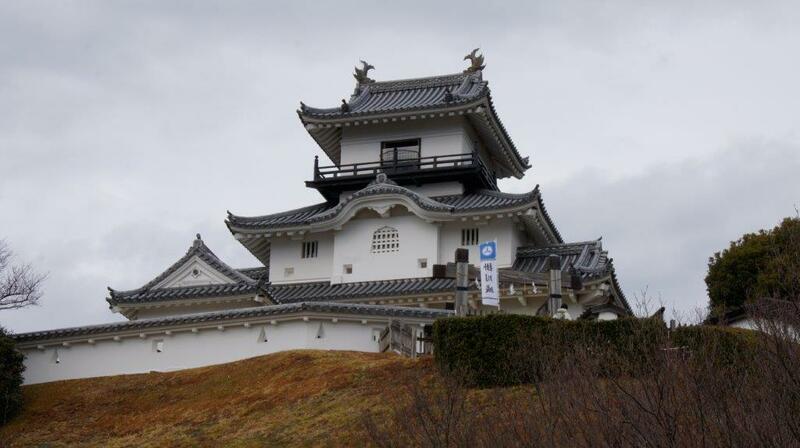 This kind of turret is extremely rare anywhere in Japan. 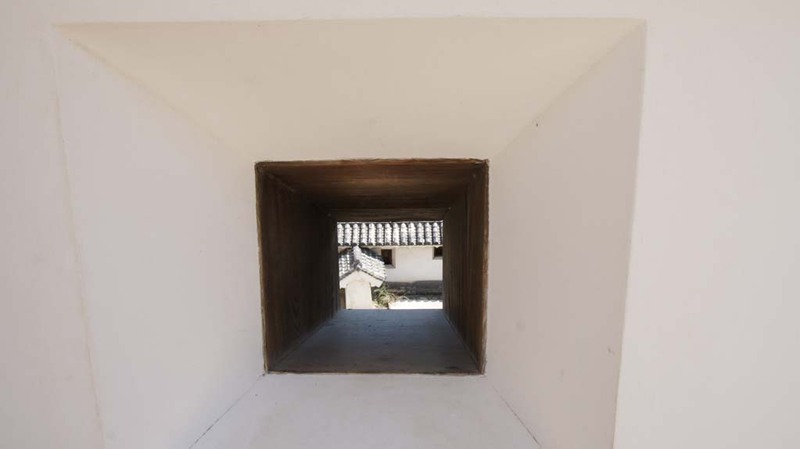 Whilst the turret provided the best place for moon viewing, its main purpose was to protect the northwest corner of the middle level. 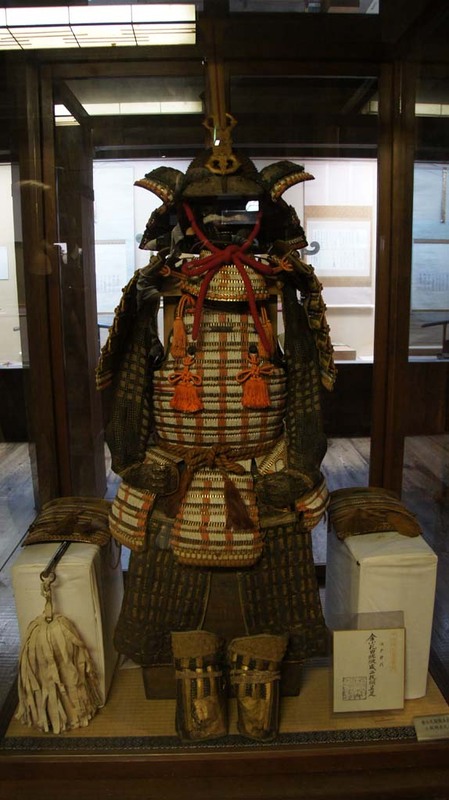 As such it processed facilities such as weapons stores, eyelets, and stone throwing devices. 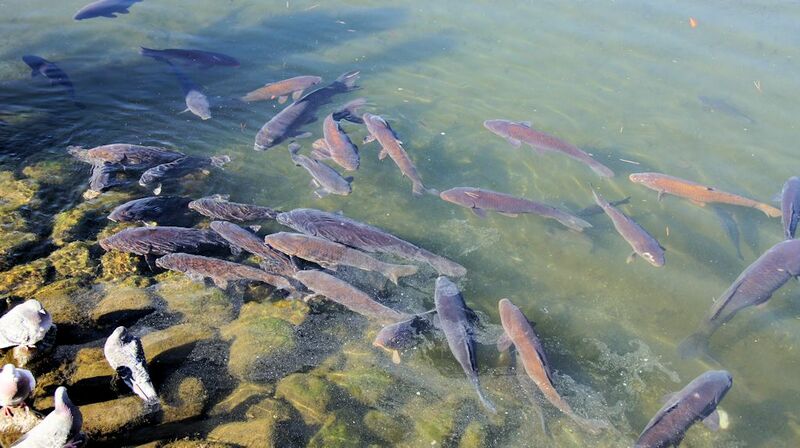 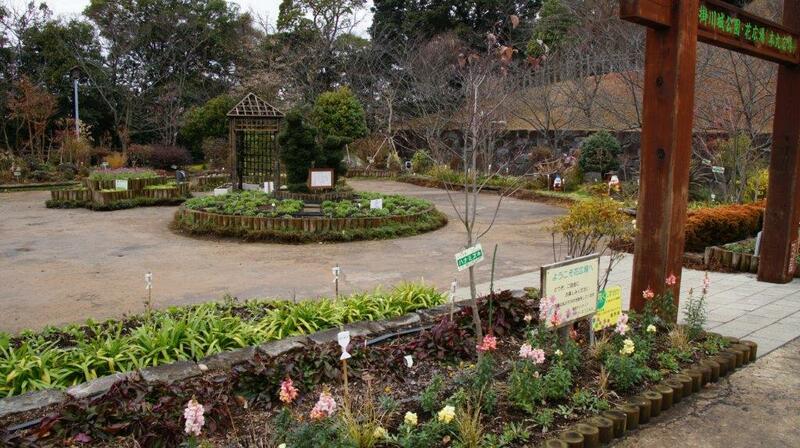 Korakuen is about 1.5 kilometers or a 25-30 minute walk east of Okayama Station. 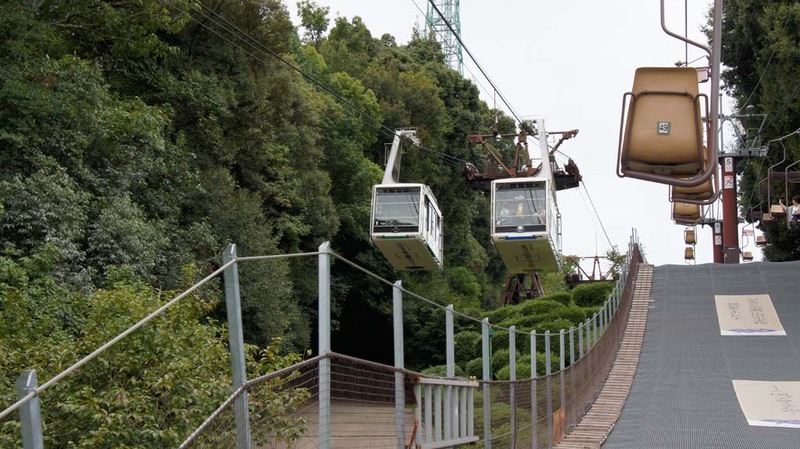 Trams on the Higashiyama Line can be taken to Shiroshita stop (5 minutes, 100 yen, frequent departures) from where the castle keep can be reached in a 10-15 minute walk. 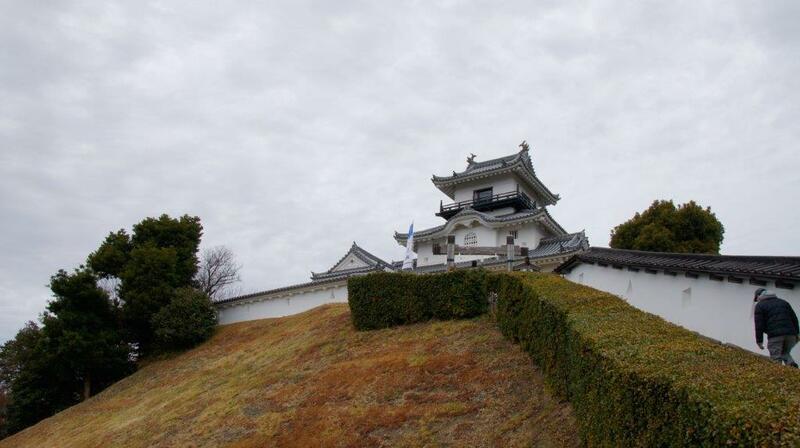 Kakegawa Castle, was built from 1469-1487. 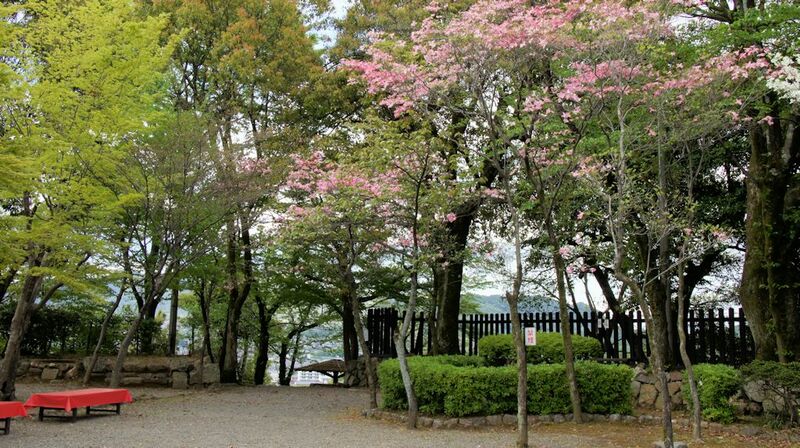 Imagawa Yoshitada had his retainer Asahina Yasuhiro build Kakegawa Castle, about 0.5km to the northeast of the present castle, to help control this vital point of the Tokaido road. 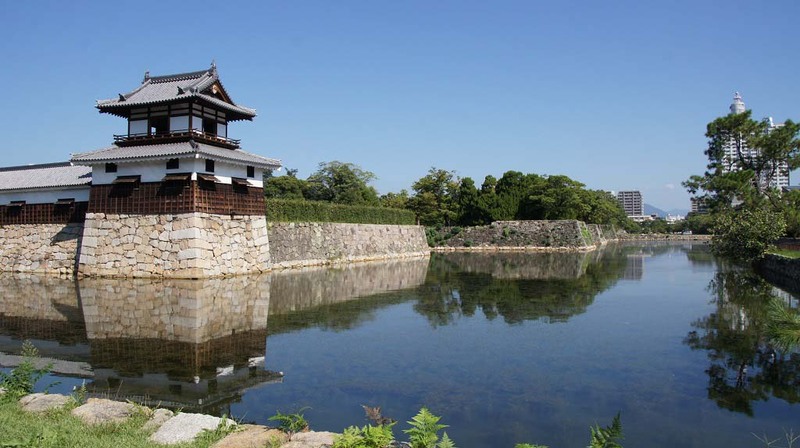 In 1569, his descendent, Asahina Yasutomo, lost the castle to Tokugawa Ieyasu's forces. 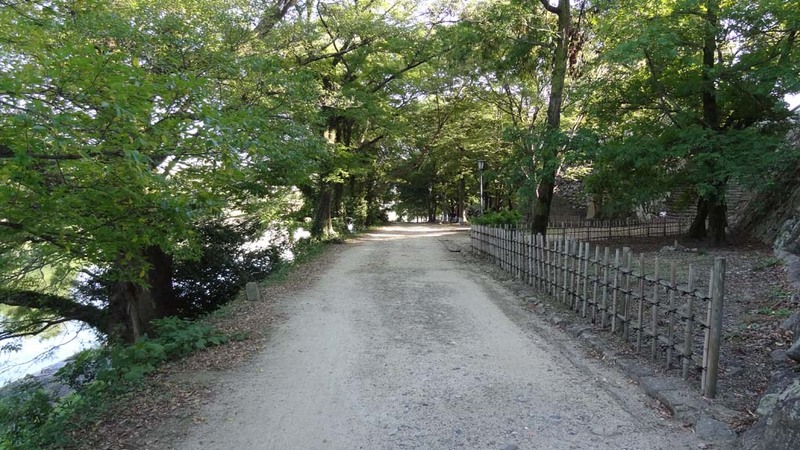 In 1590, the area was absorbed by Toyotomi Hideyoshi who stationed Yamanouchi Kazutoyo here when Tokugawa moved to Edo (Tokyo). 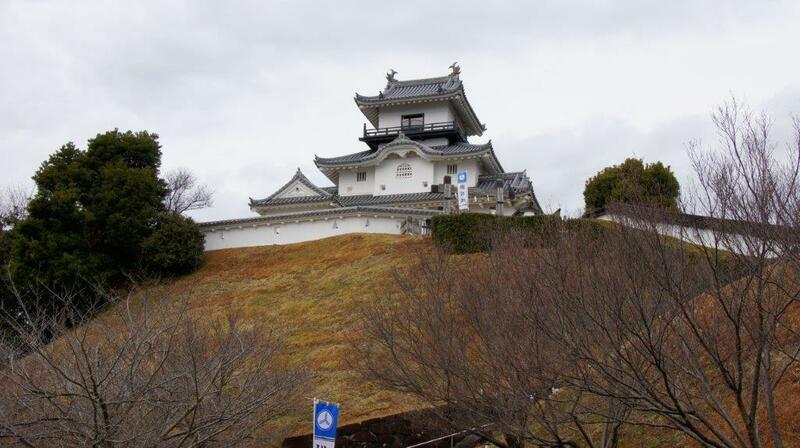 Yamanouchi built the main keep on the current site and renovated the castle and town into a more modern castle. 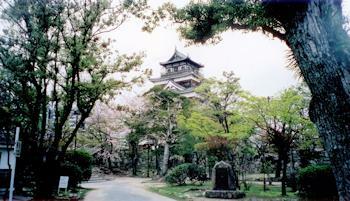 After the Battle of Sekigahara, Yamanouchi was moved to Kochi. 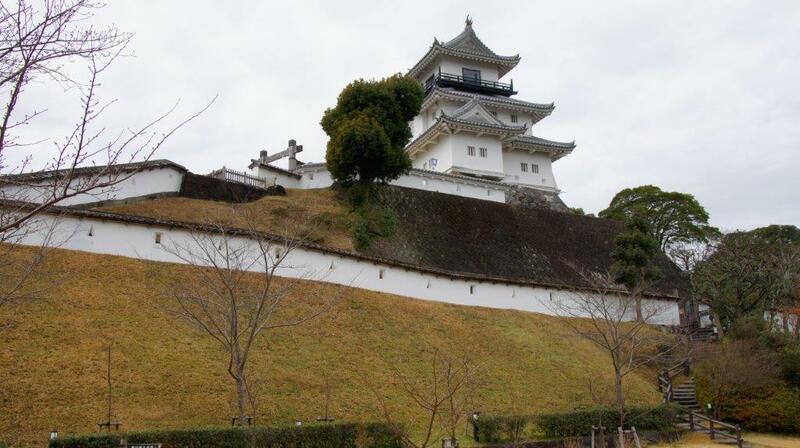 Yamanouchi's main keep was destroyed in an earthquake in 1604 but was soon rebuilt. 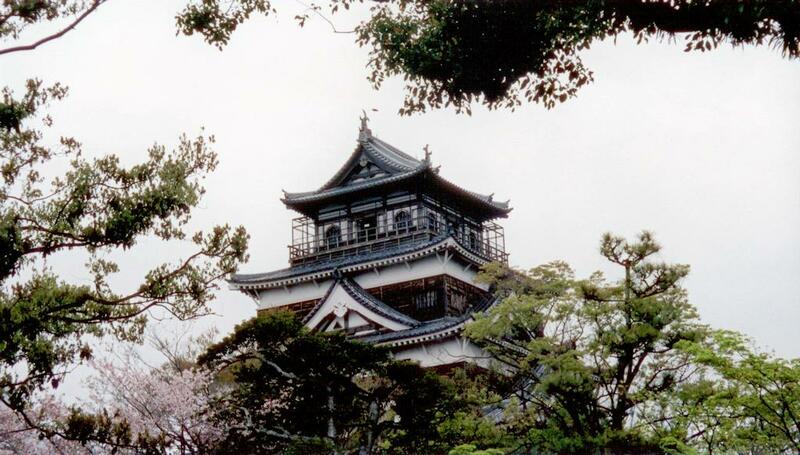 The new keep lasted until 1854 when it destroyed by another earthquake. 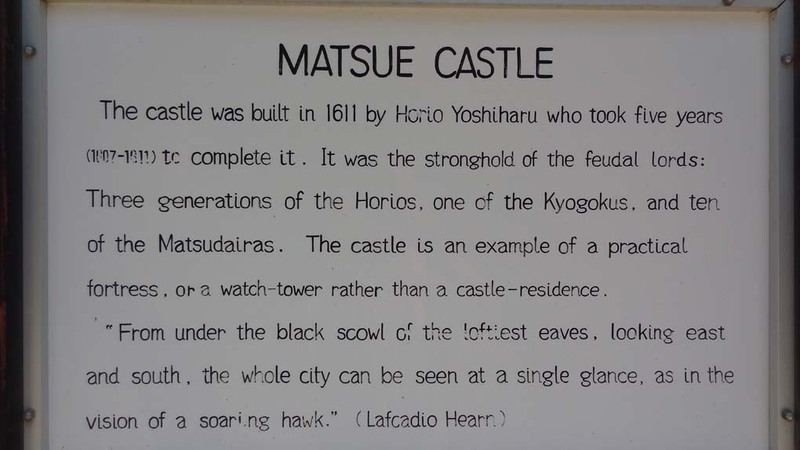 It was not rebuilt and the castle was dismantled in 1869. 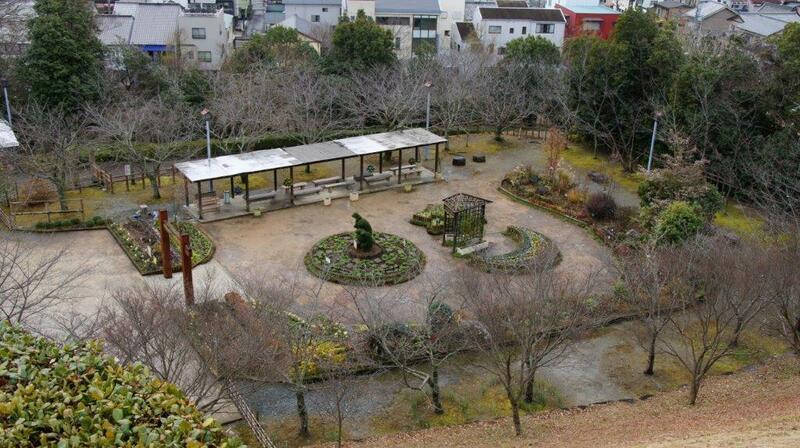 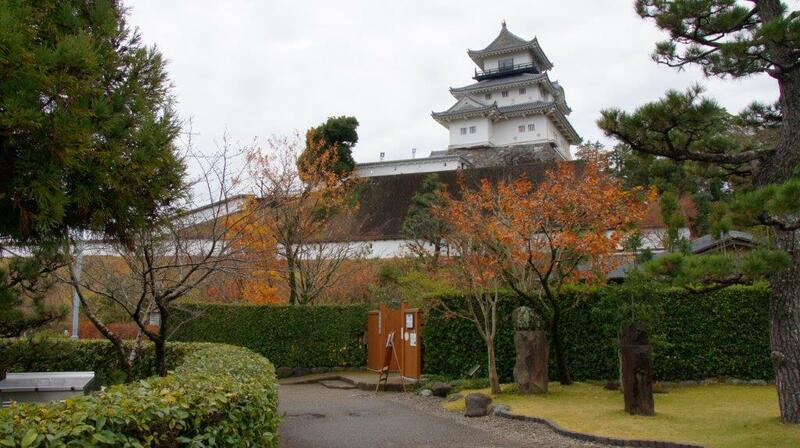 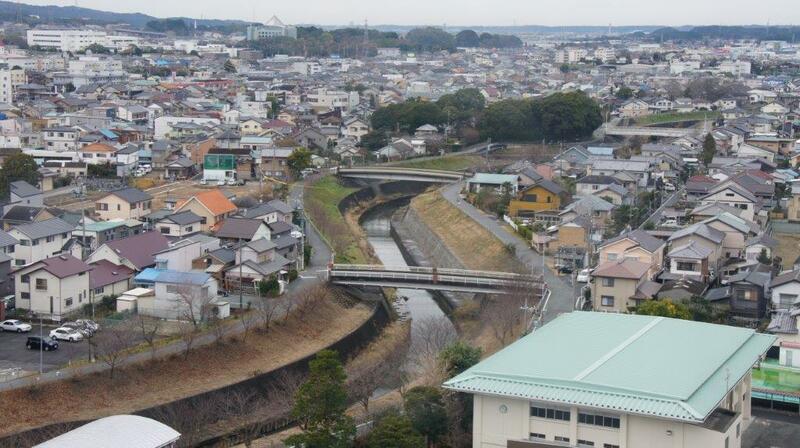 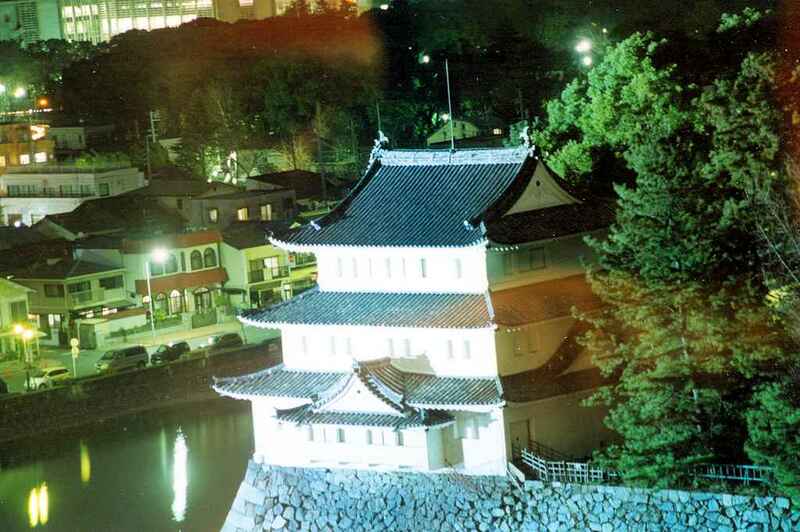 The restored Kakegawa Castle is a short 600-800m walk from the main train station. 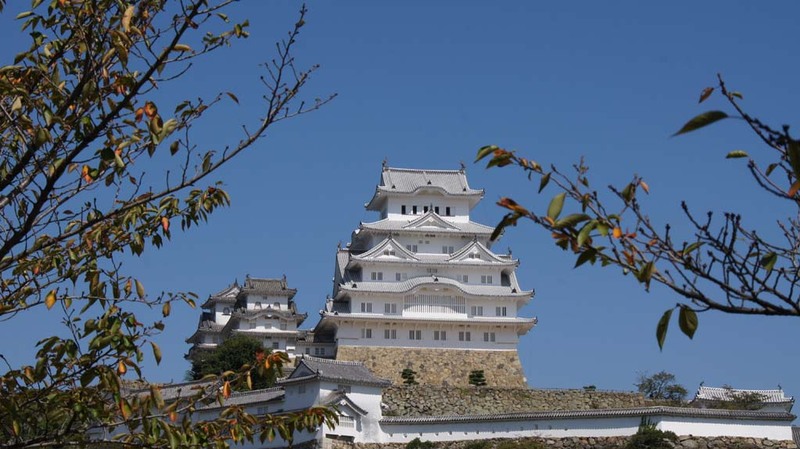 The keep has good views over the town and the usual displays of weapons, photographs of other Japanese castles, documents, tiles and armor. 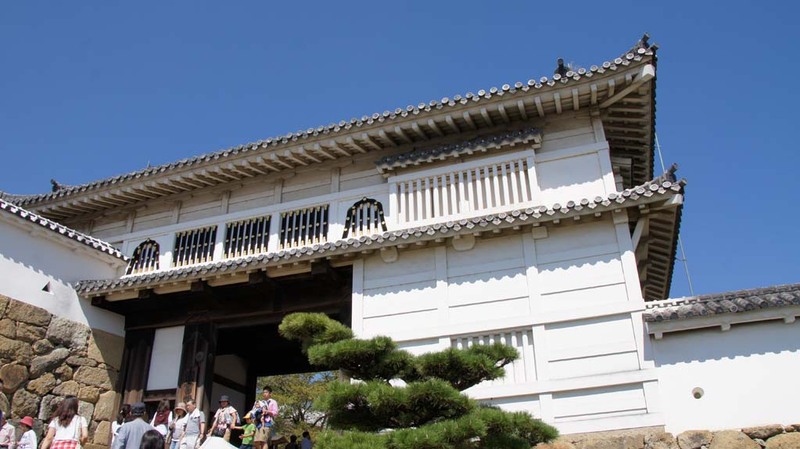 Of more historical interest is the superb, original goten or palace, which was restored by the feudal lord Ota Sukekatsu after the 1854 earthquake and mostly dates from that period.